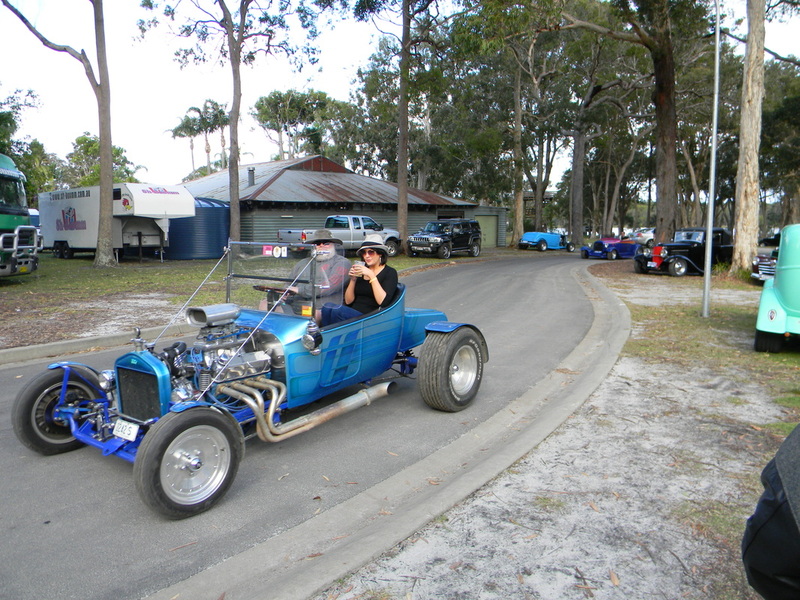 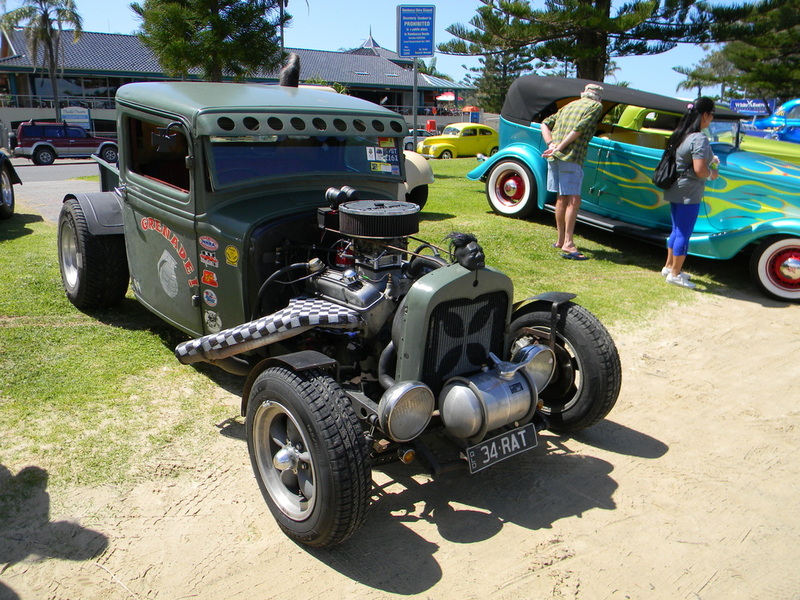 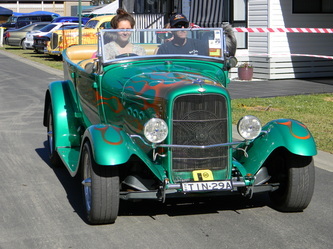 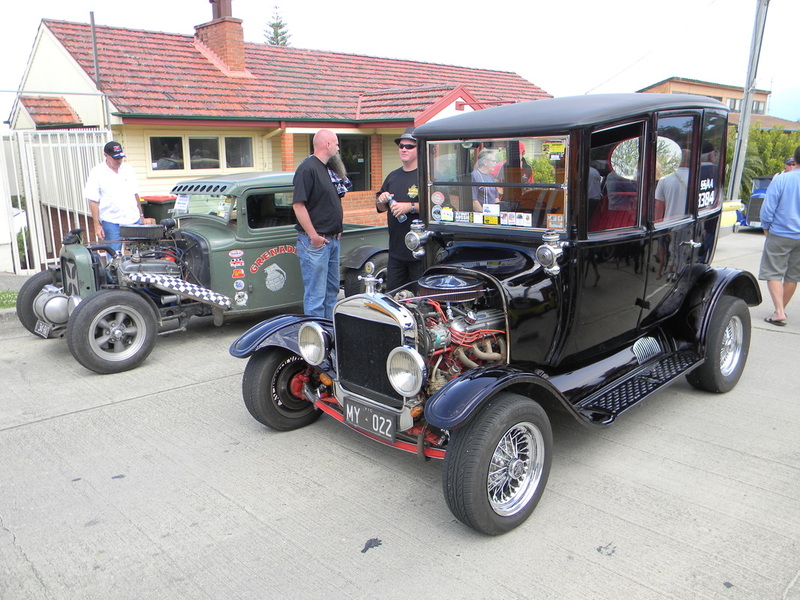 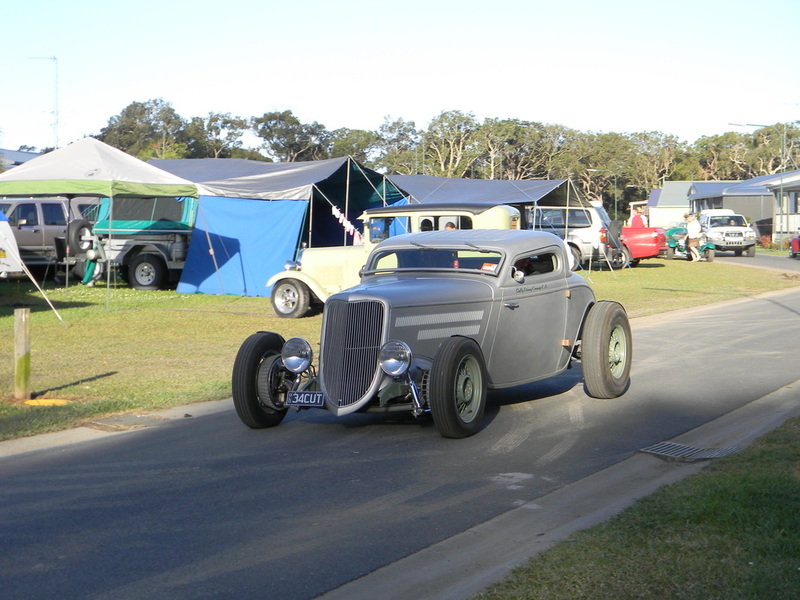 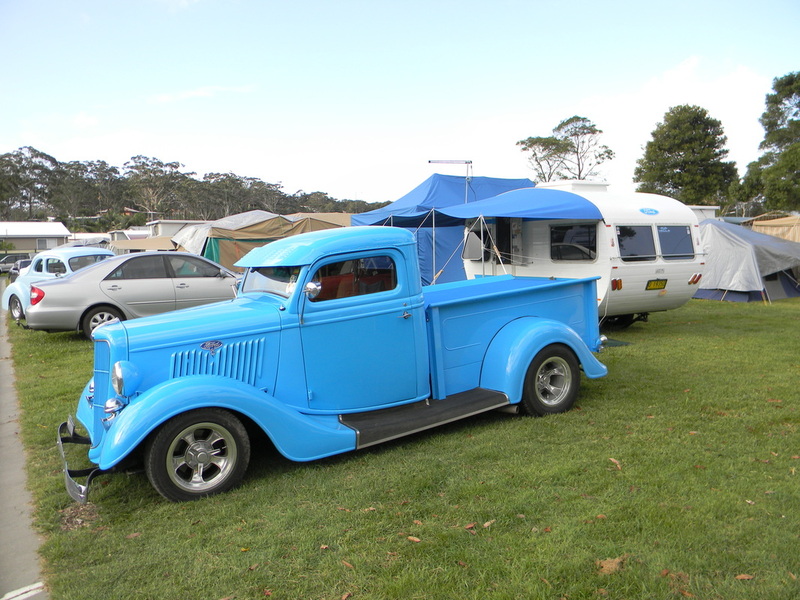 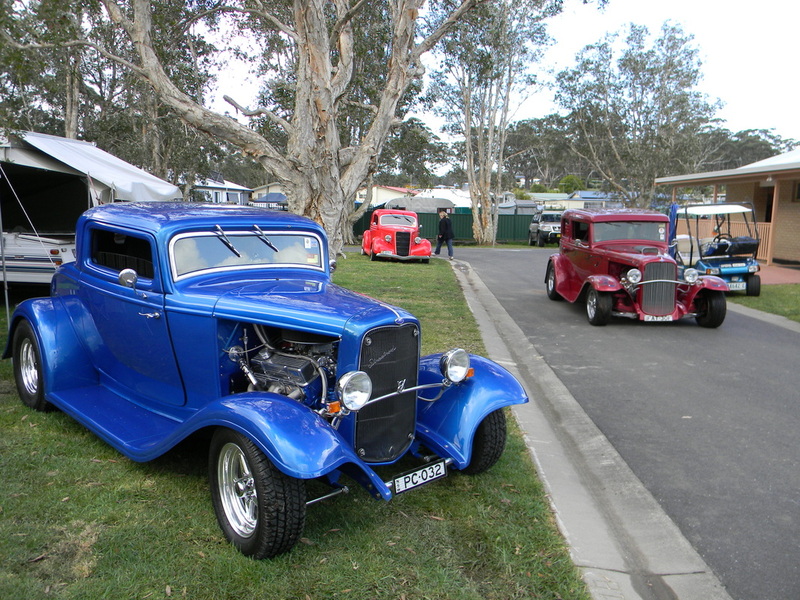 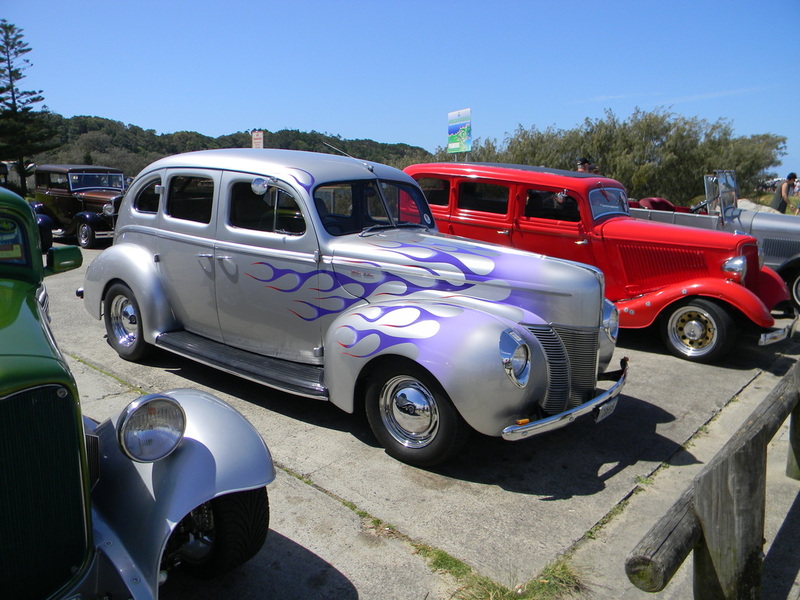 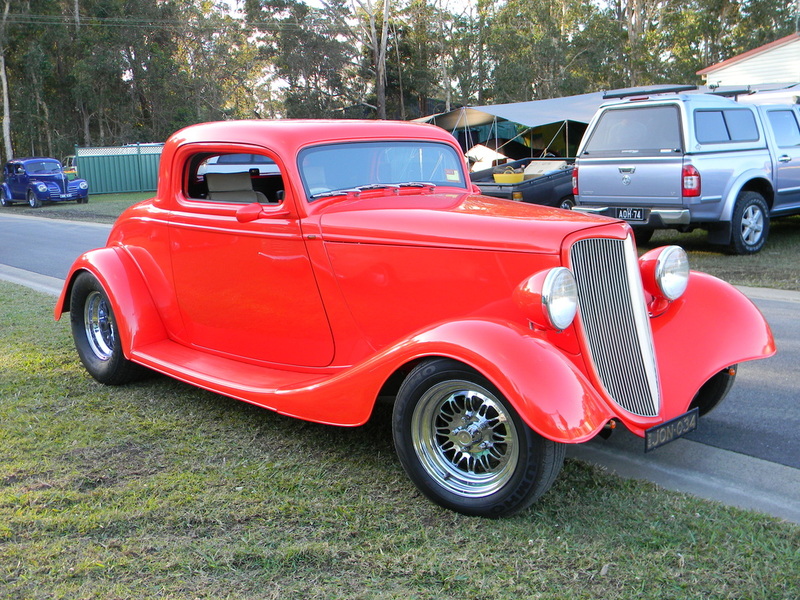 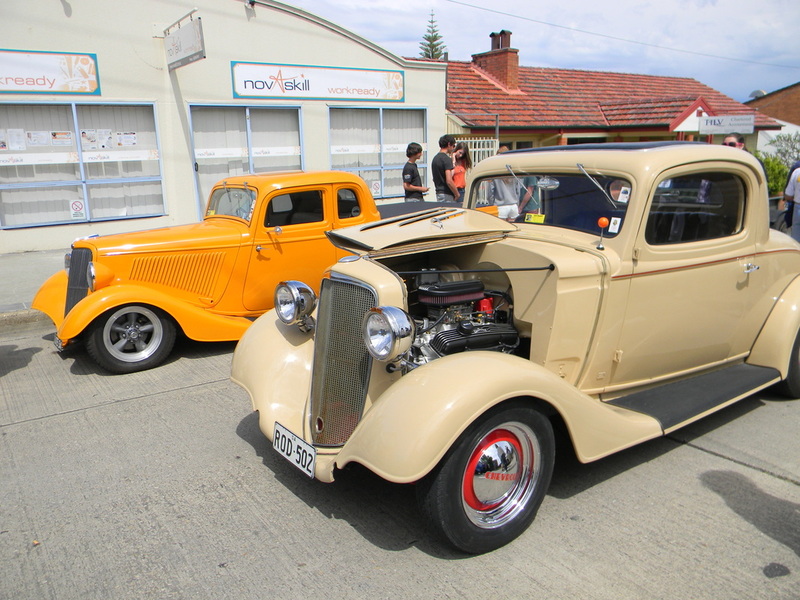 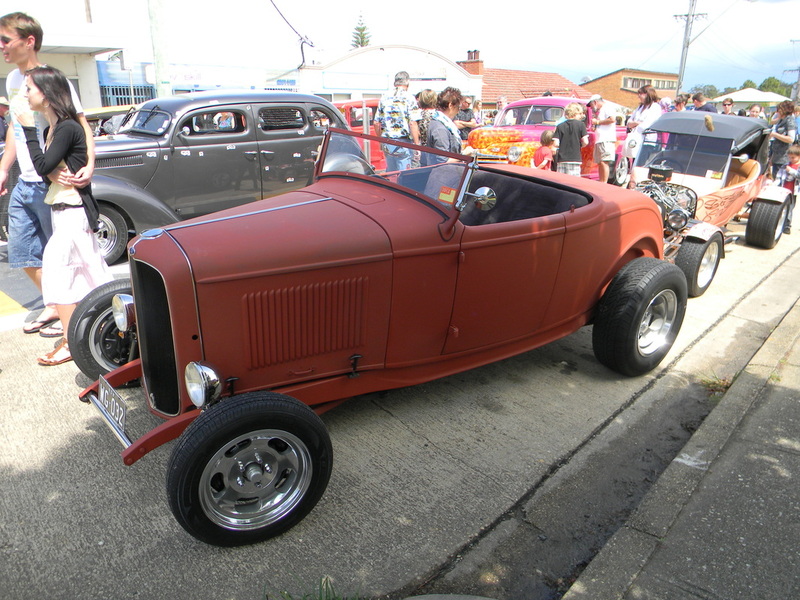 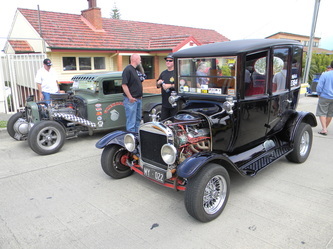 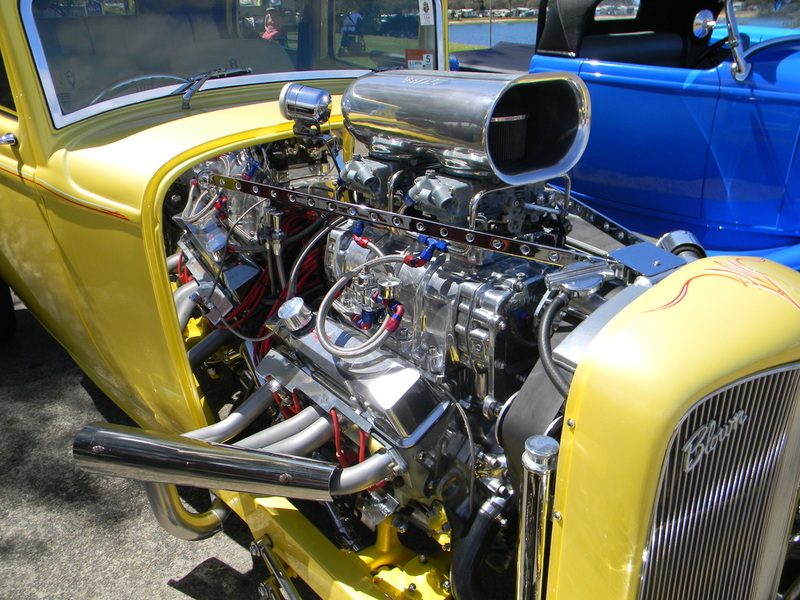 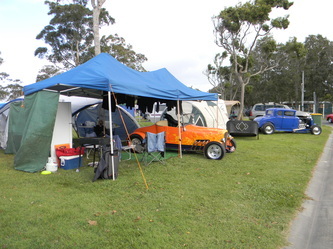 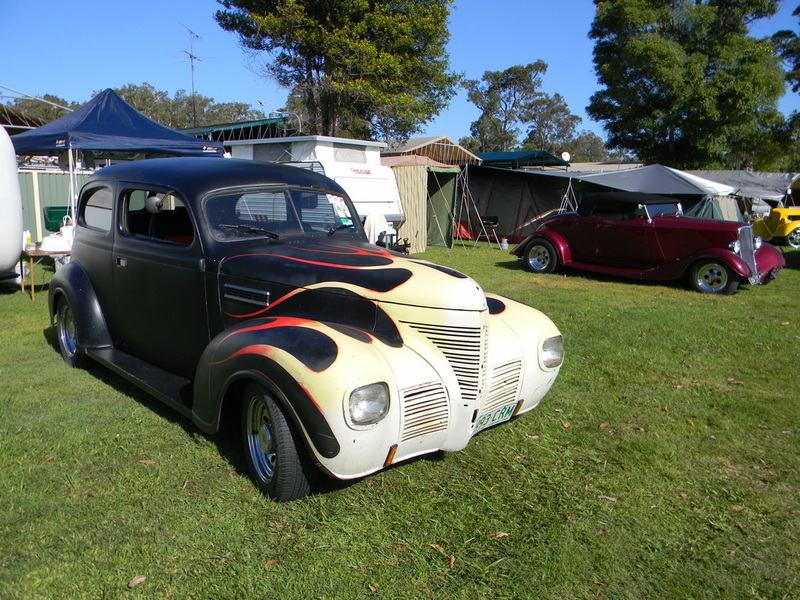 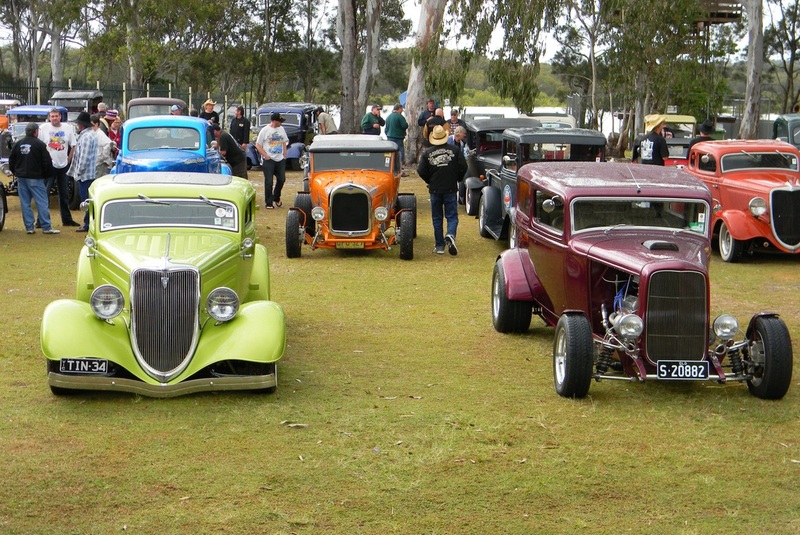 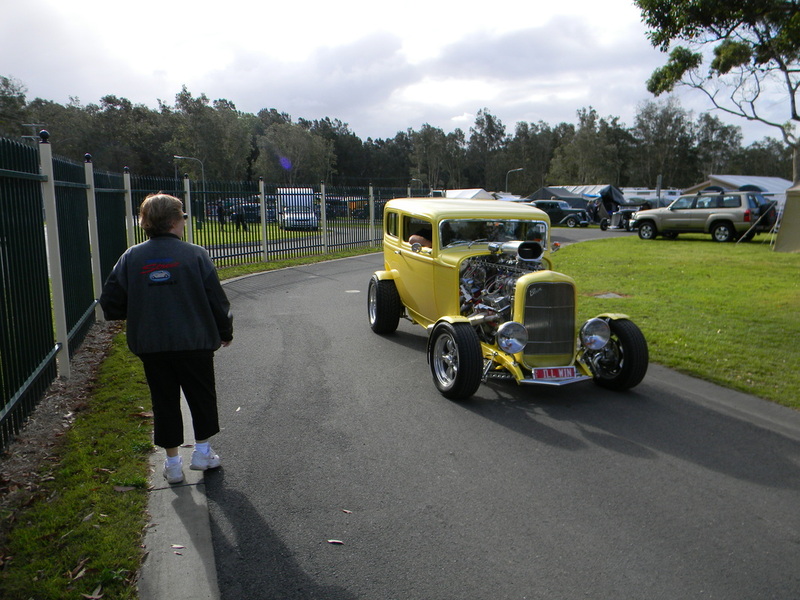 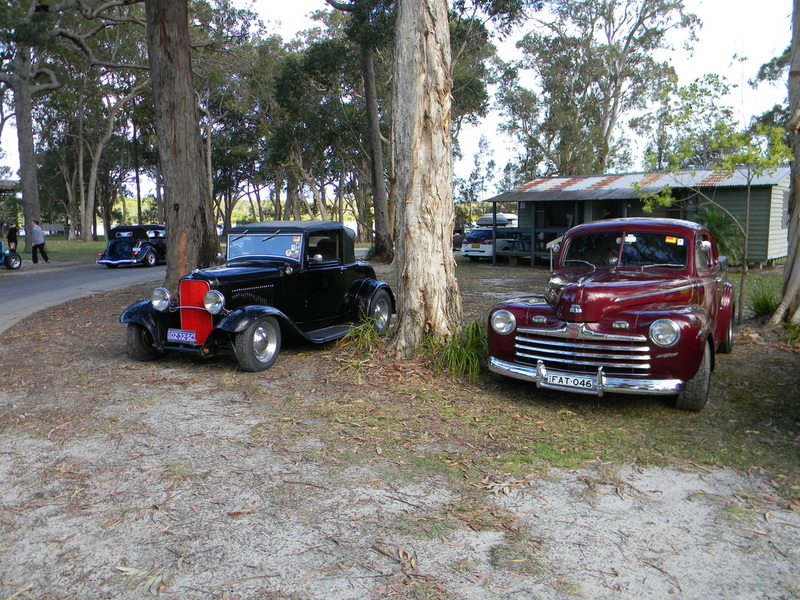 This year was the 35th Valla hosted by Drag-ens Hot Rod Club and another very successful year with 317 entrants including 80 Rookie Rods. 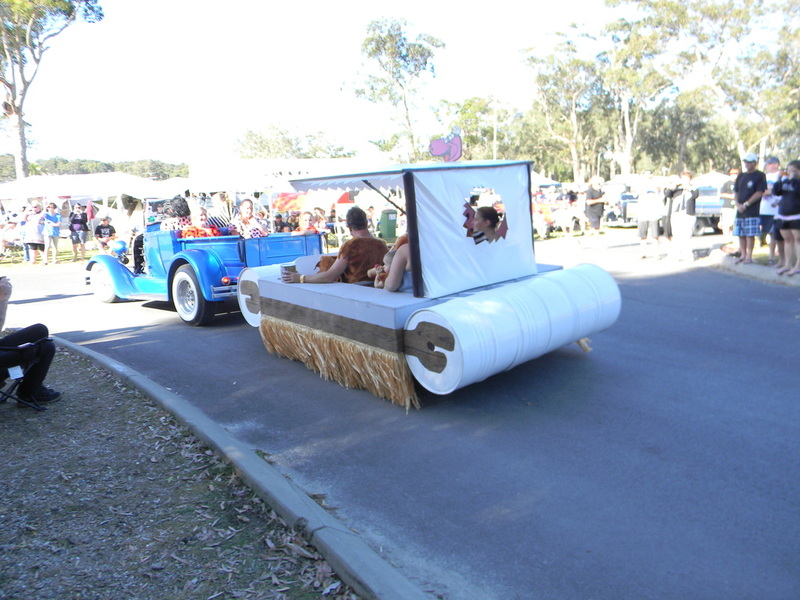 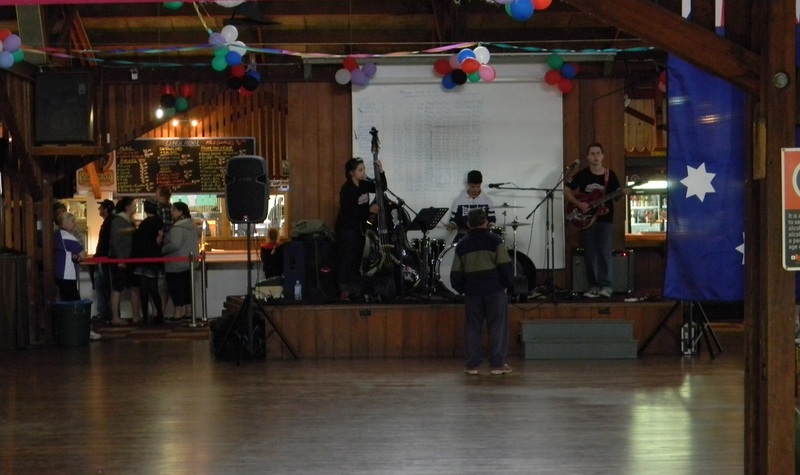 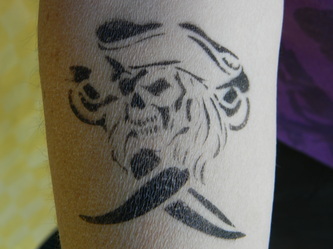 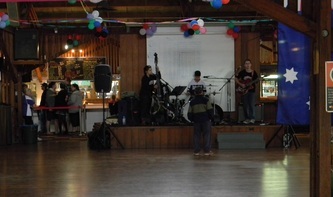 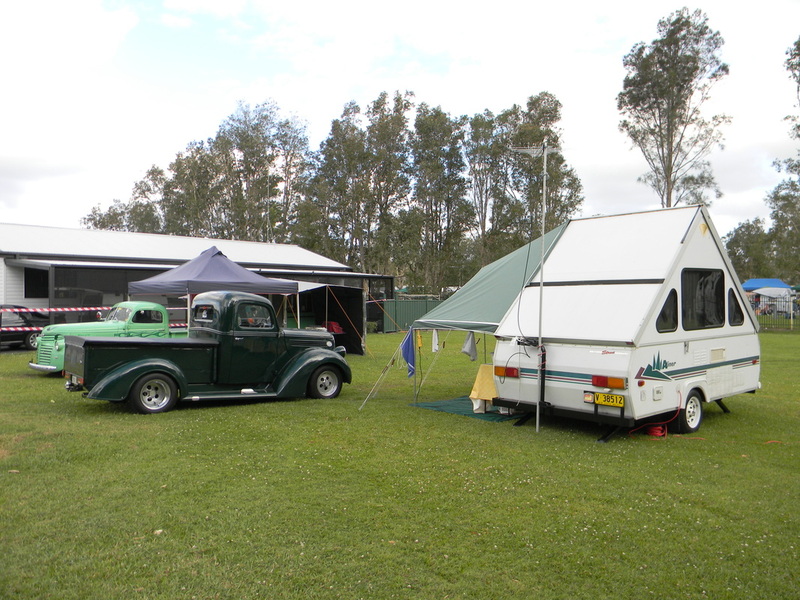 The week long event started on Sunday night with a Spit Roast and every night there was something on at the woolshed including Trivia, Bingo, Fun and Rage Nights ending with the presentation on Saturday night. 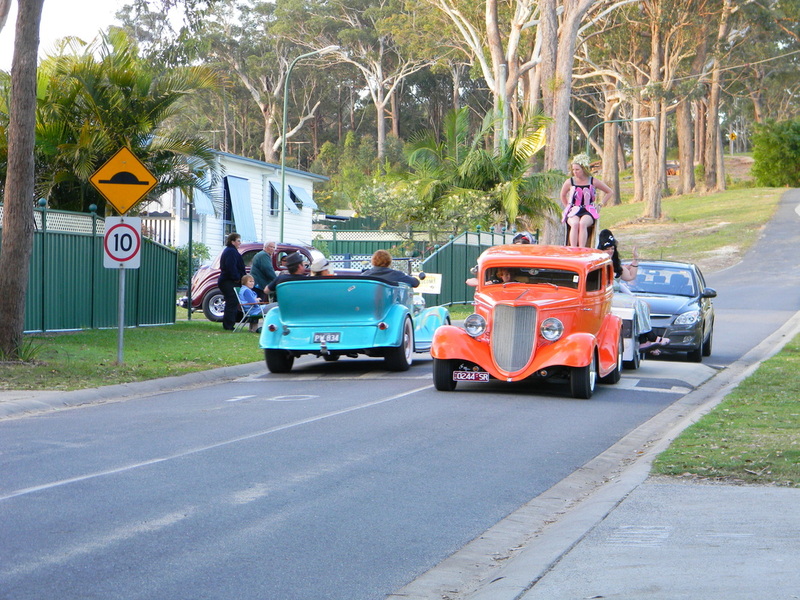 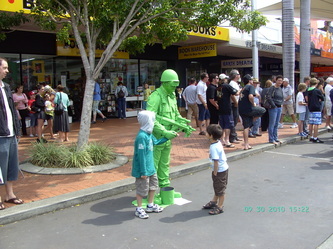 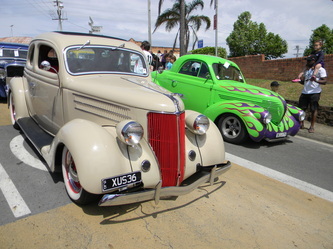 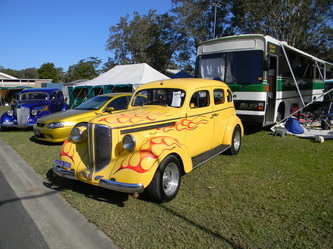 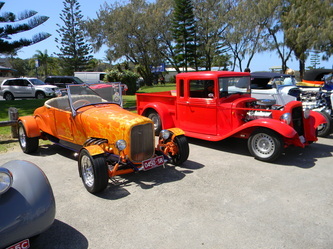 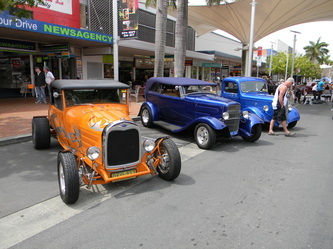 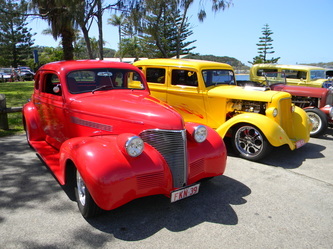 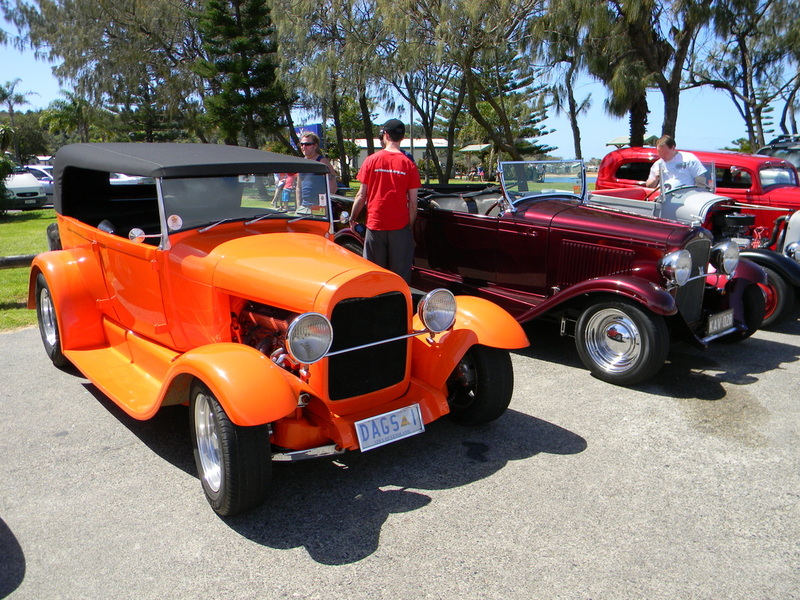 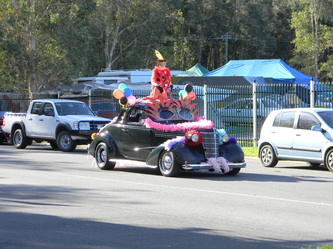 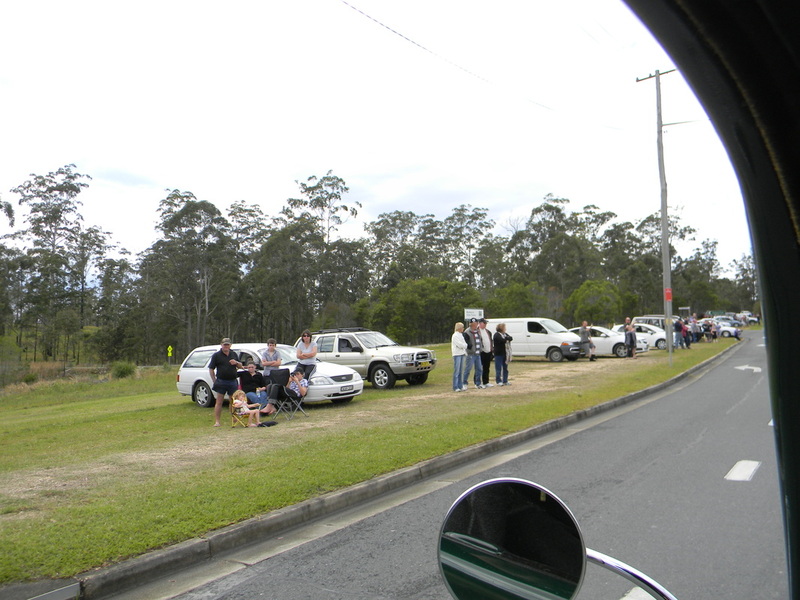 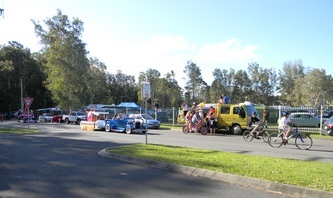 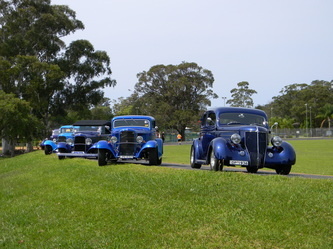 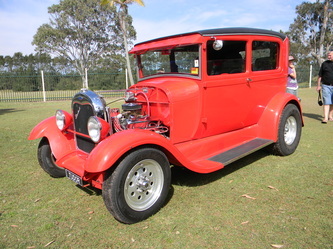 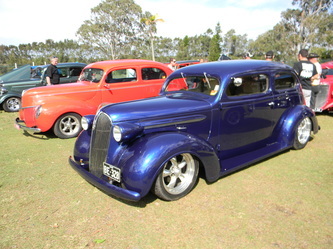 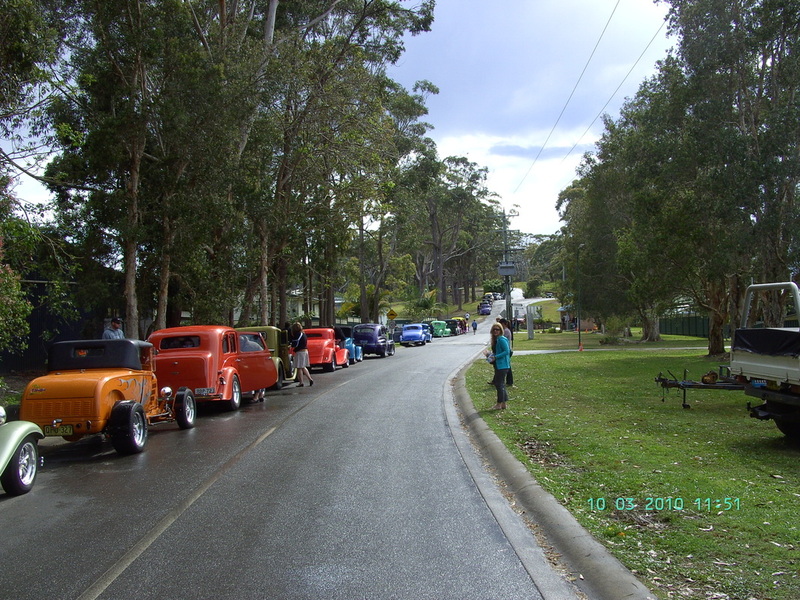 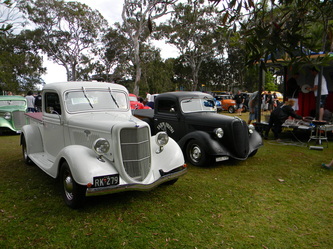 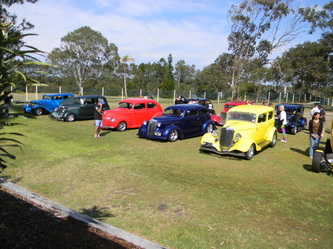 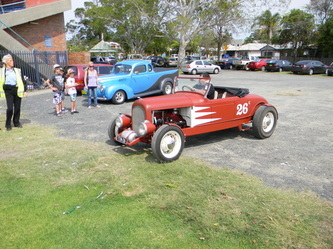 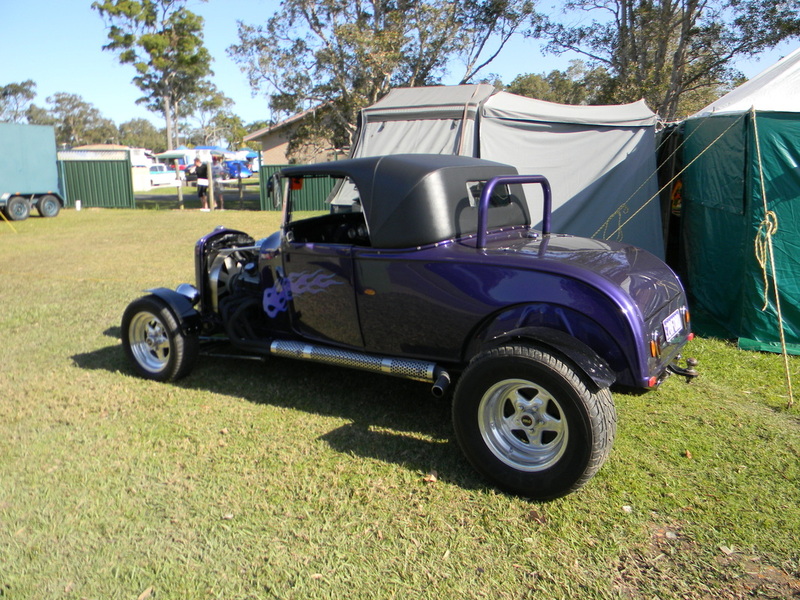 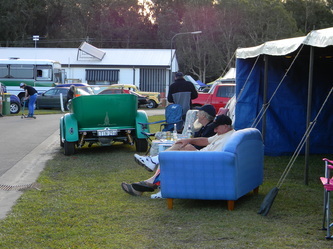 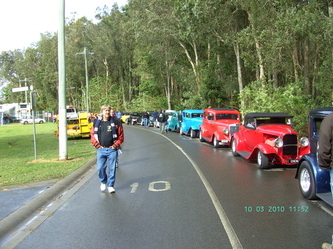 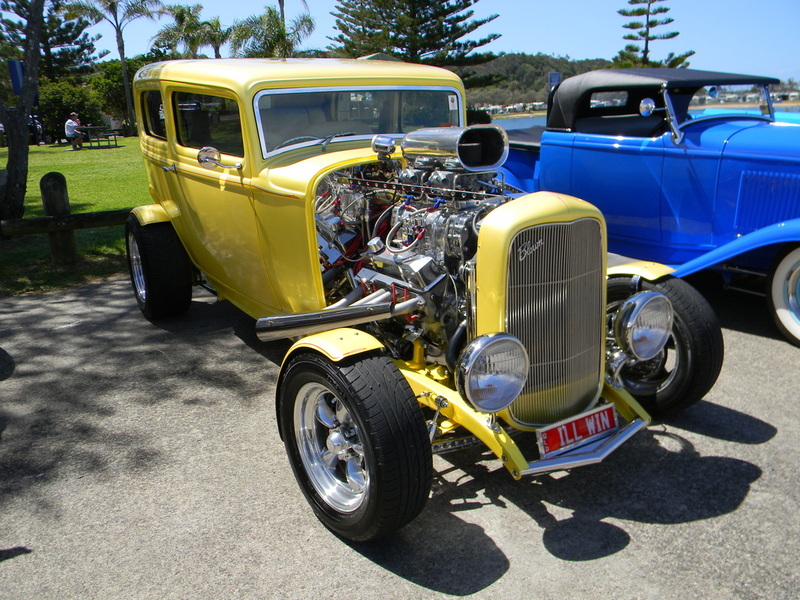 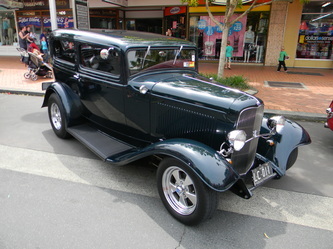 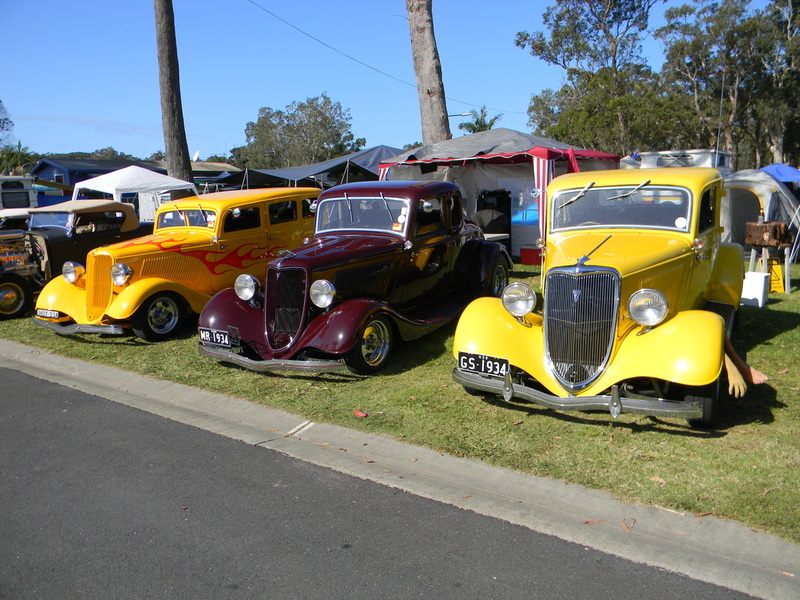 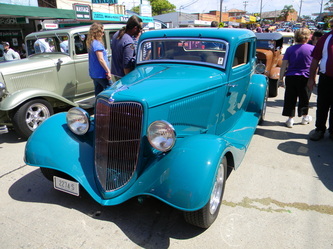 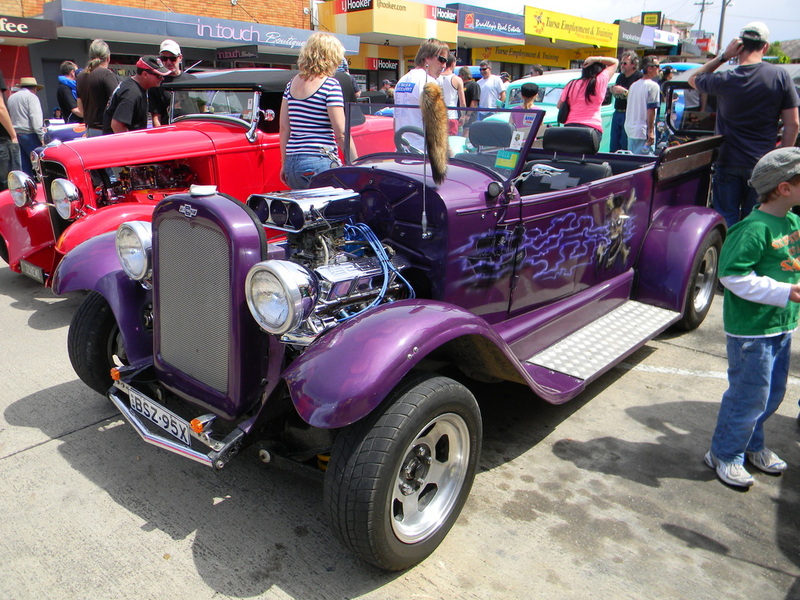 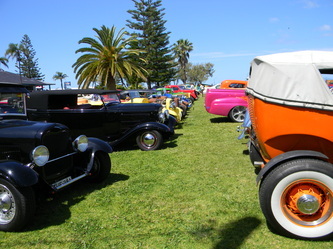 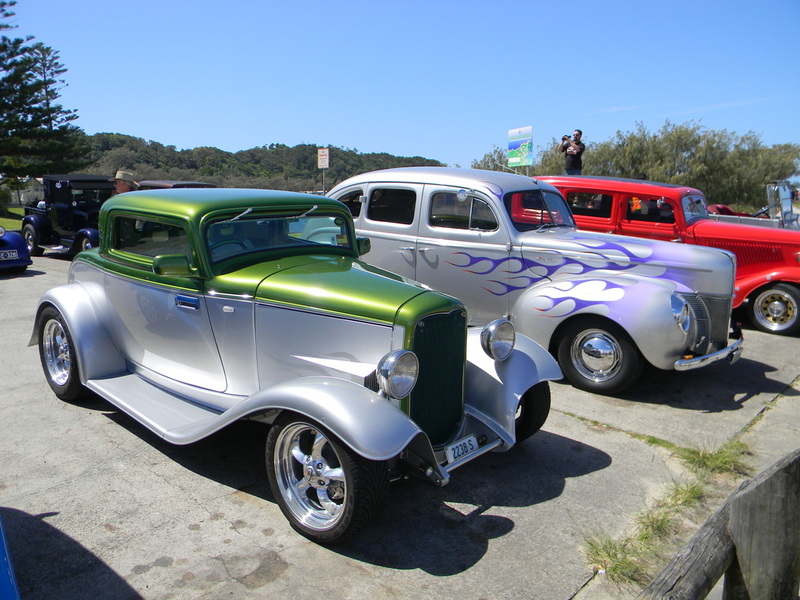 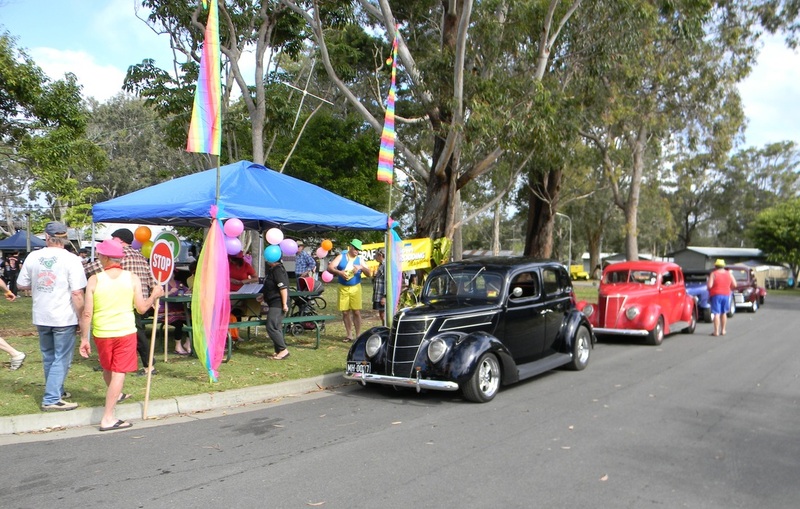 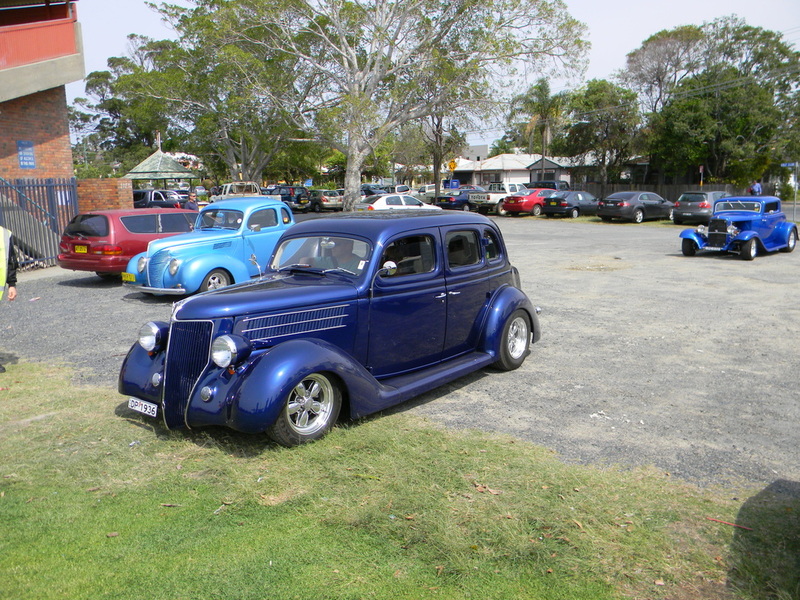 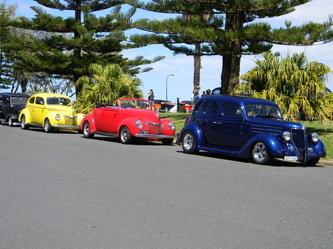 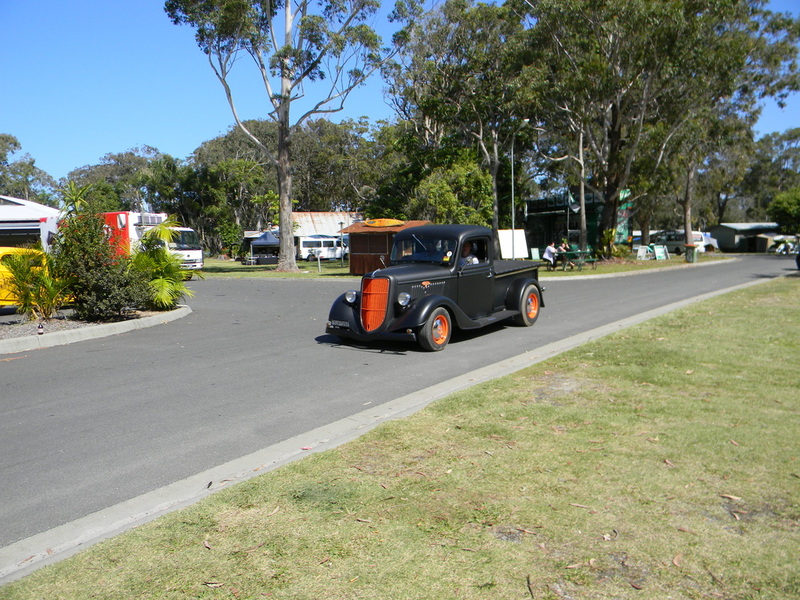 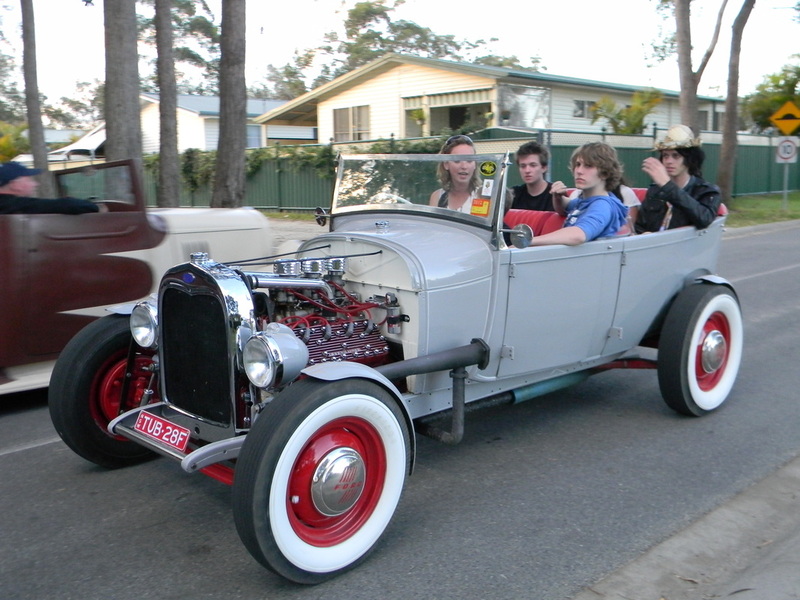 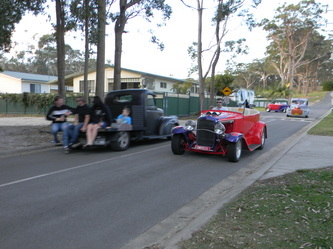 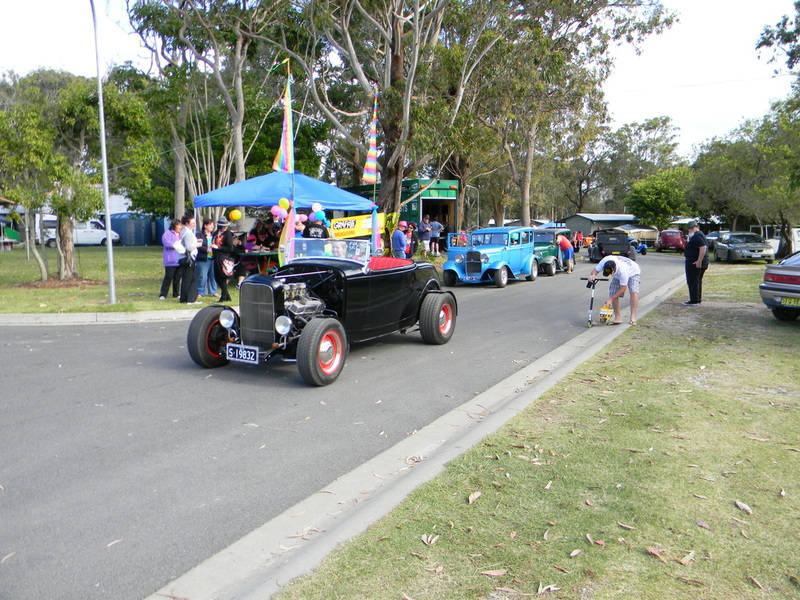 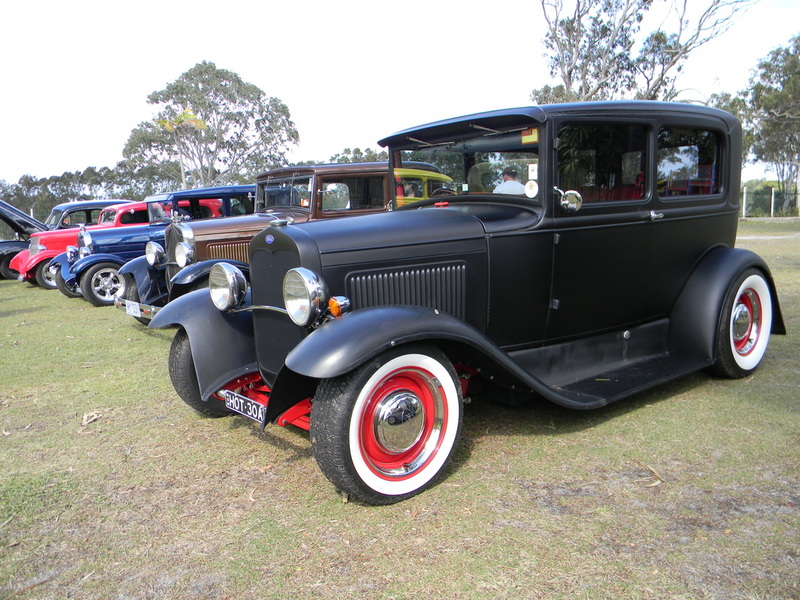 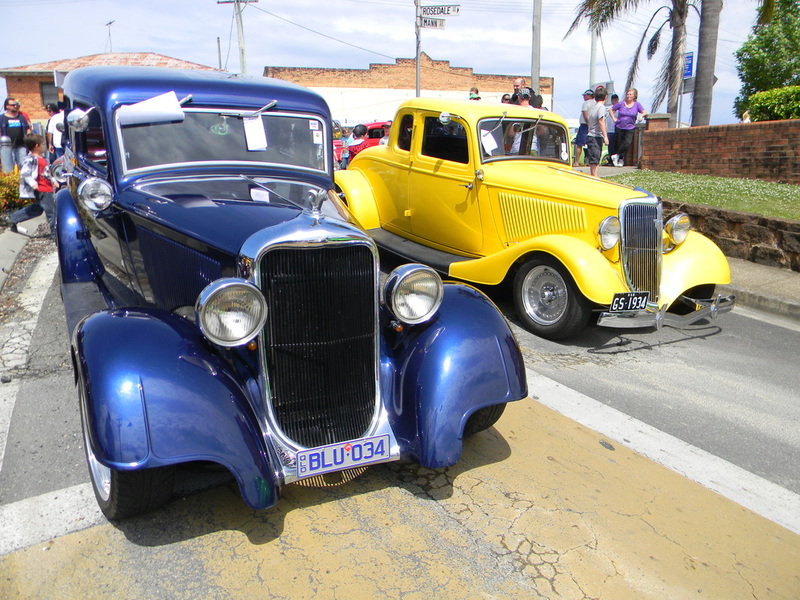 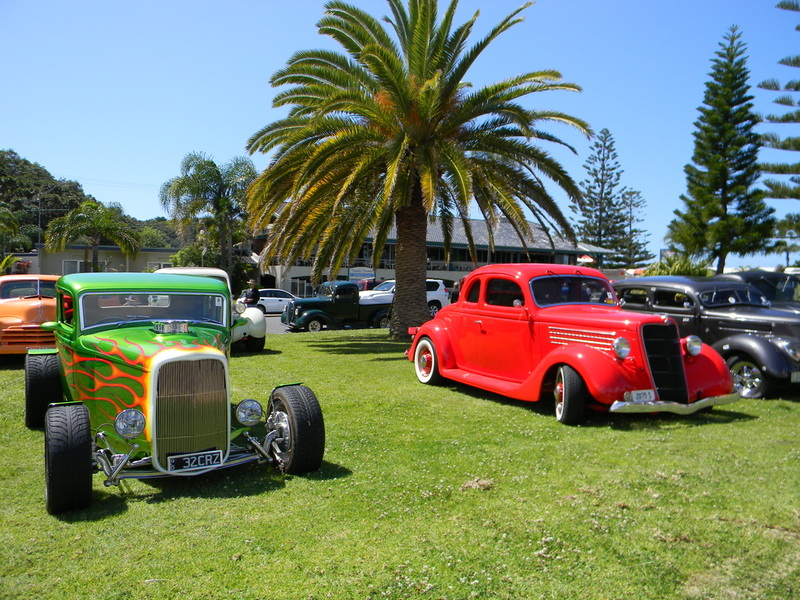 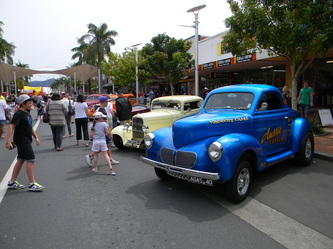 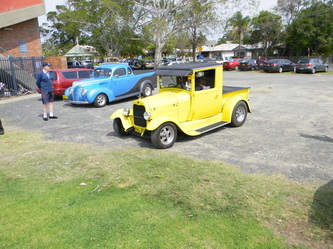 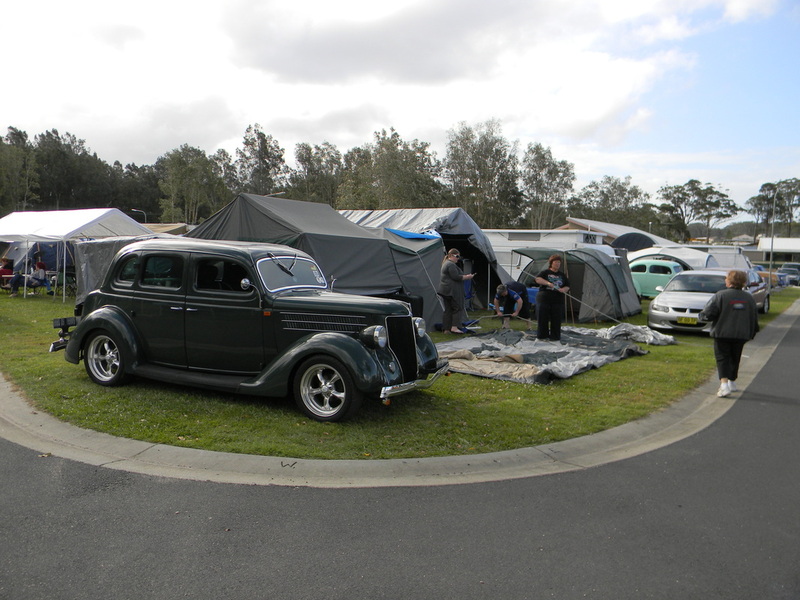 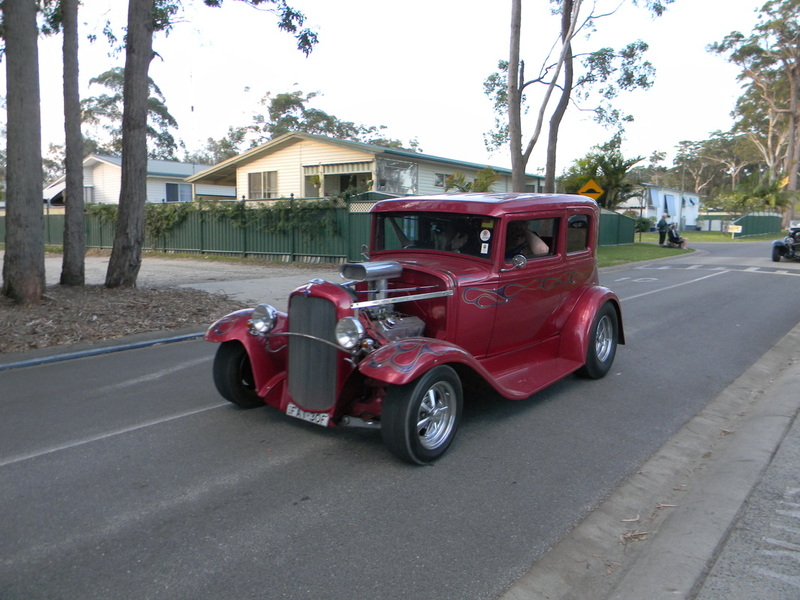 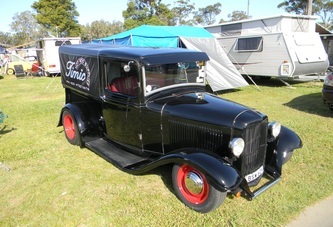 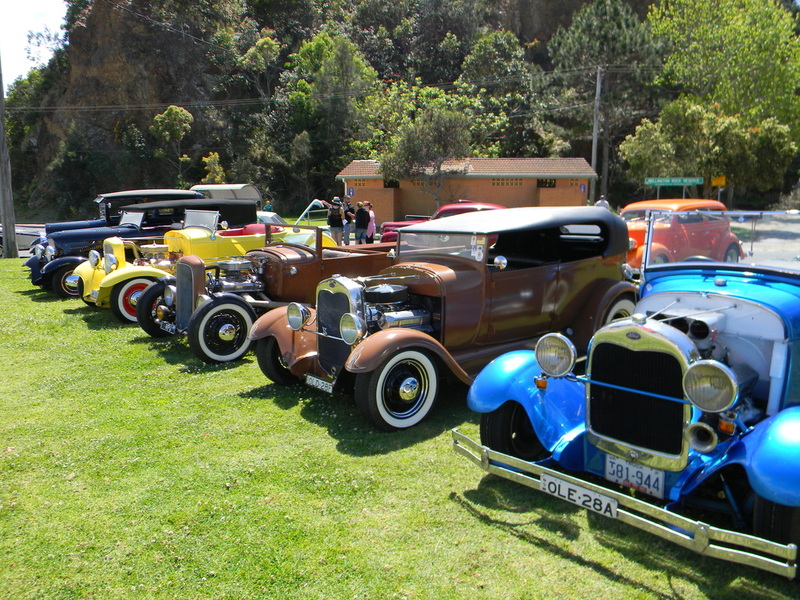 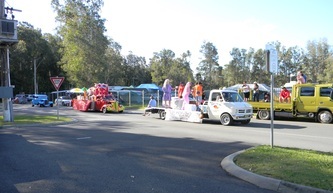 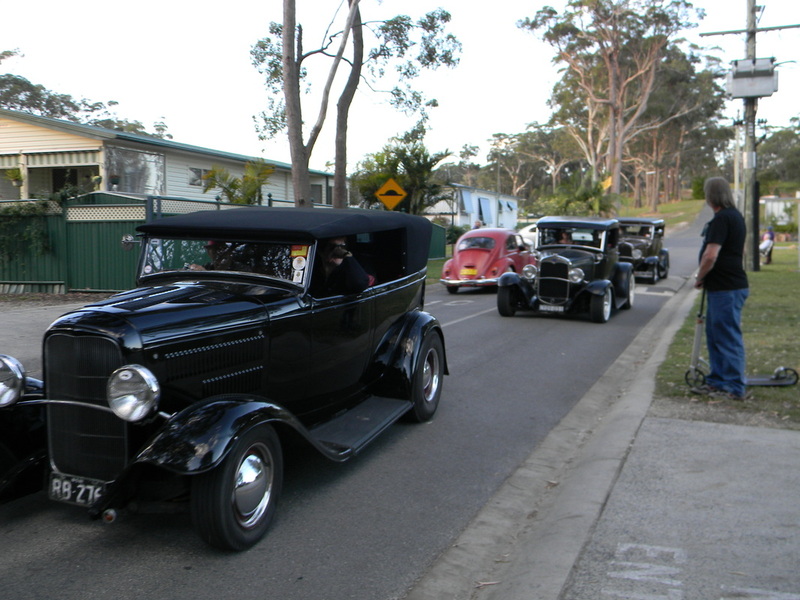 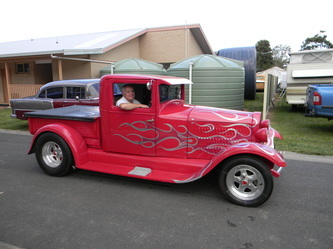 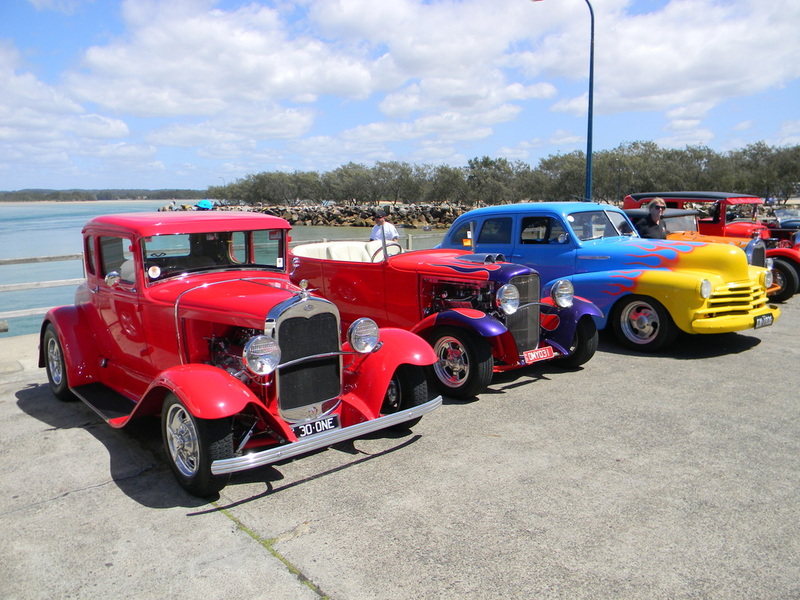 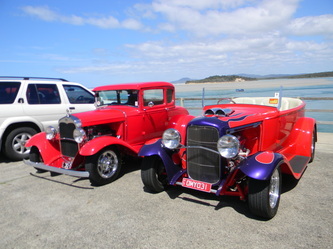 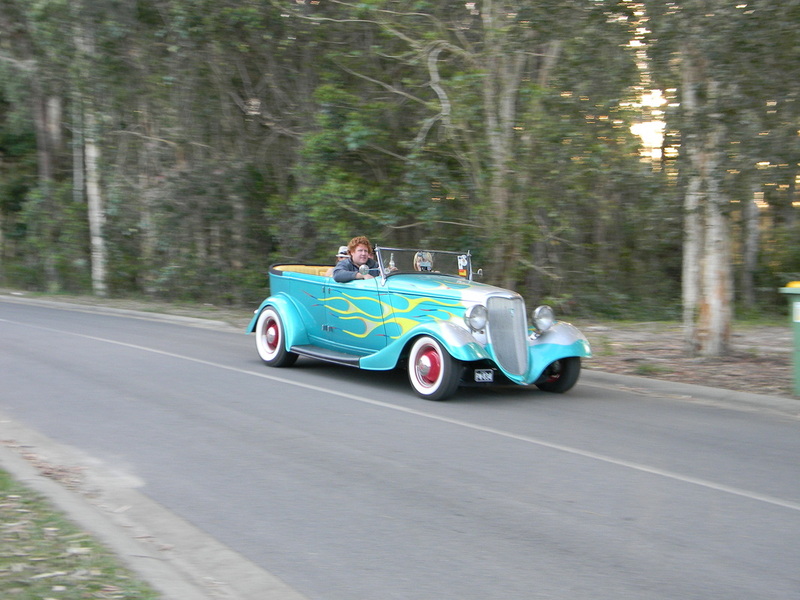 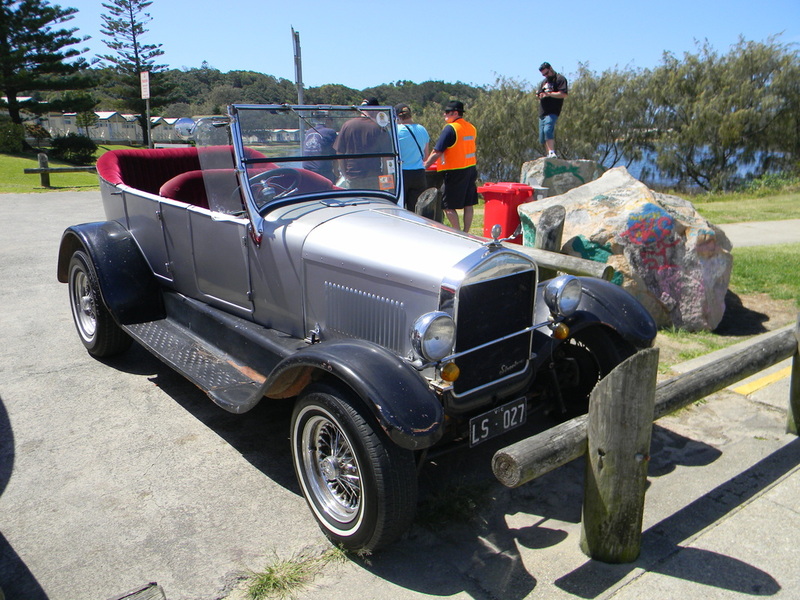 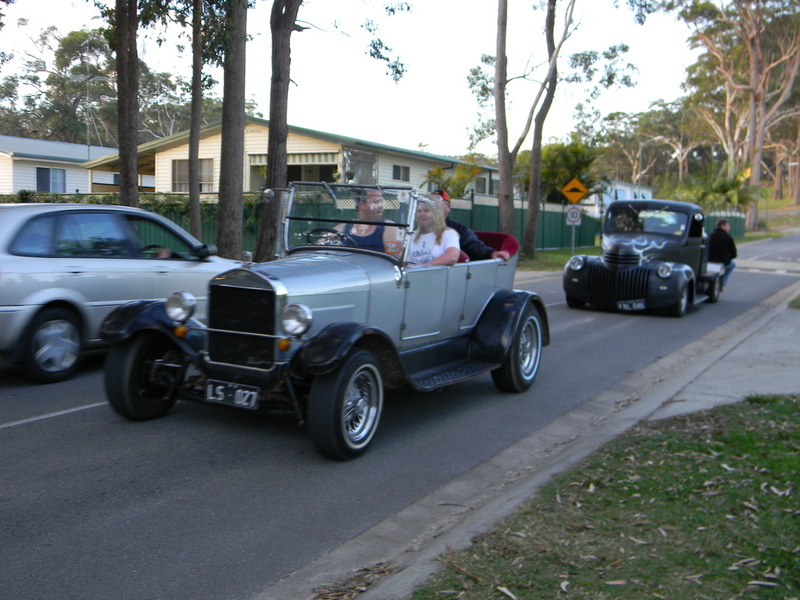 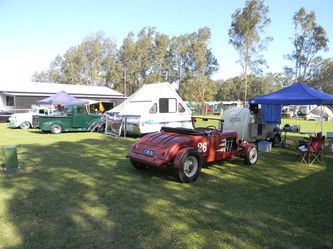 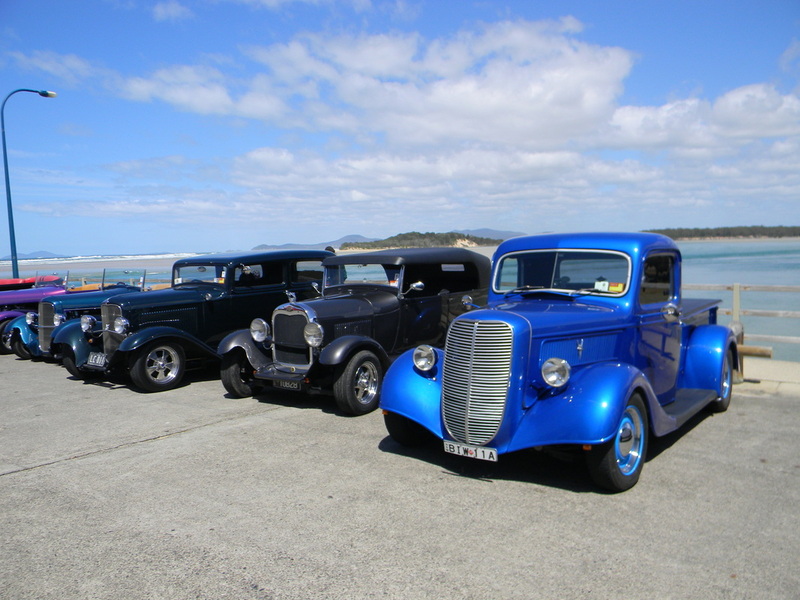 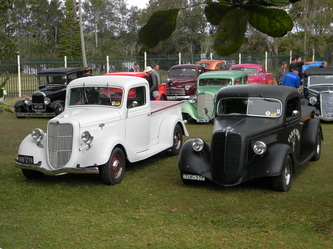 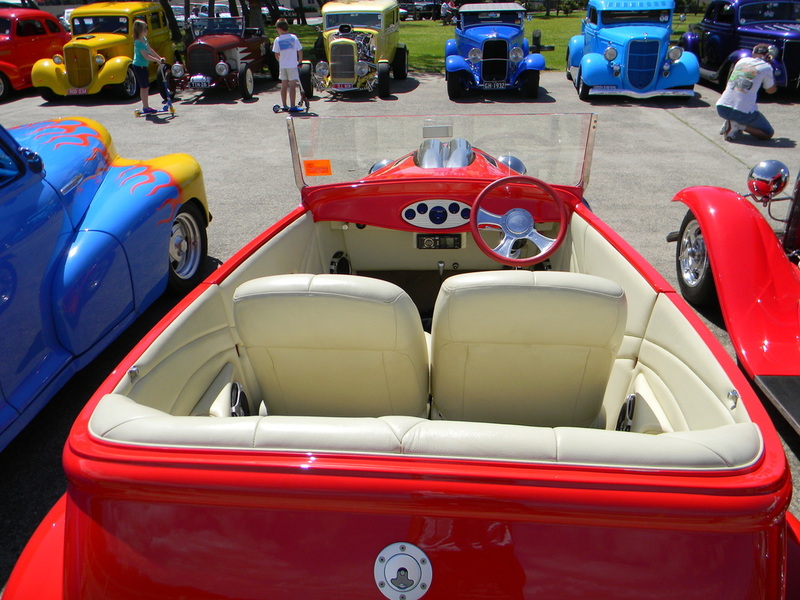 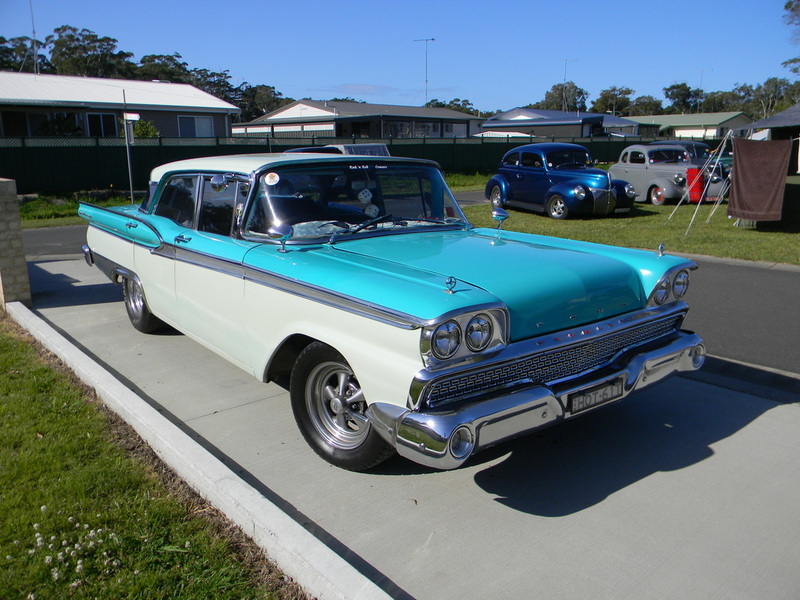 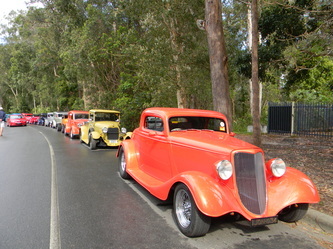 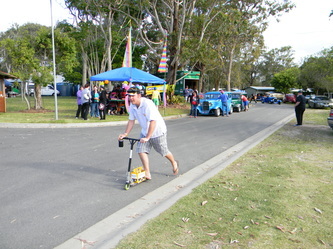 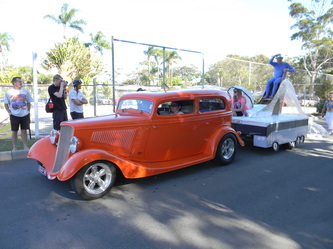 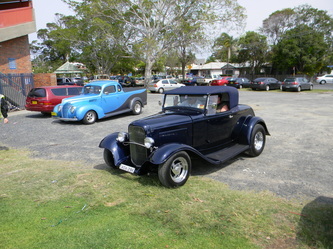 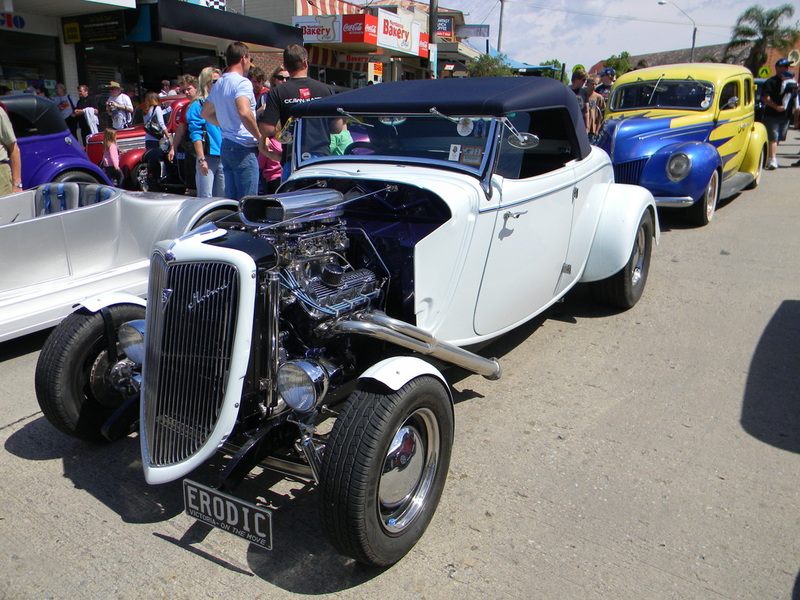 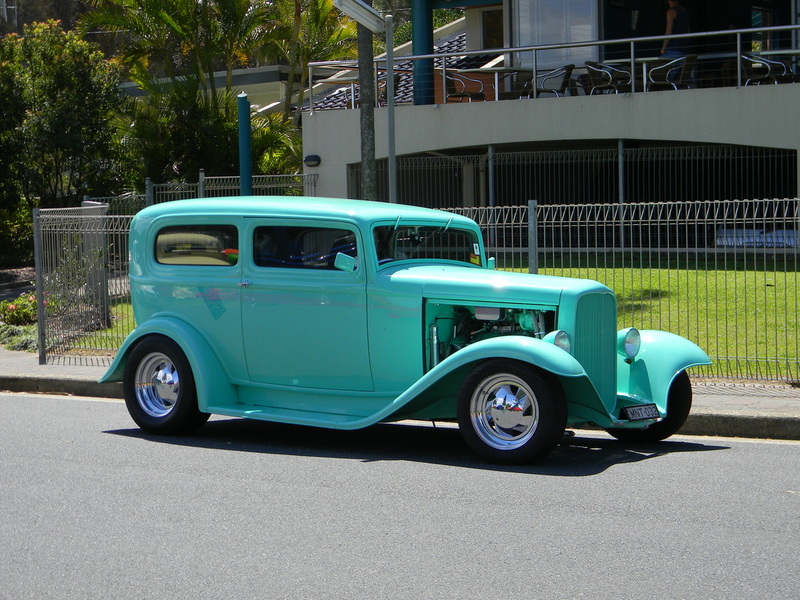 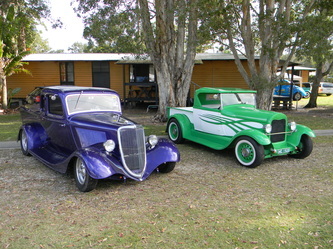 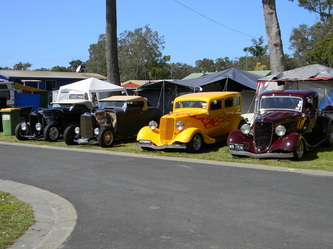 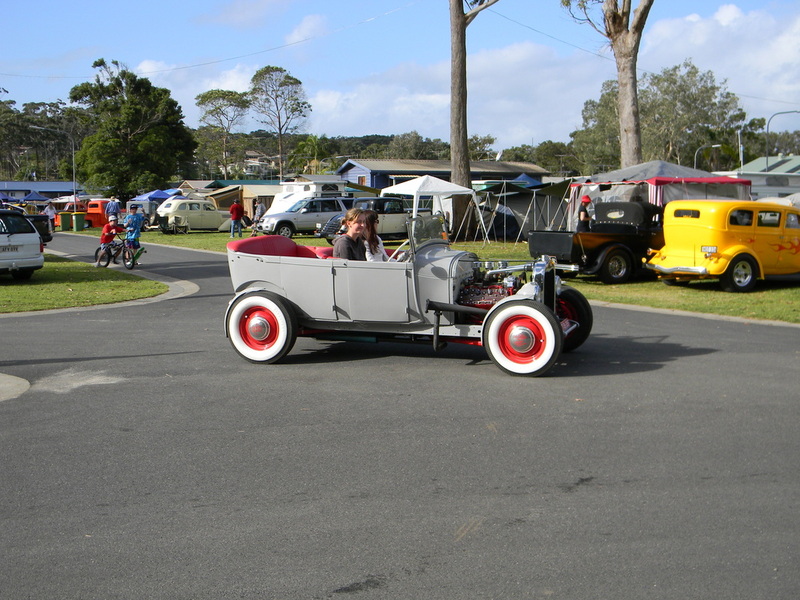 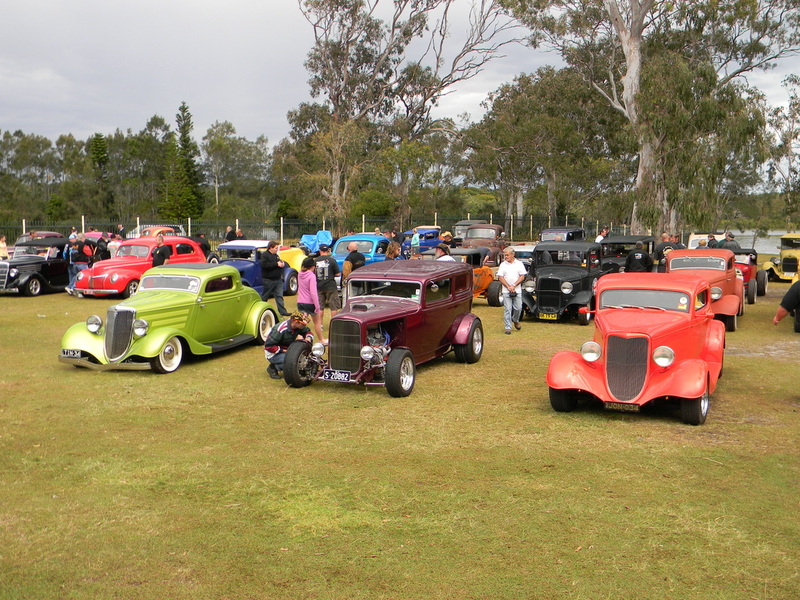 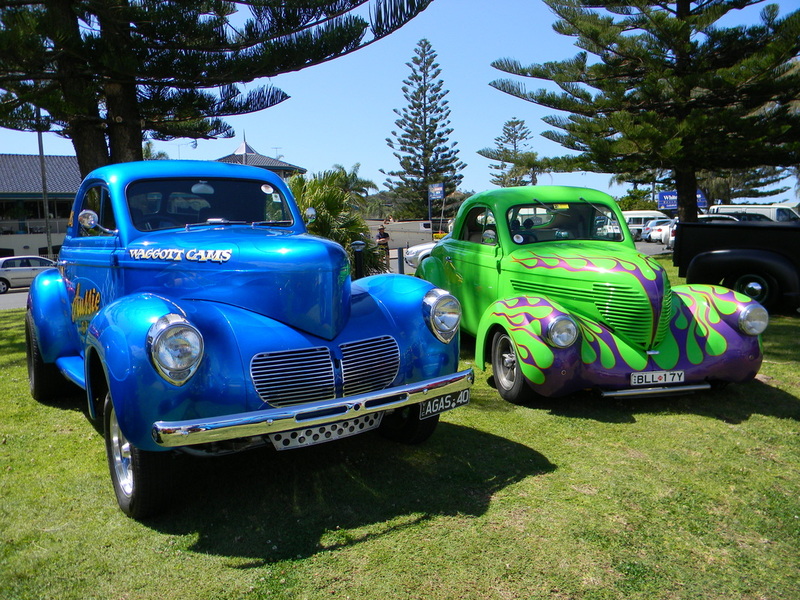 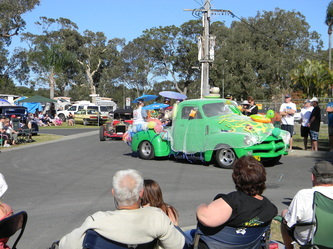 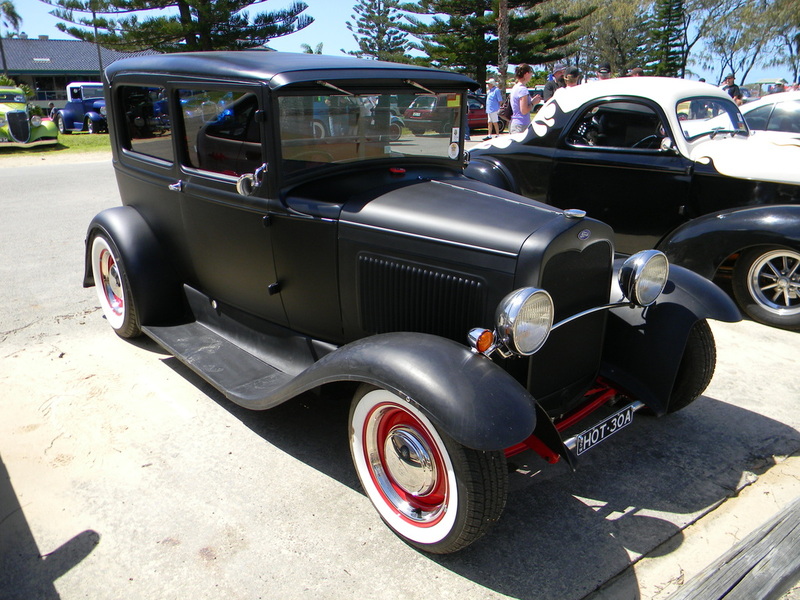 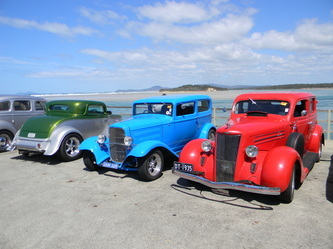 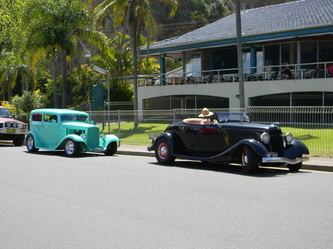 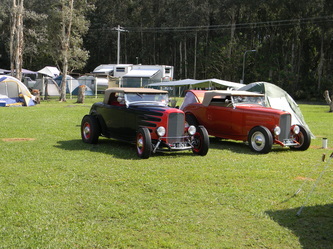 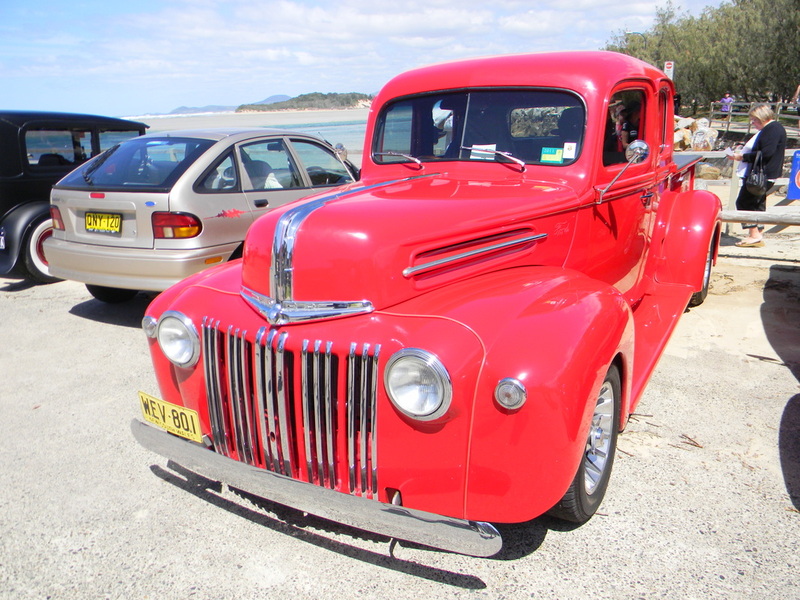 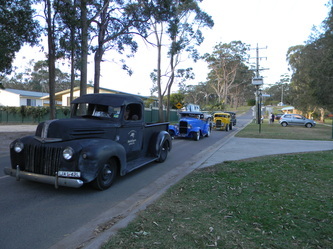 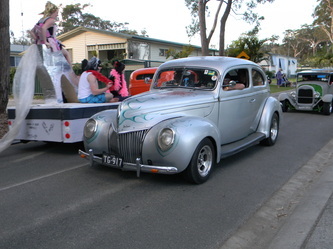 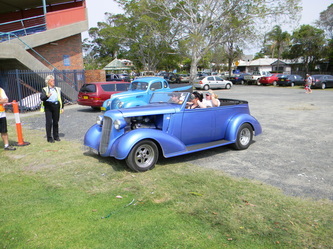 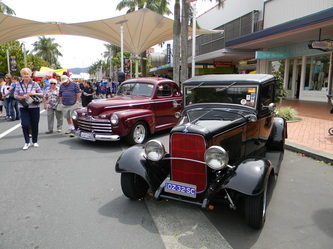 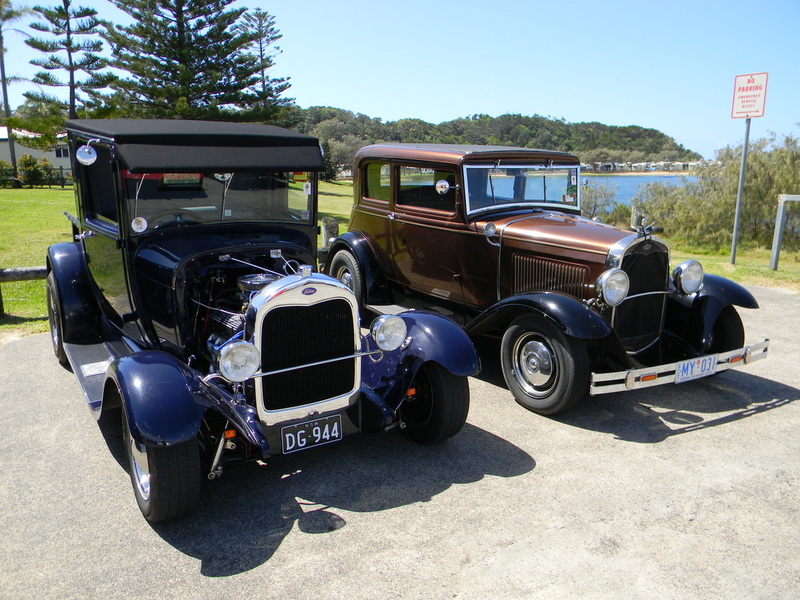 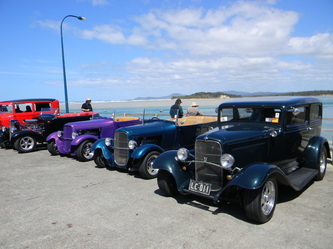 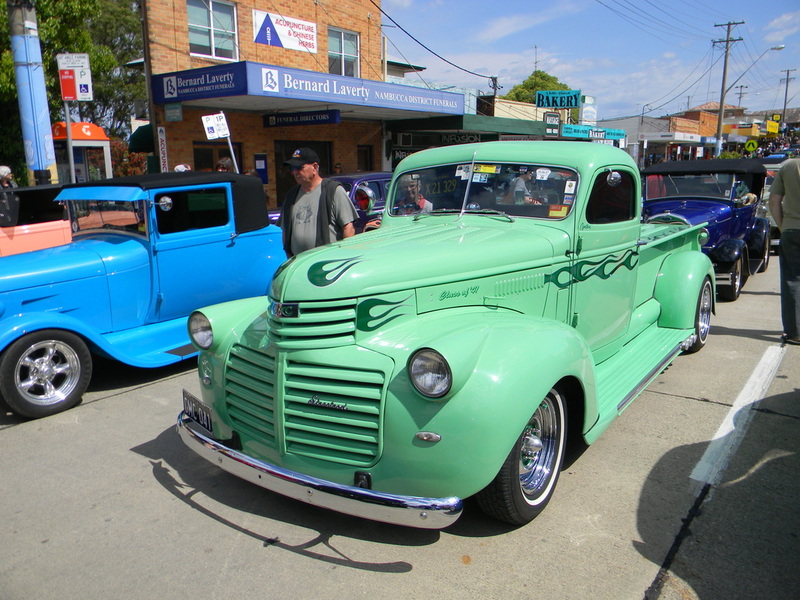 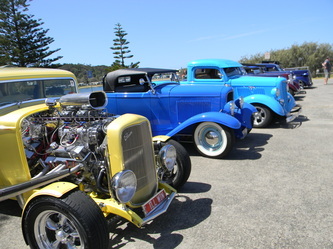 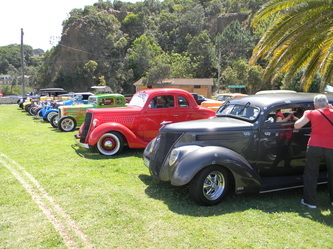 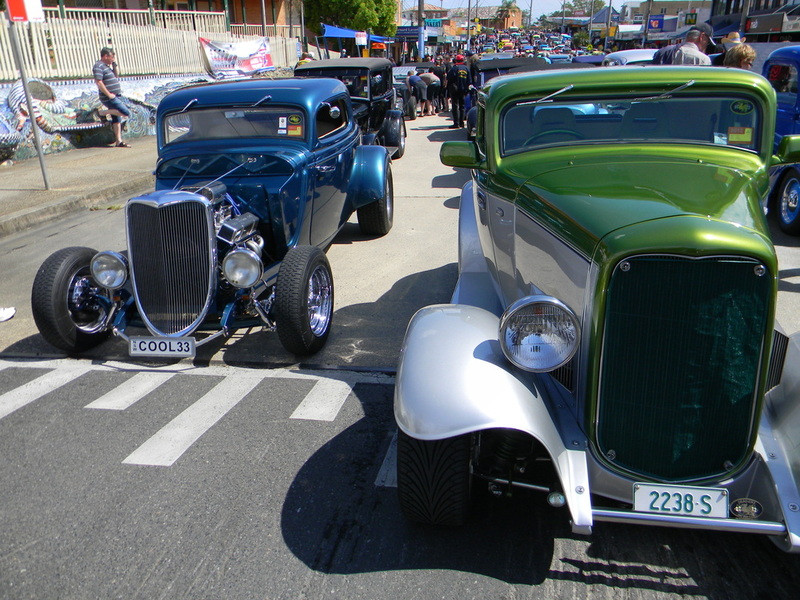 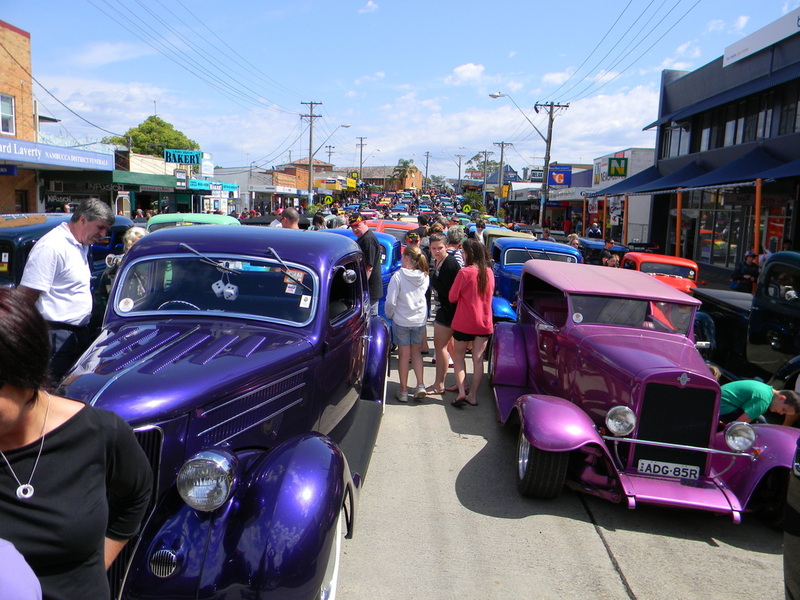 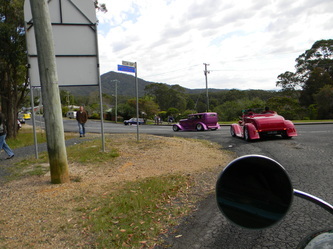 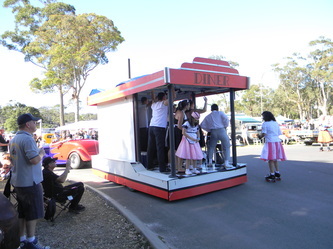 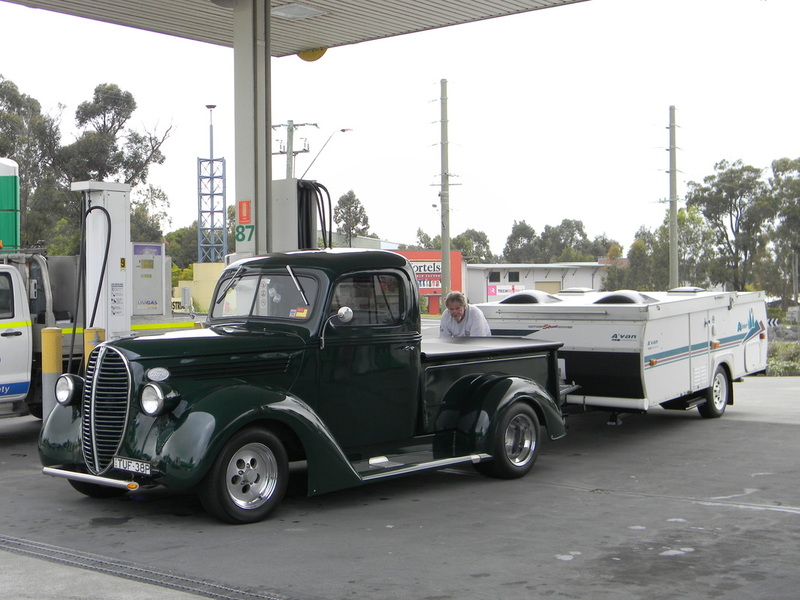 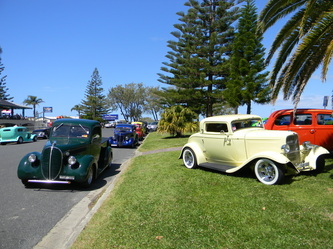 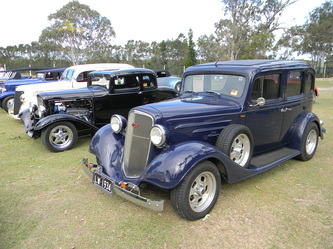 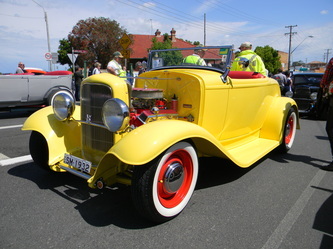 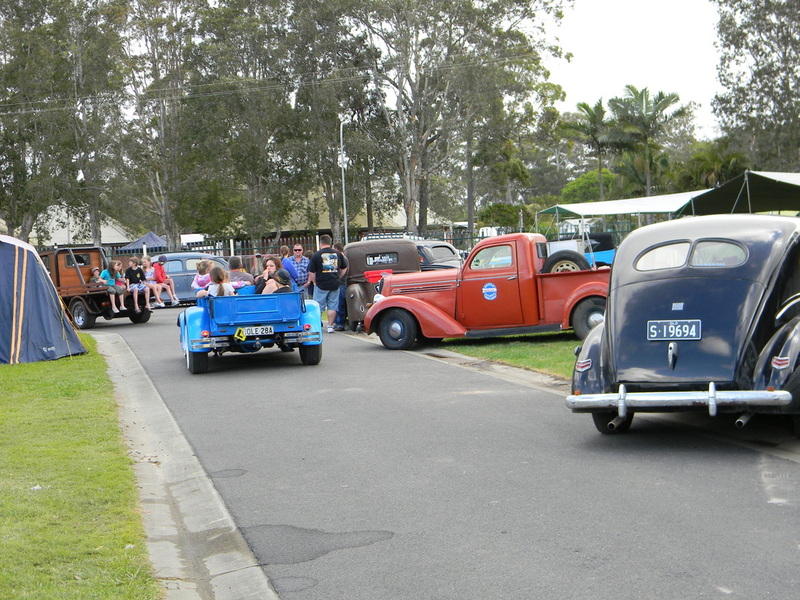 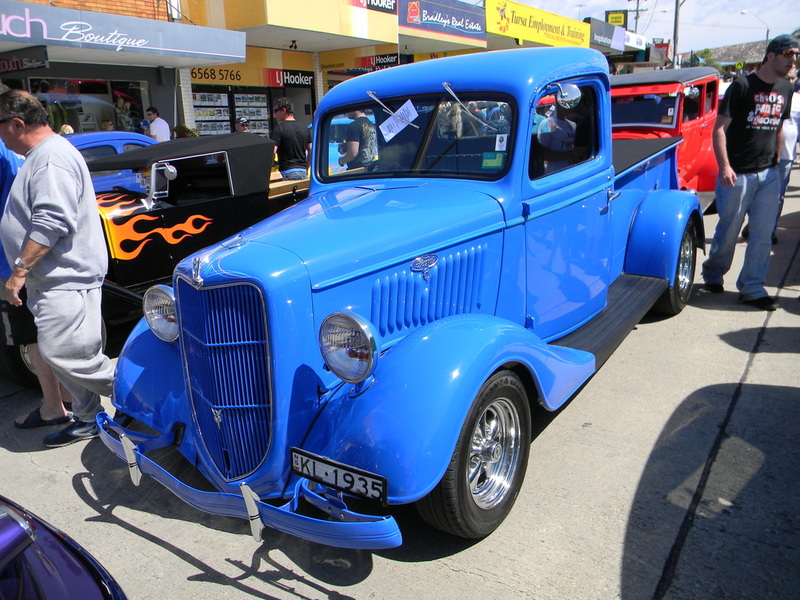 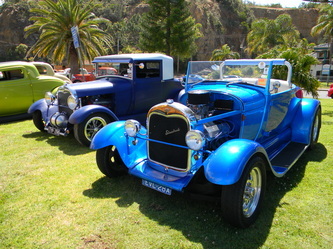 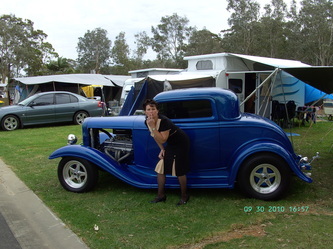 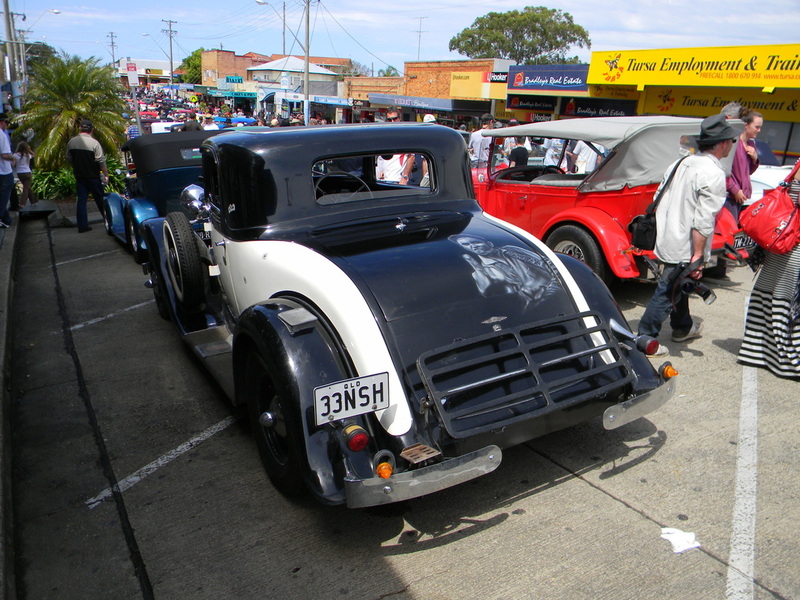 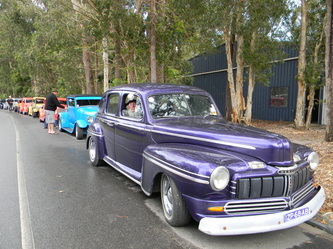 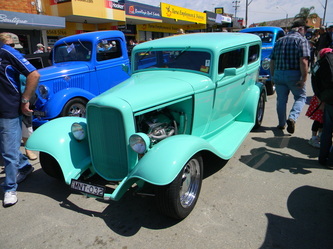 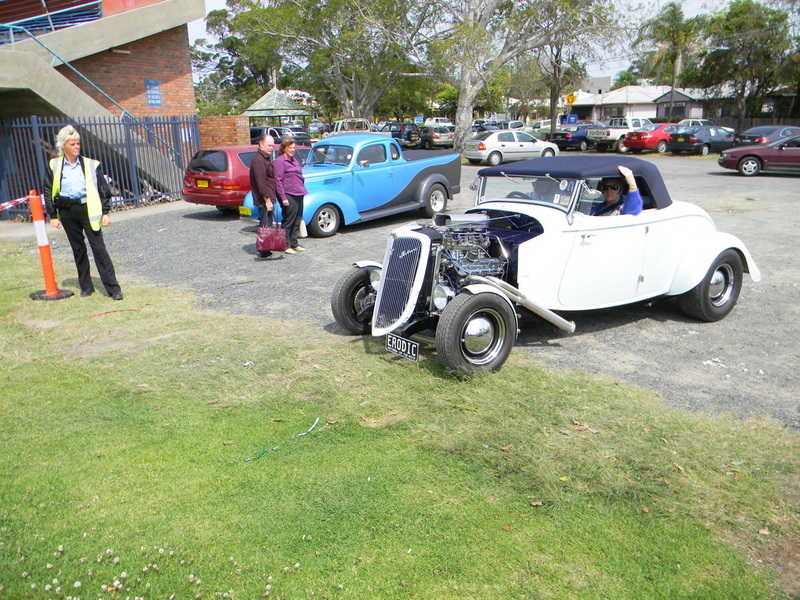 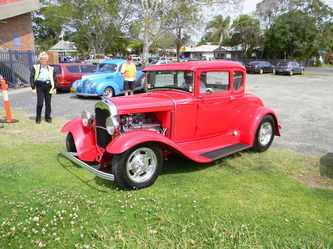 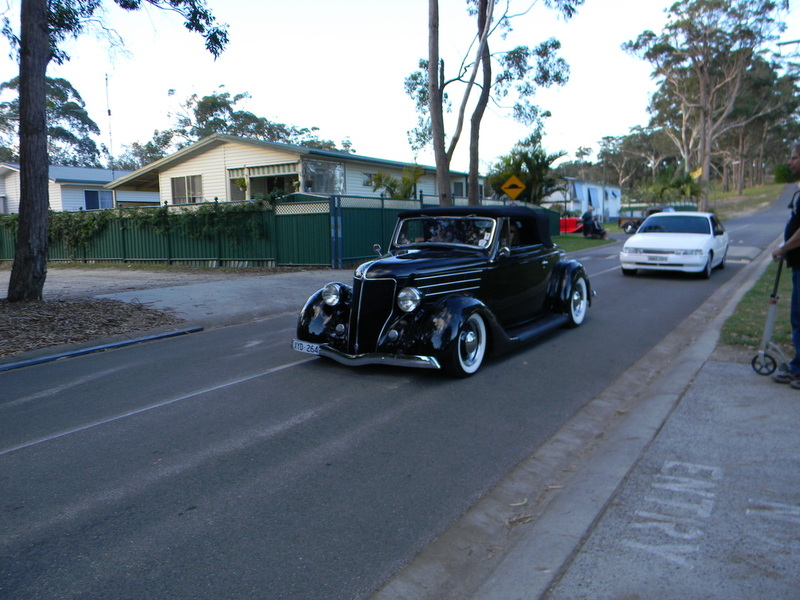 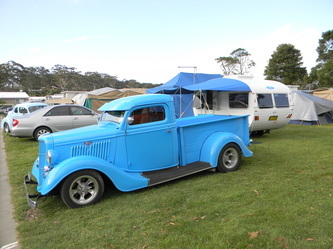 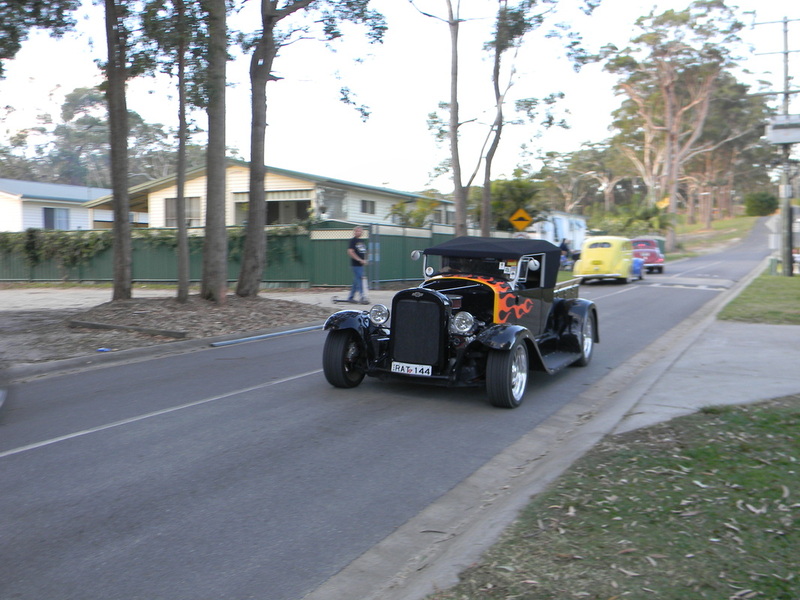 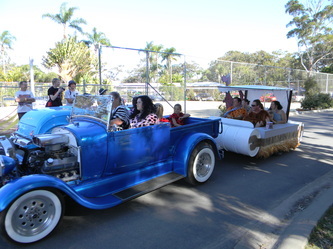 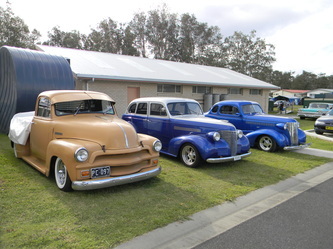 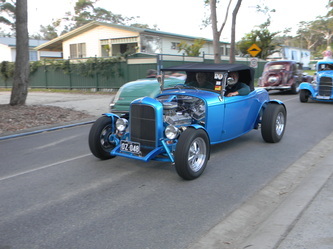 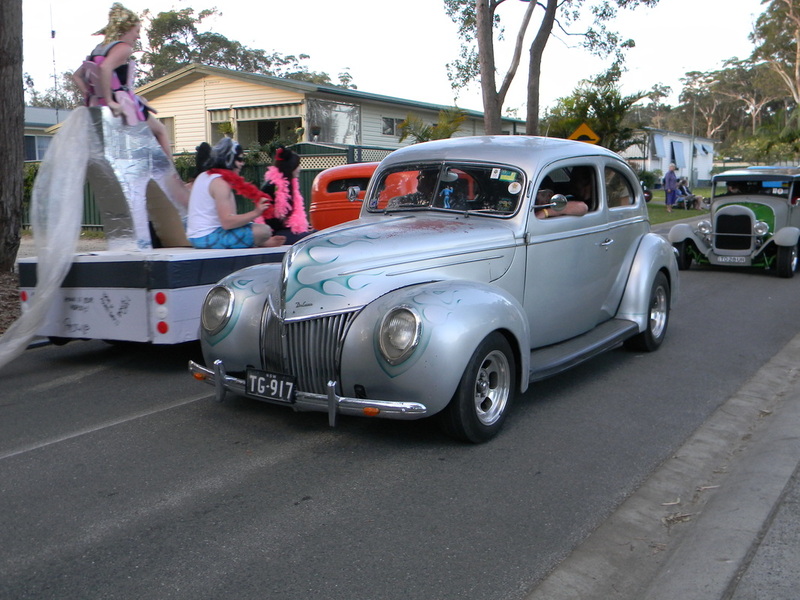 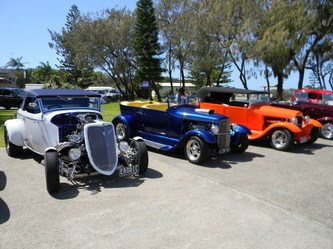 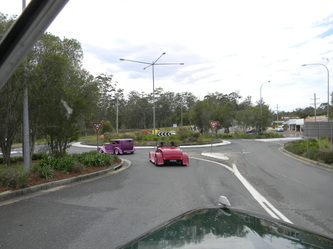 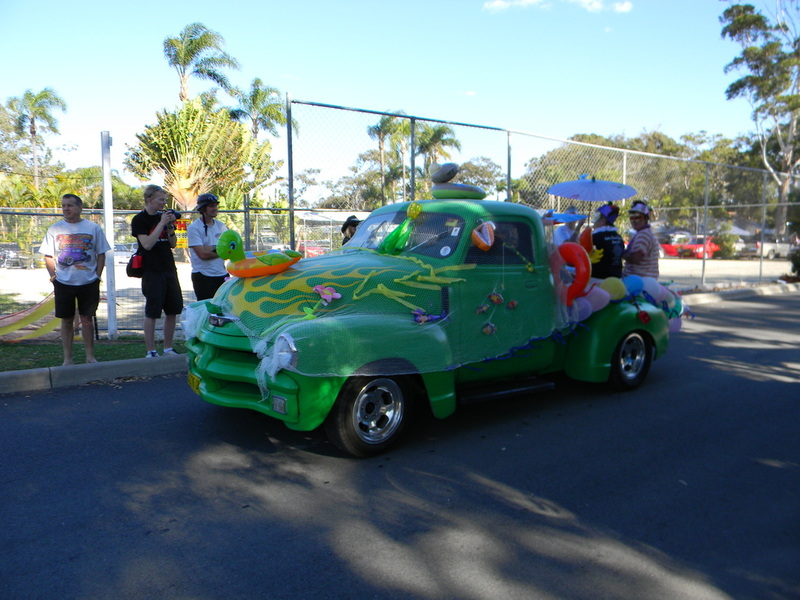 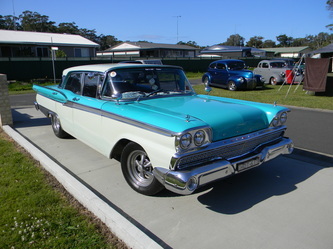 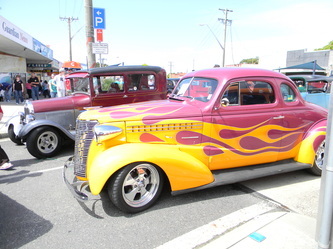 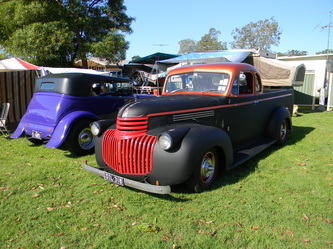 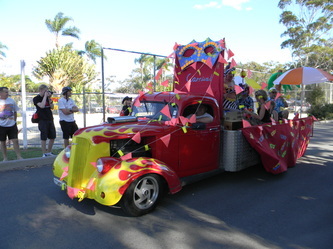 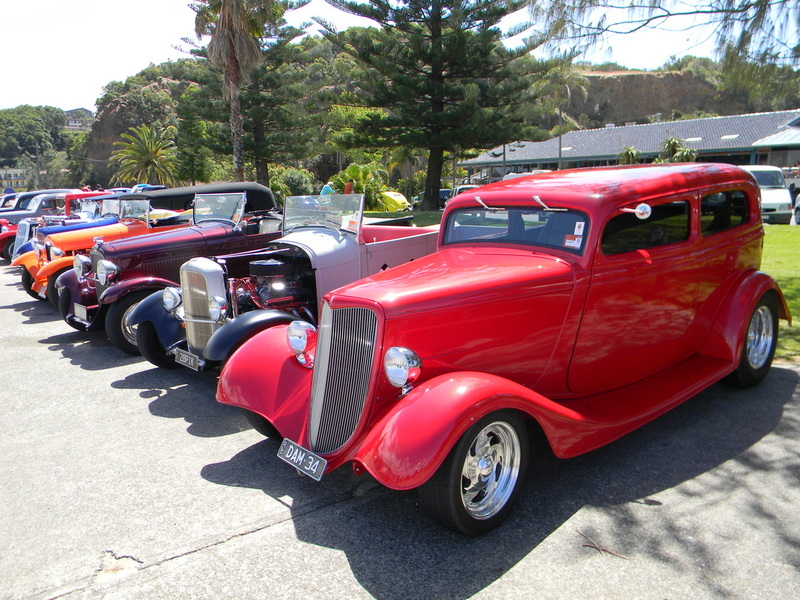 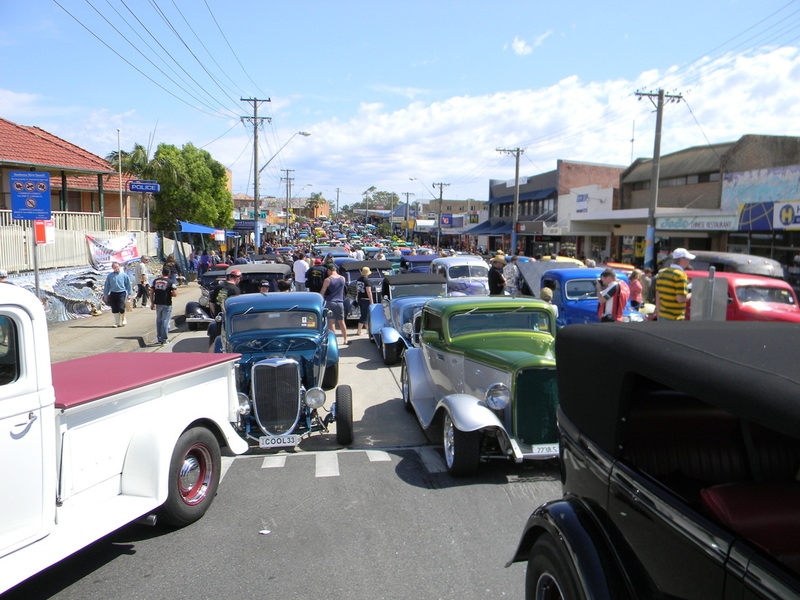 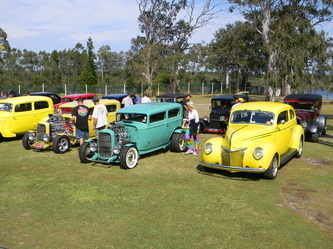 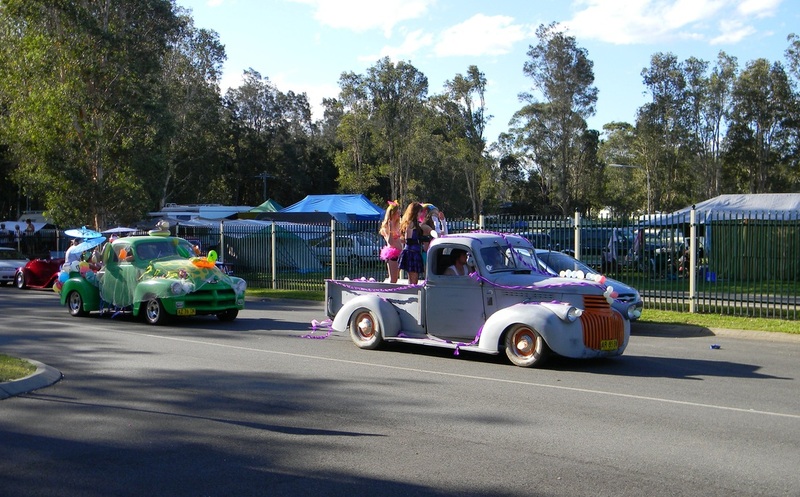 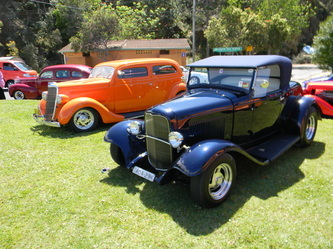 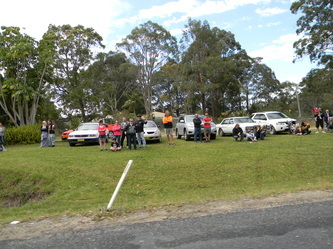 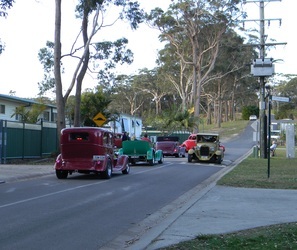 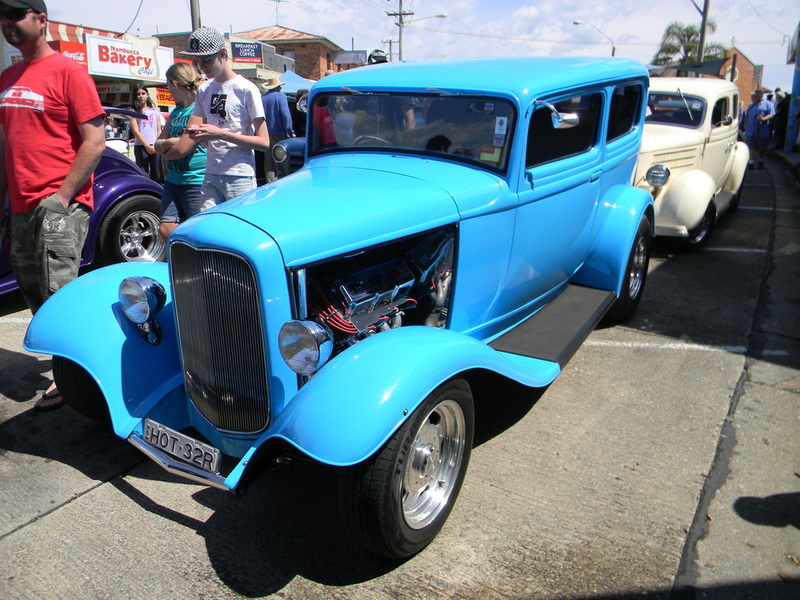 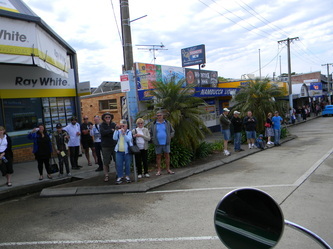 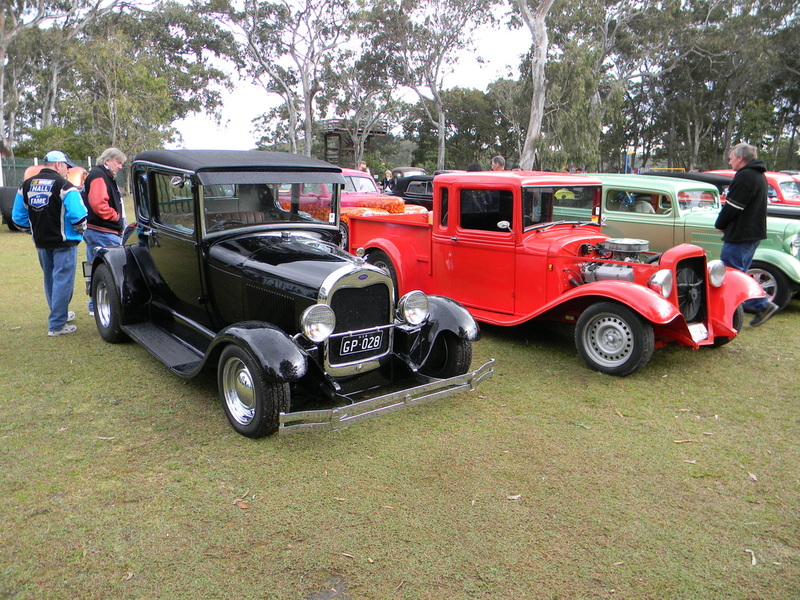 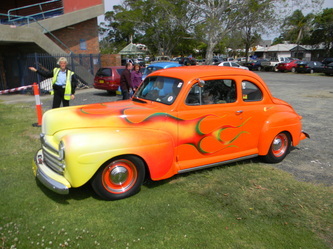 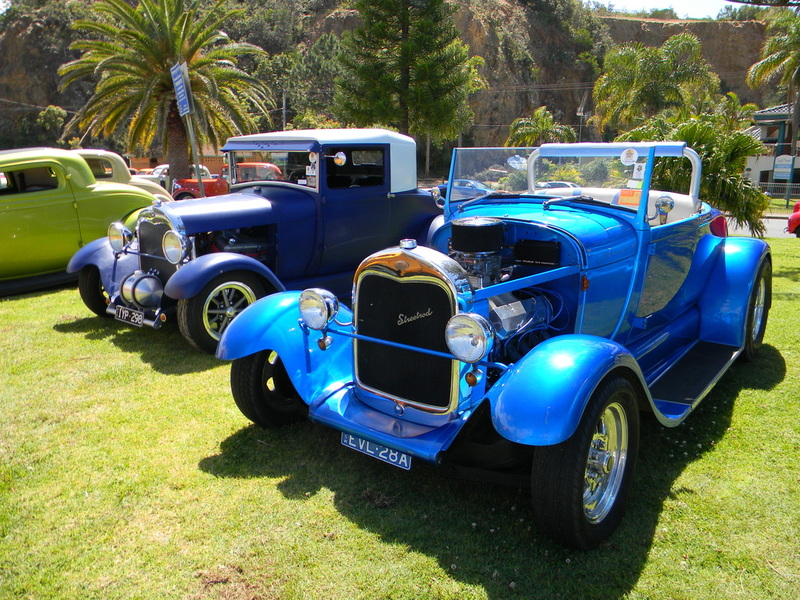 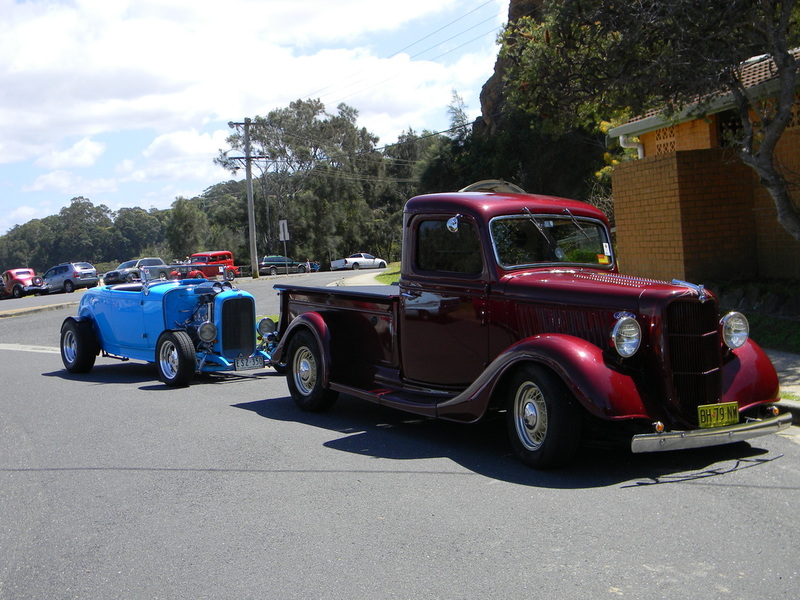 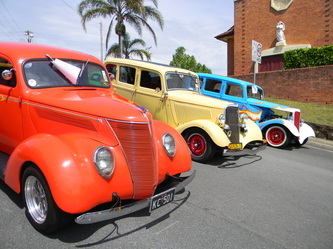 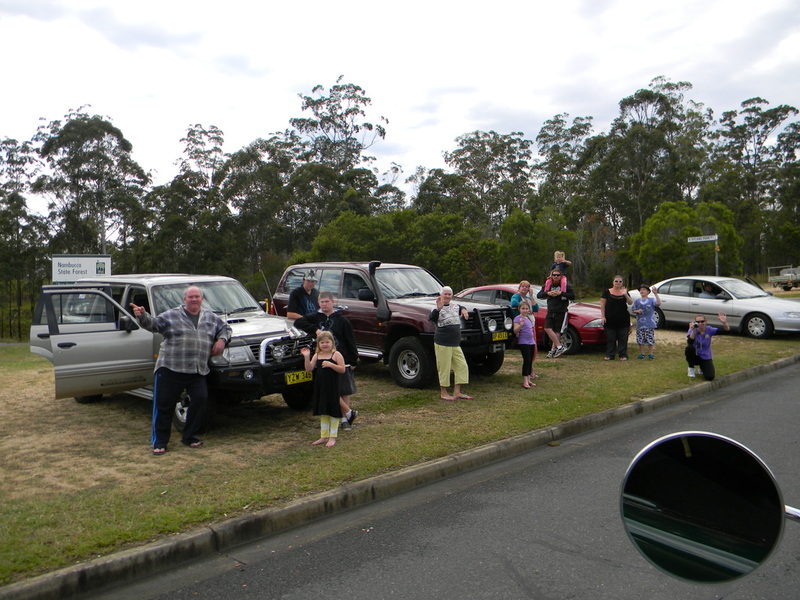 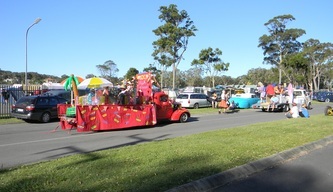 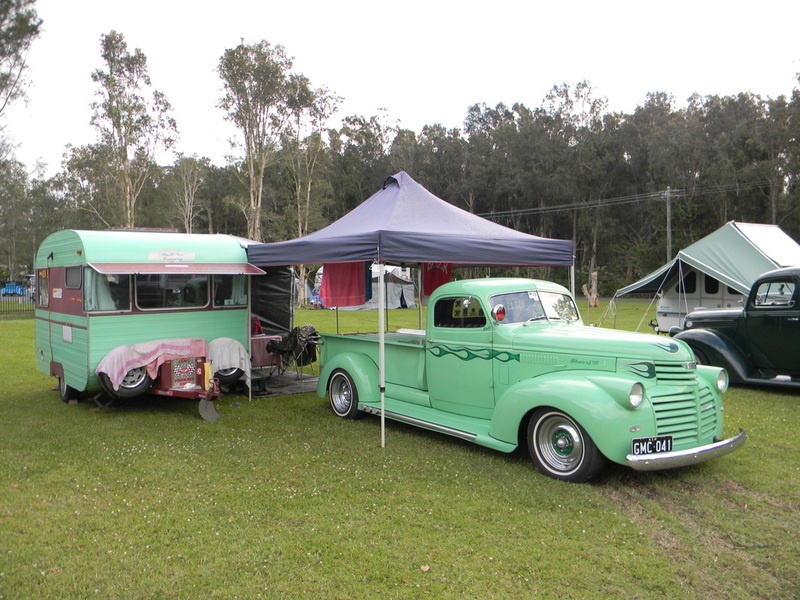 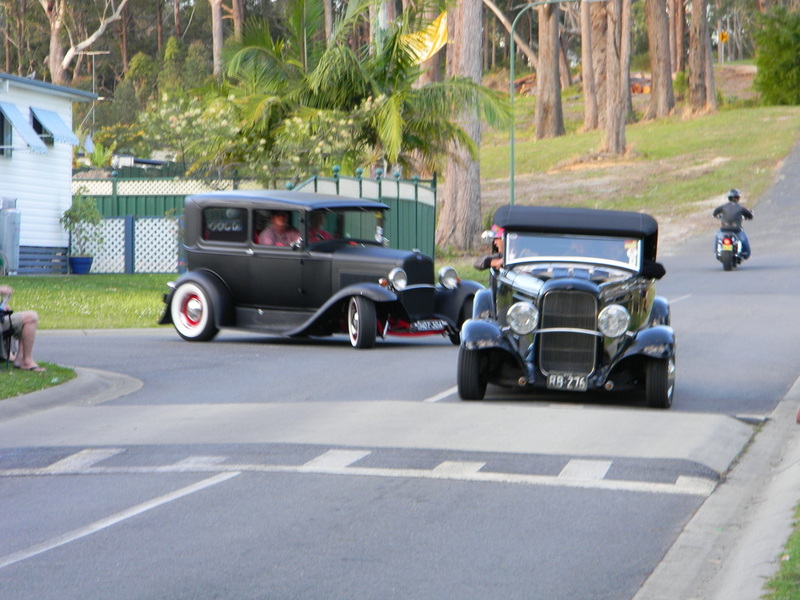 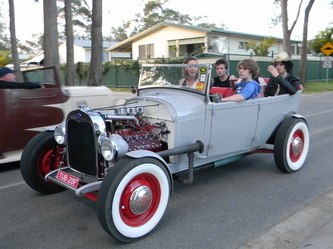 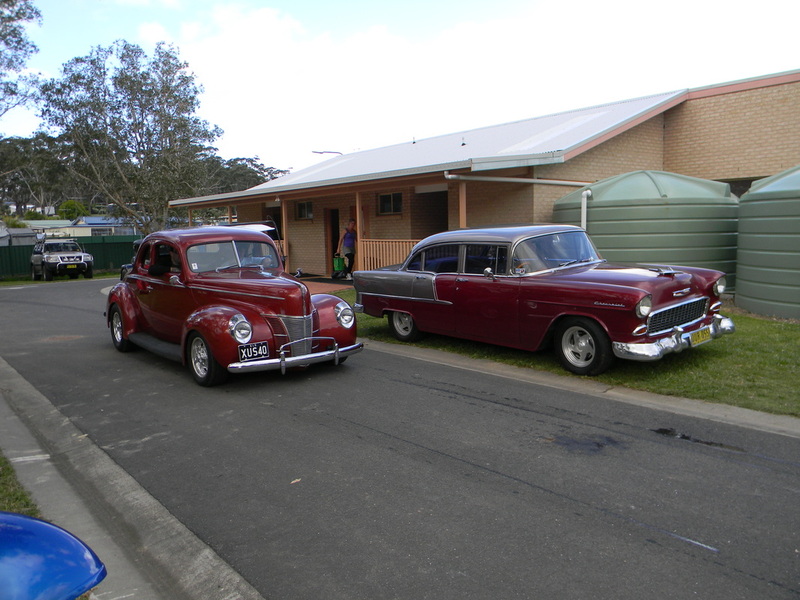 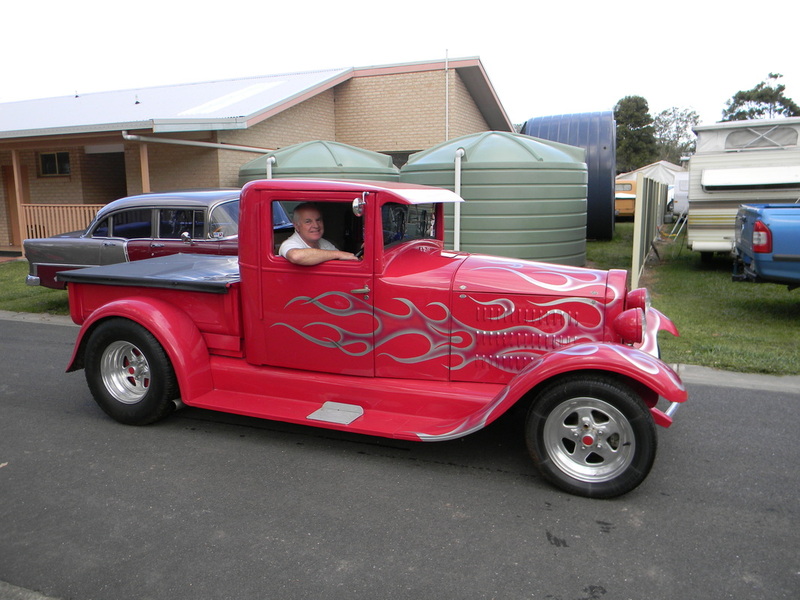 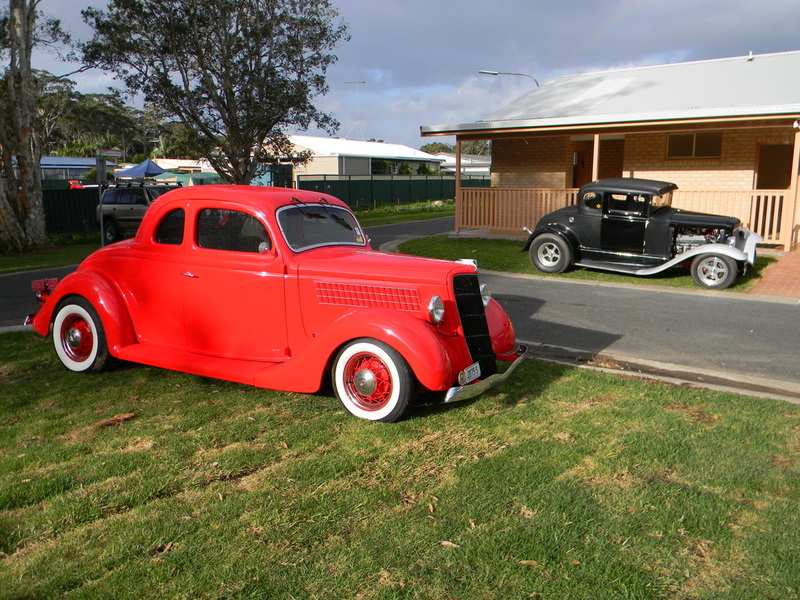 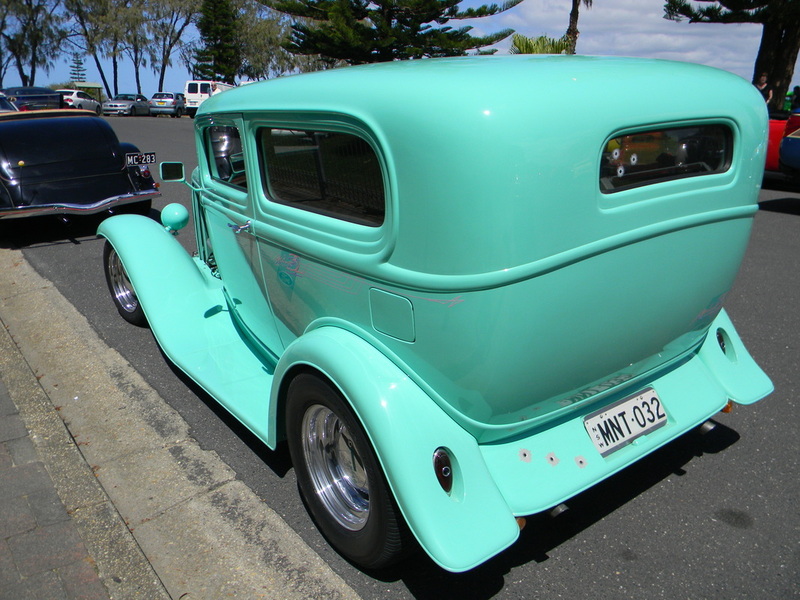 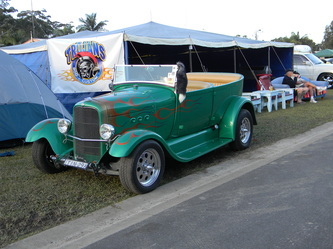 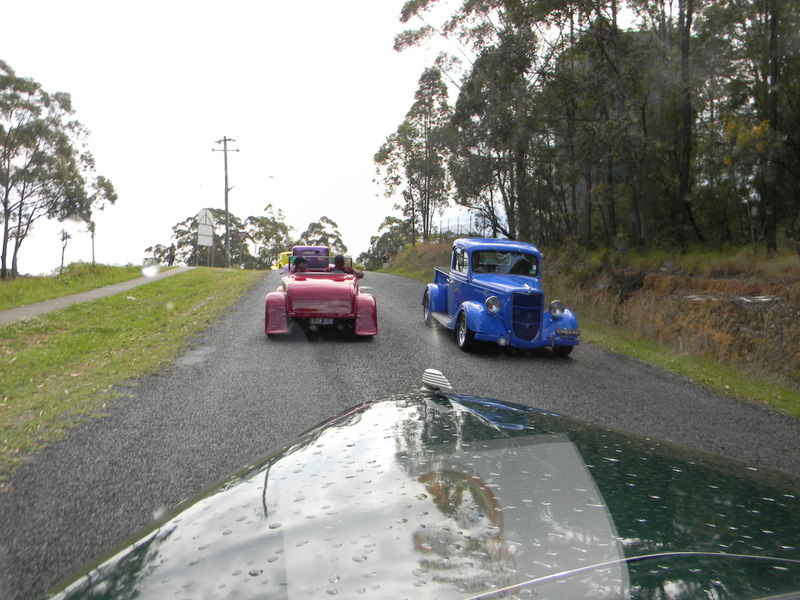 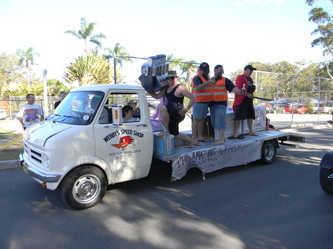 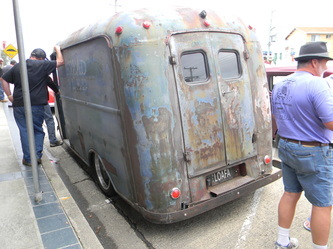 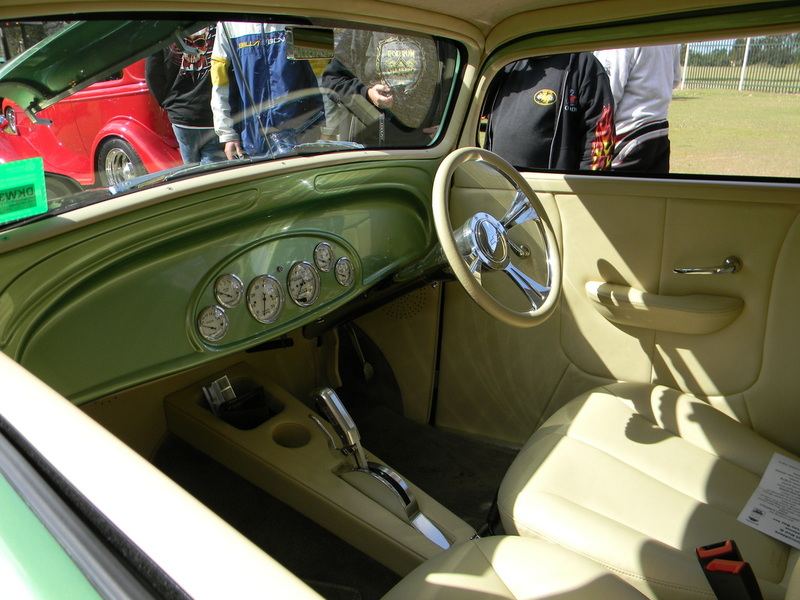 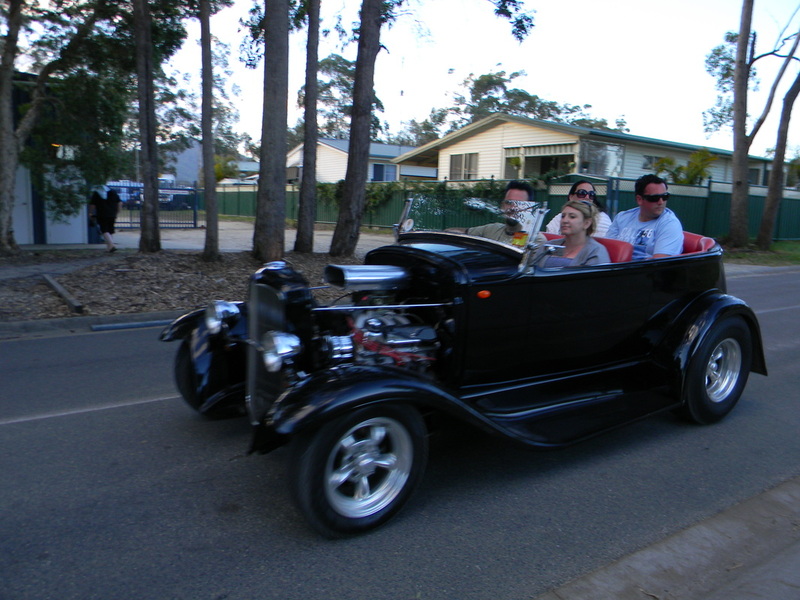 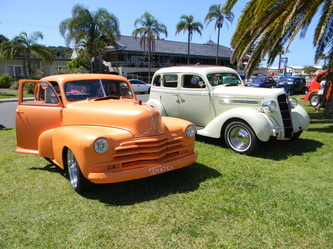 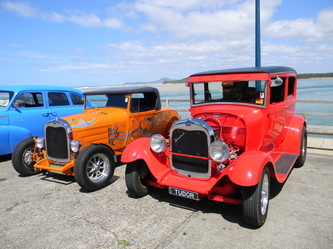 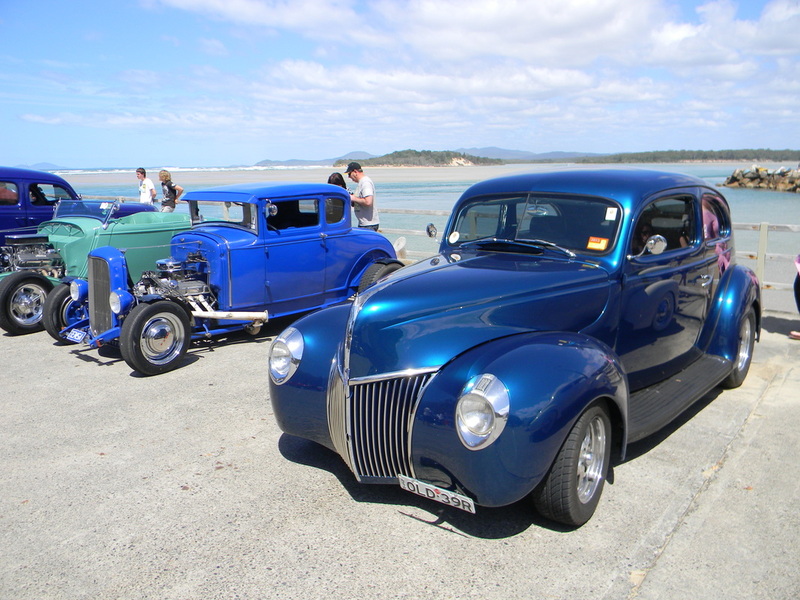 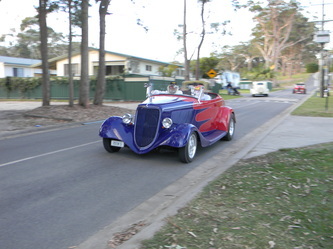 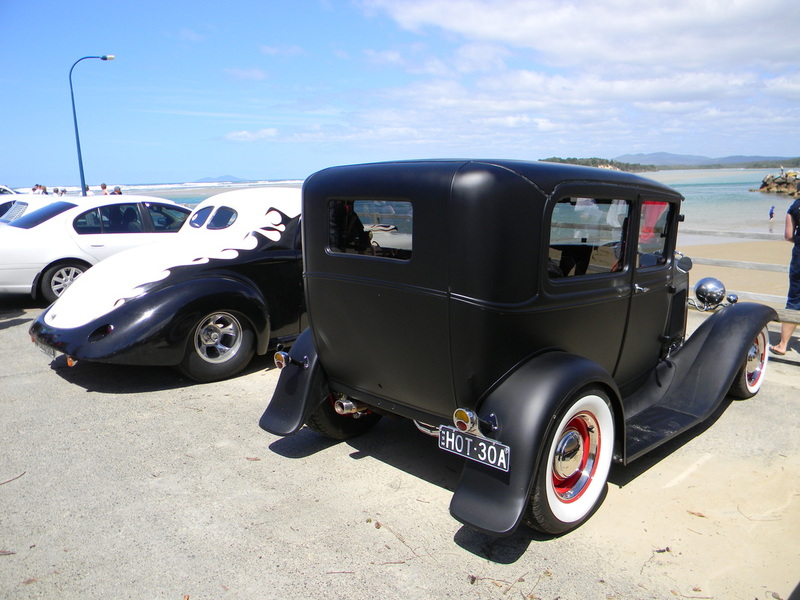 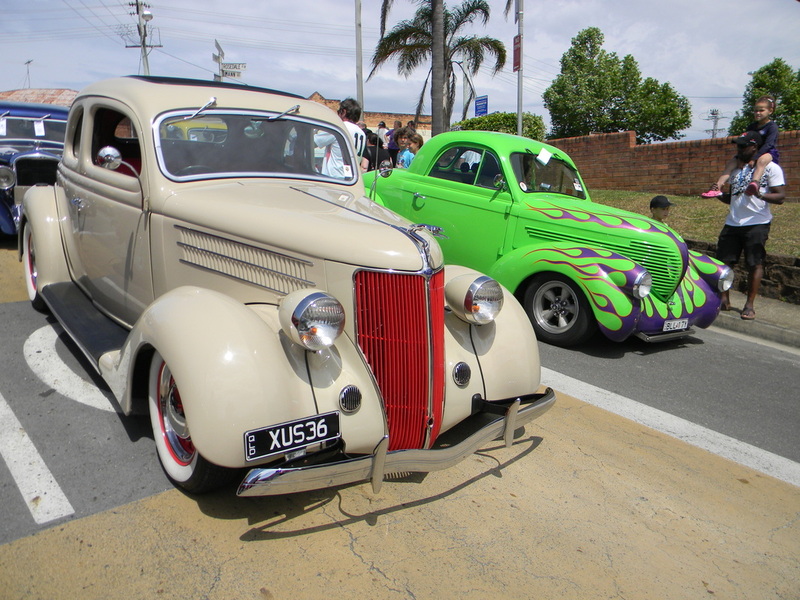 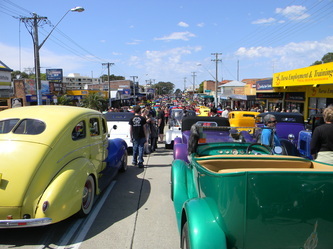 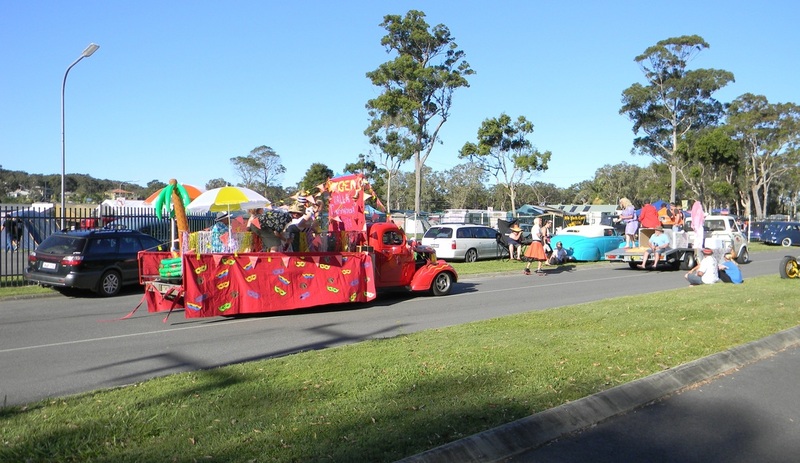 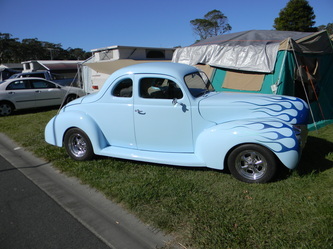 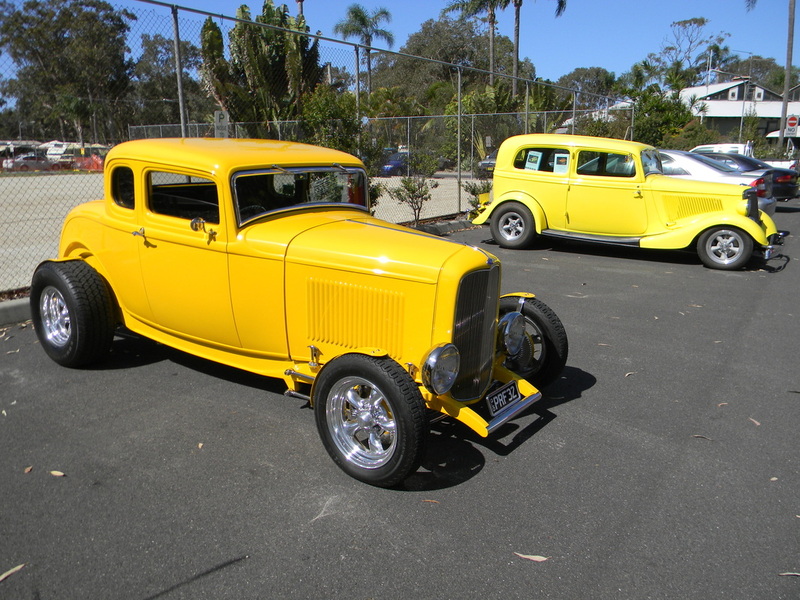 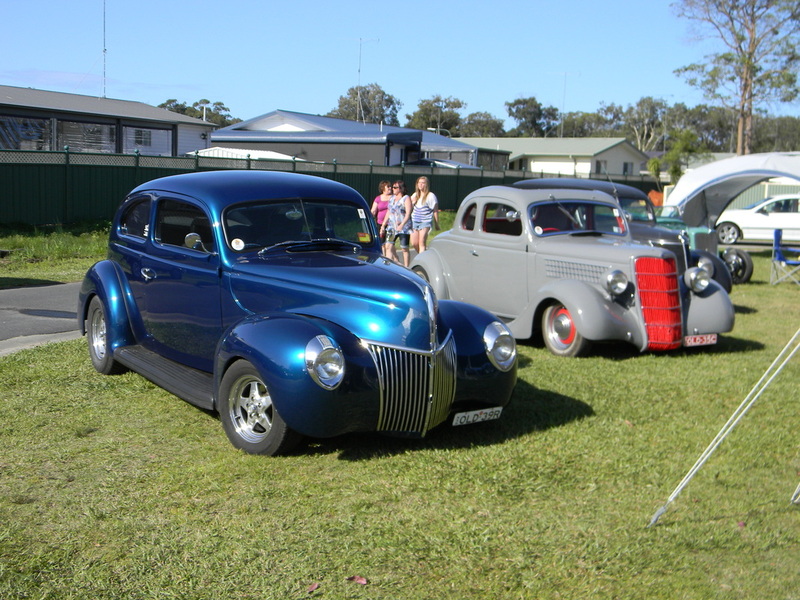 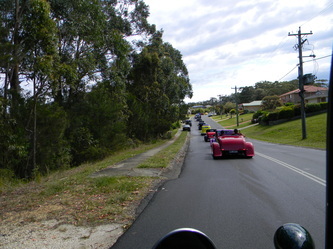 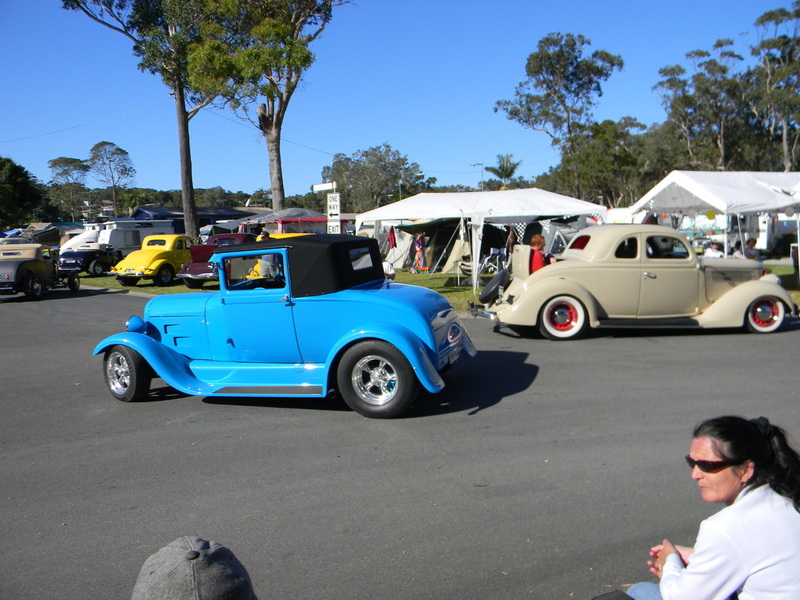 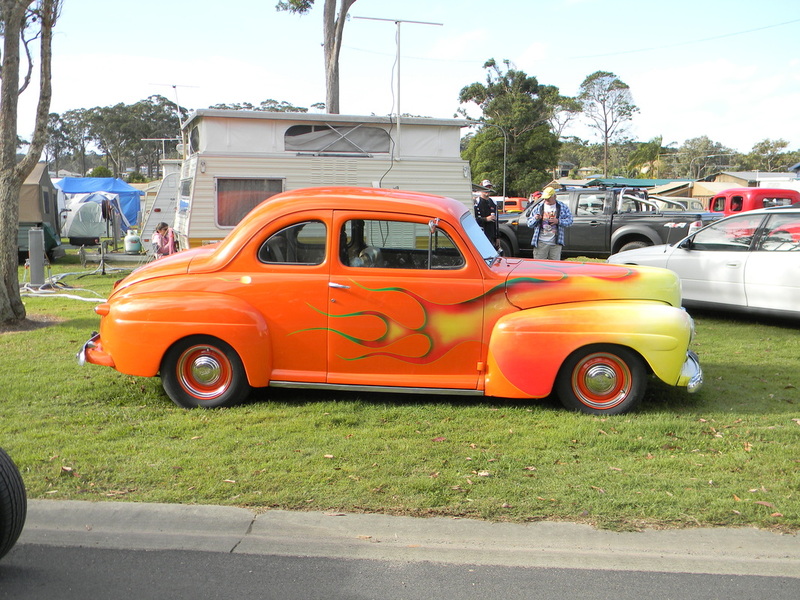 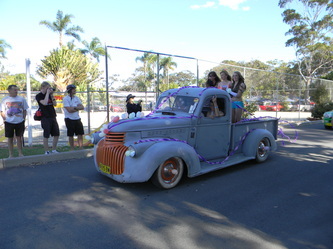 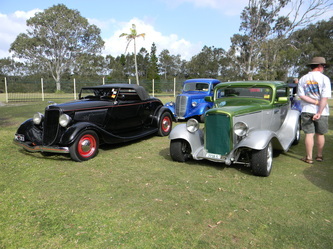 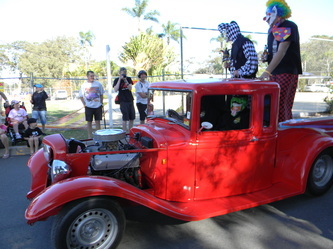 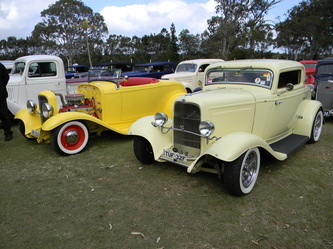 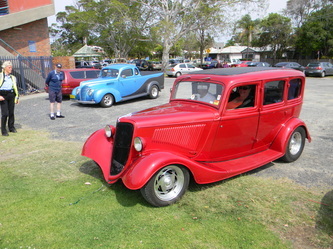 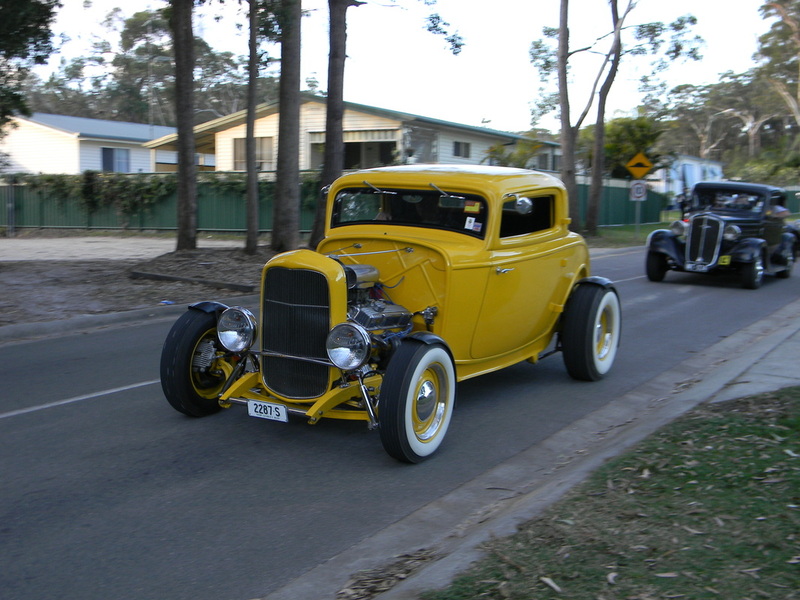 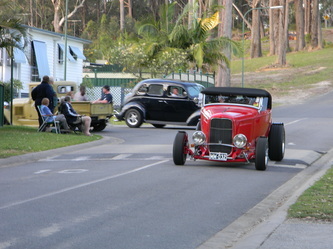 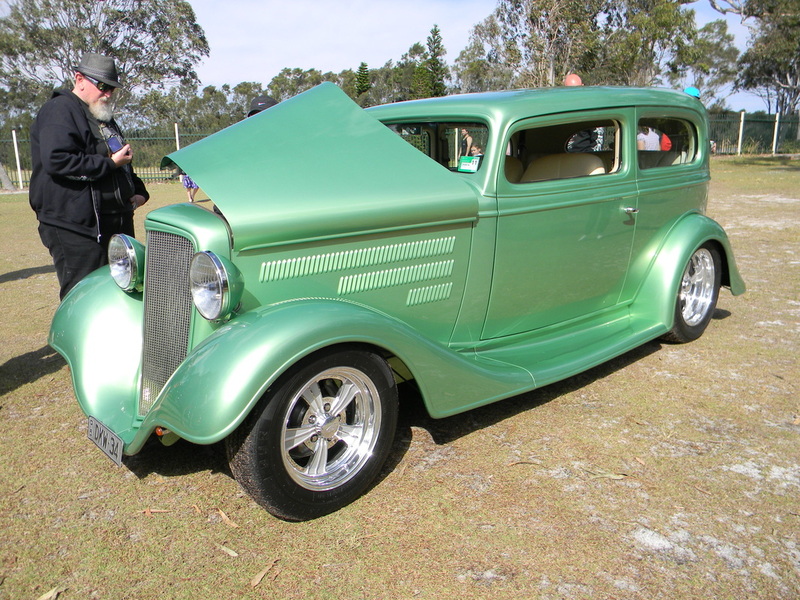 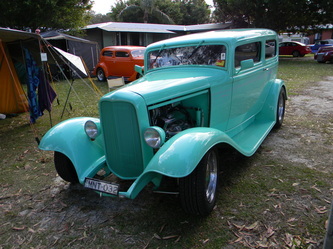 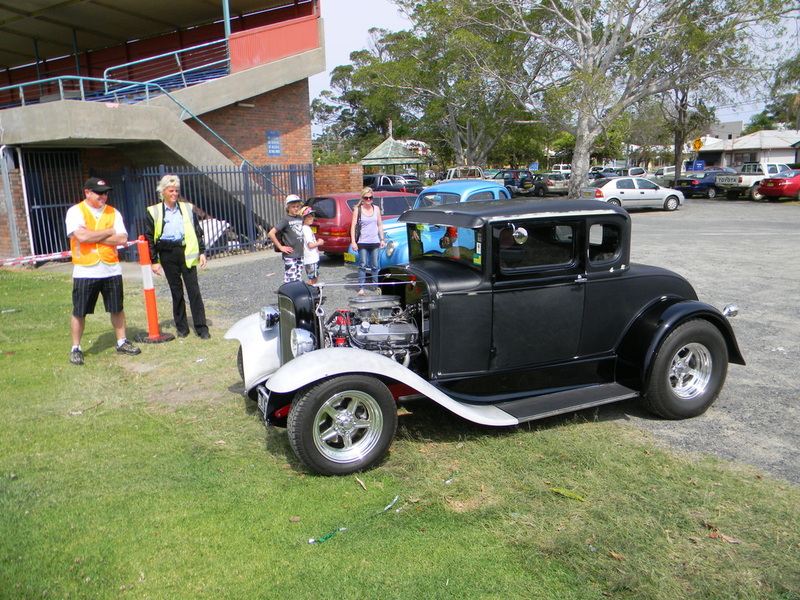 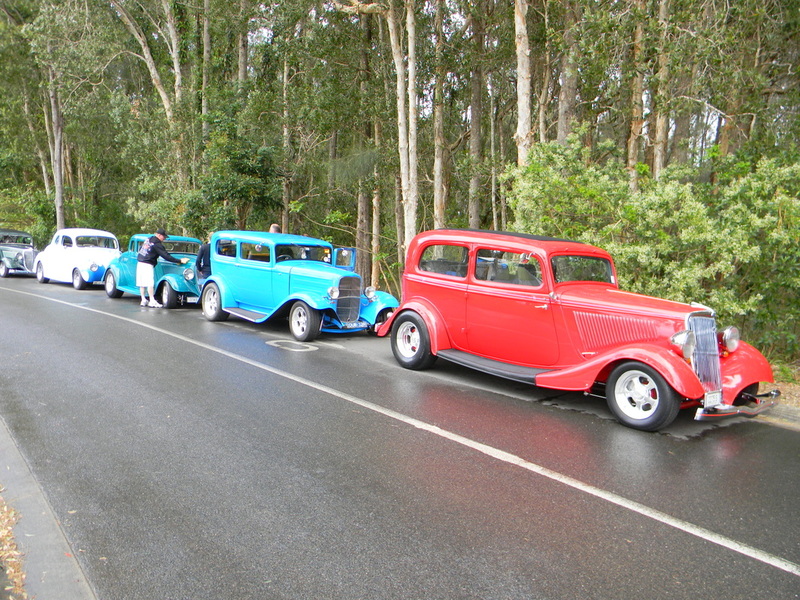 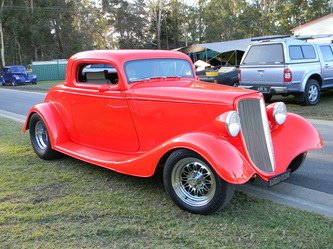 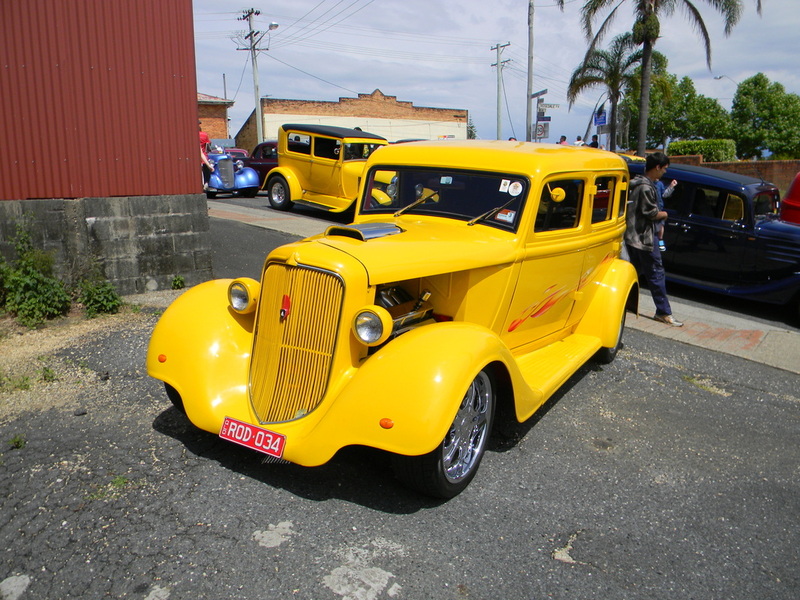 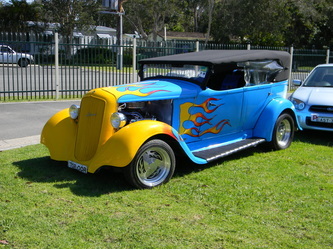 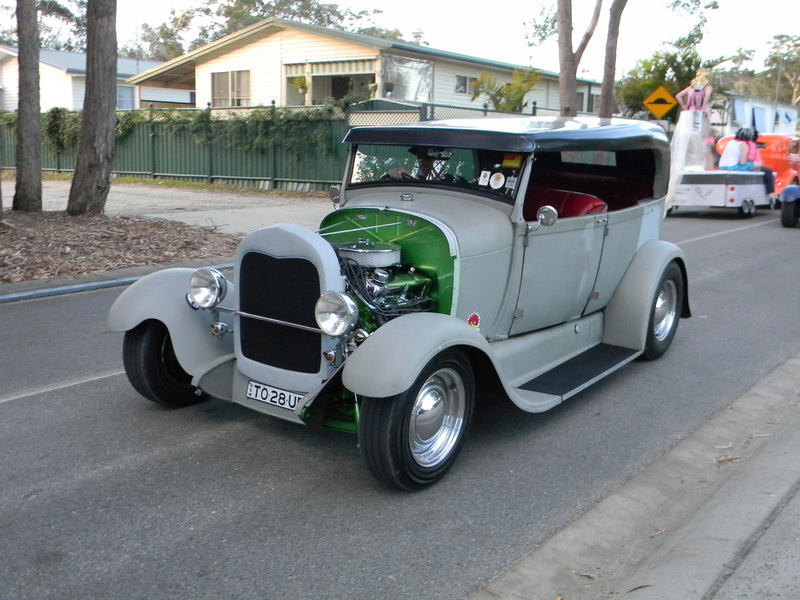 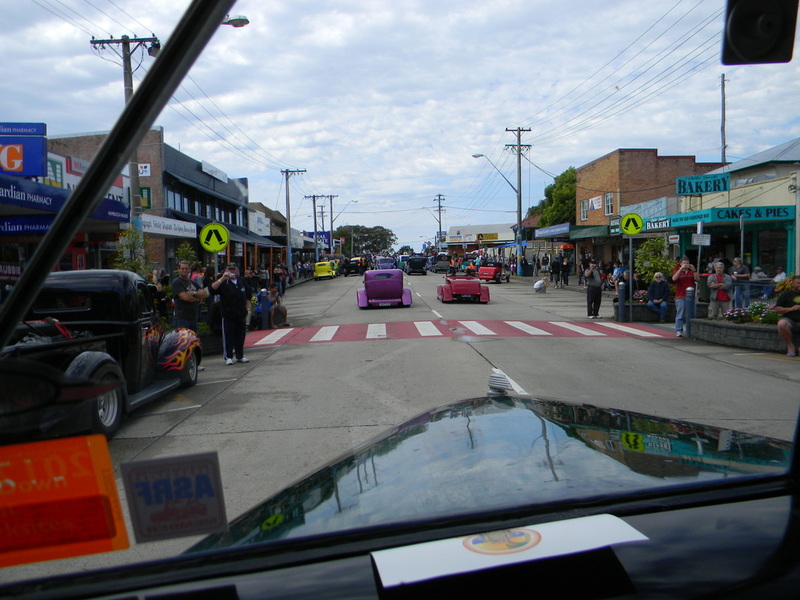 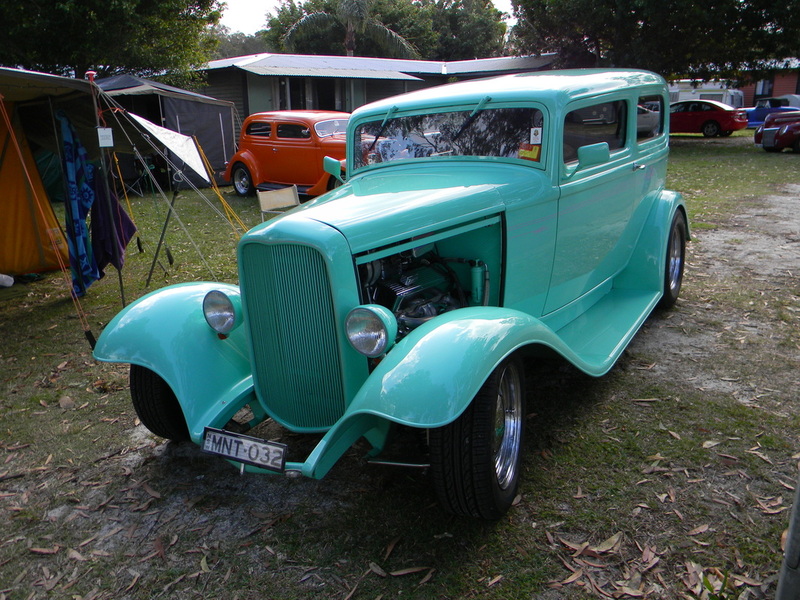 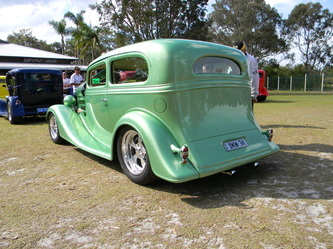 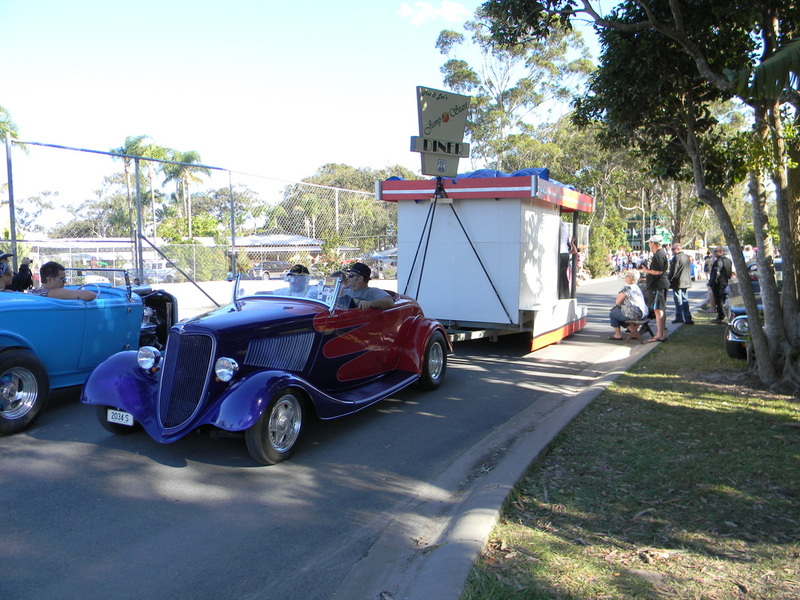 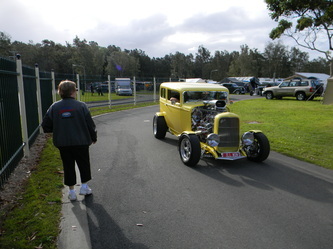 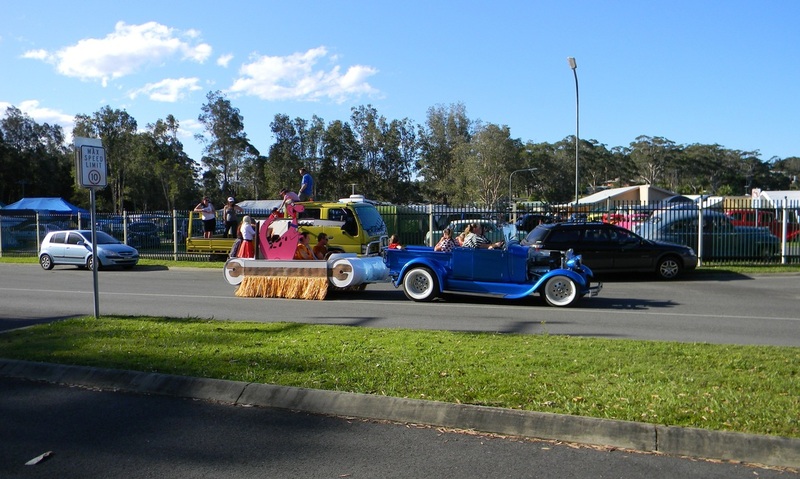 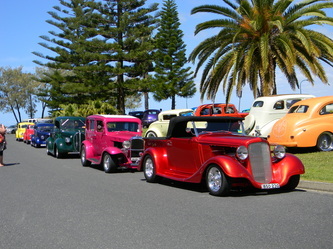 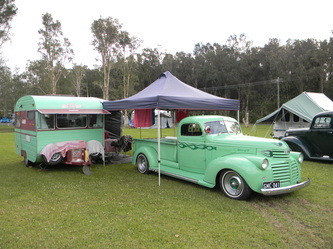 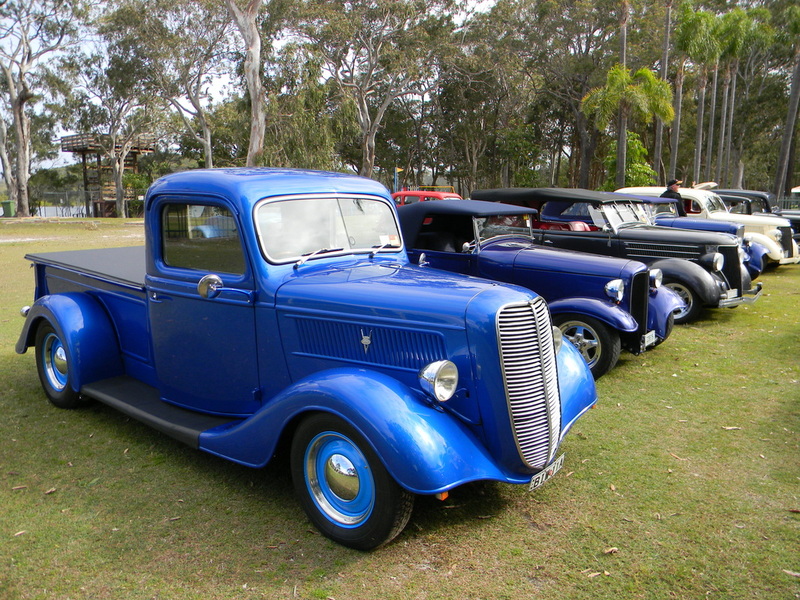 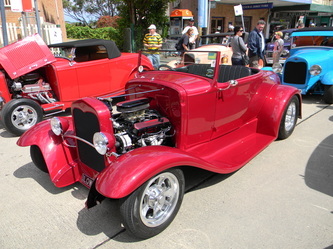 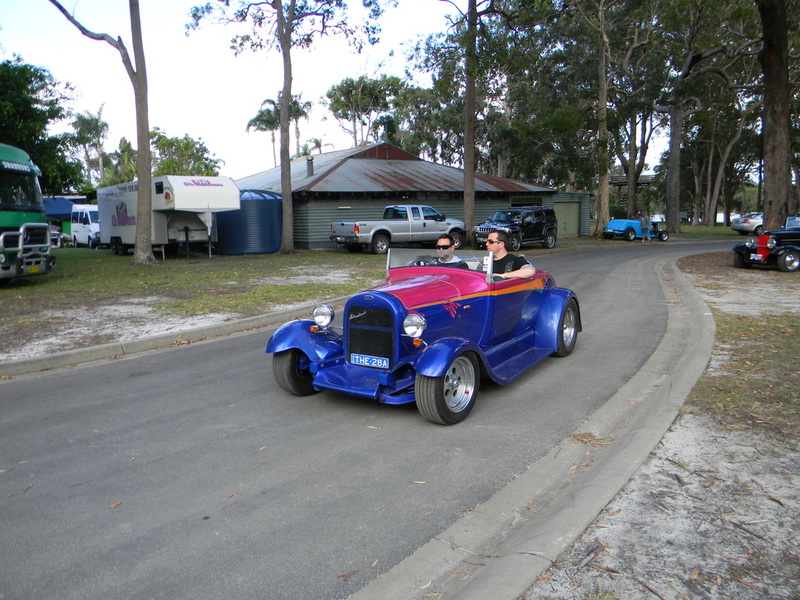 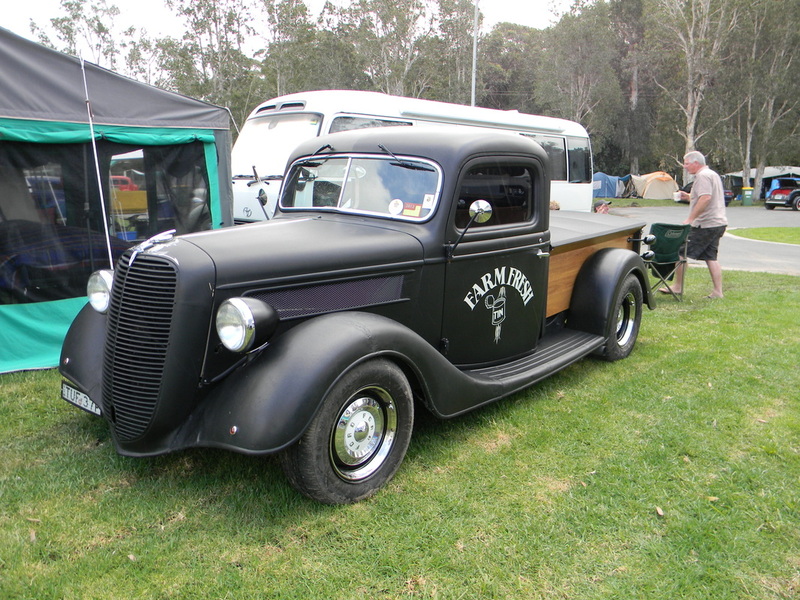 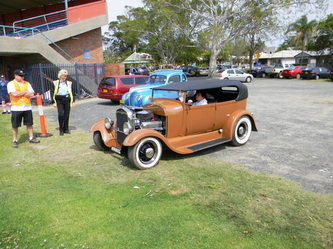 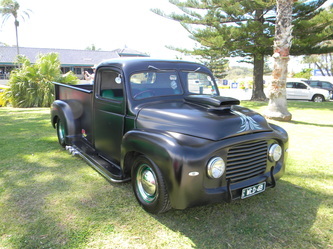 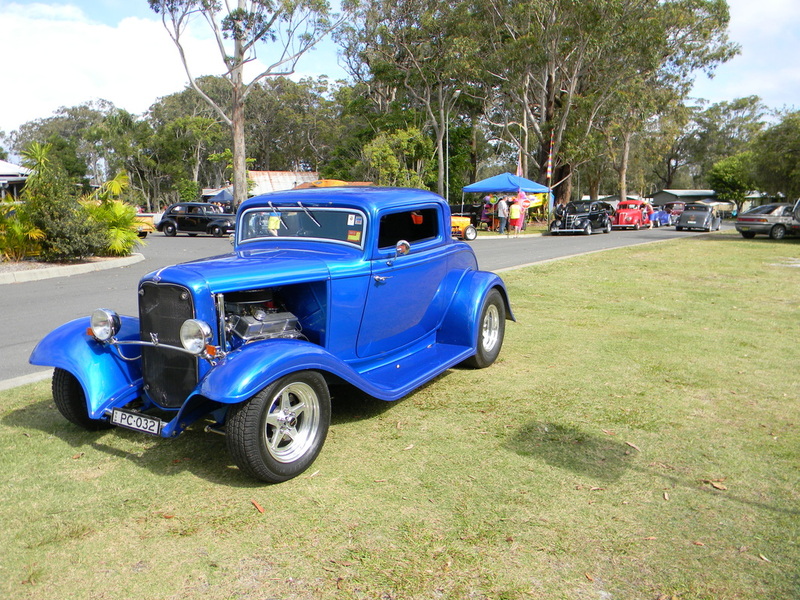 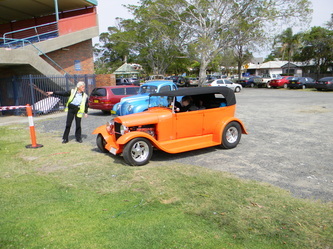 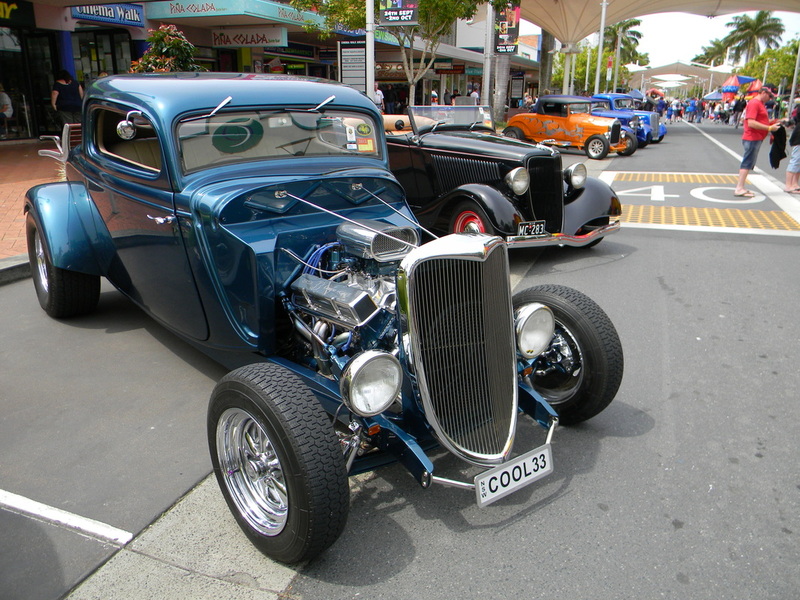 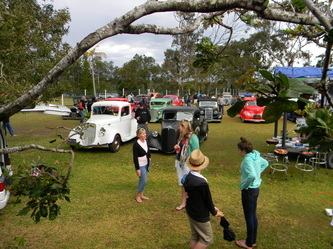 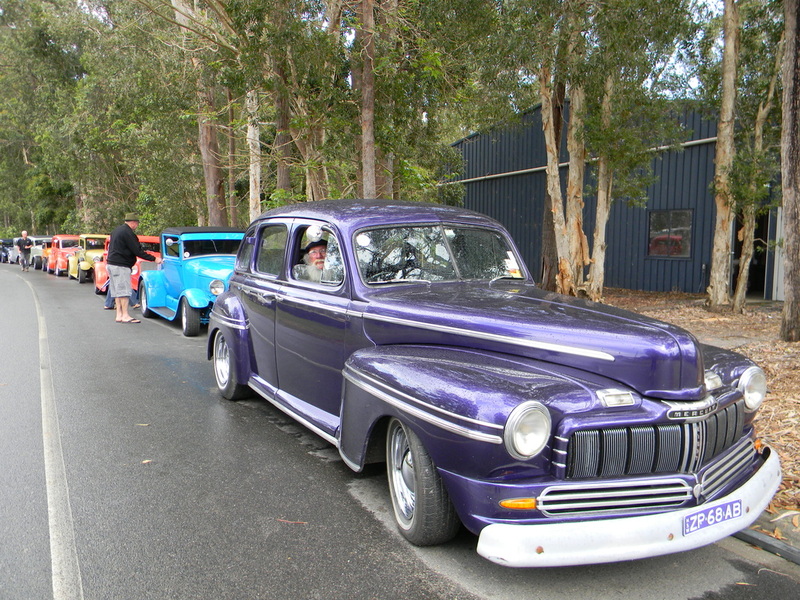 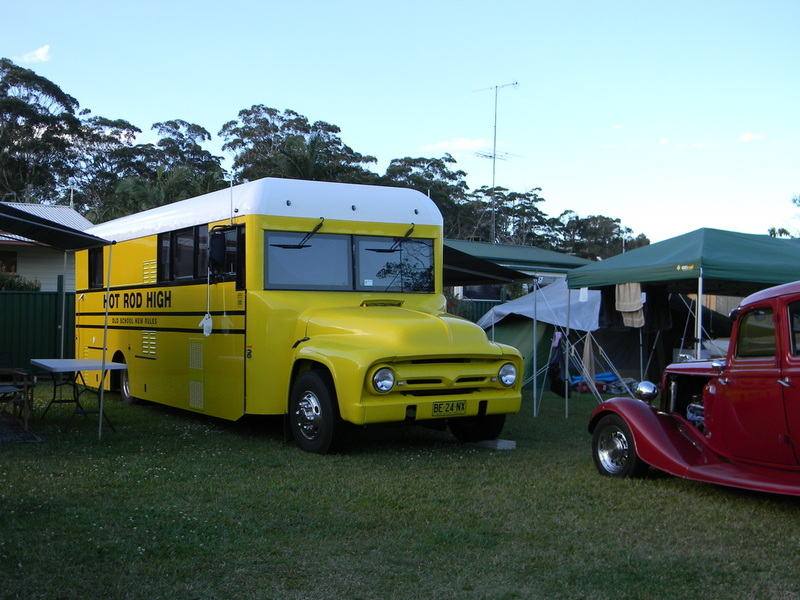 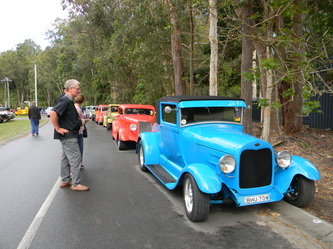 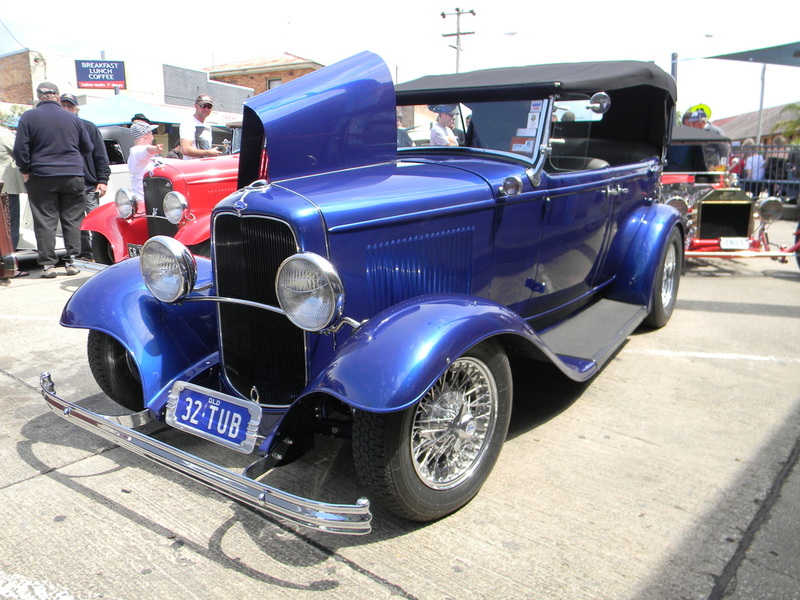 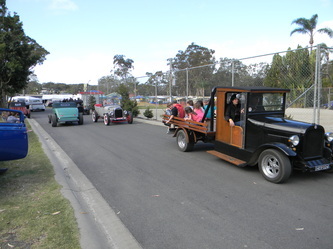 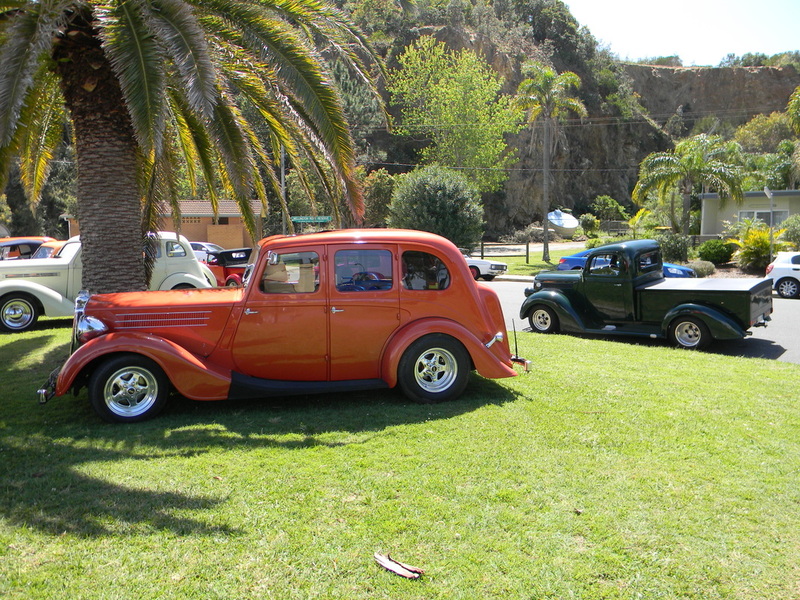 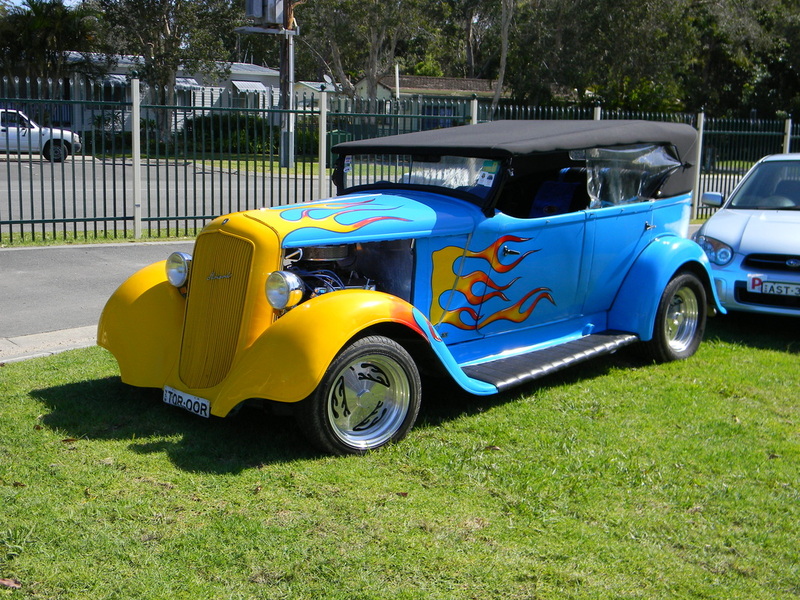 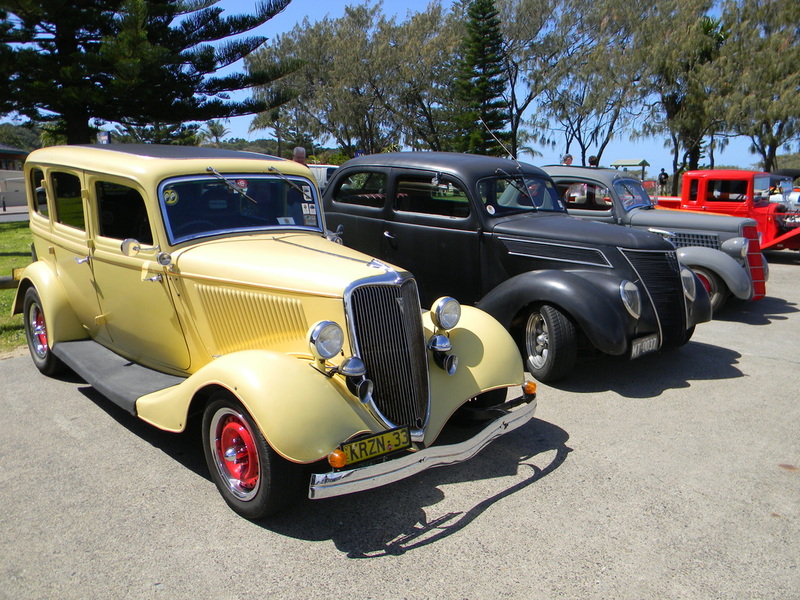 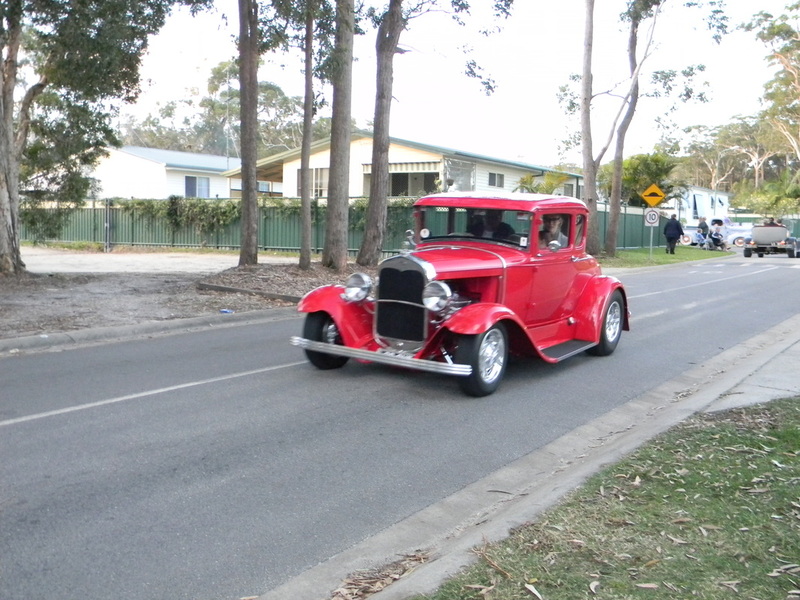 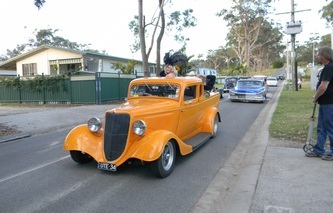 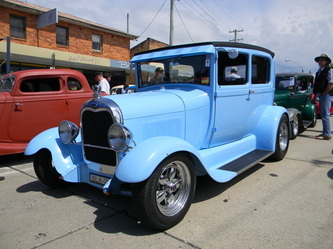 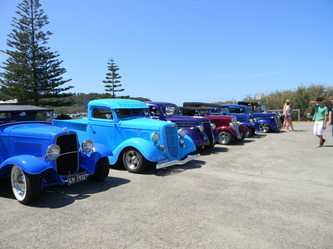 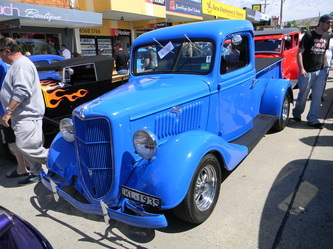 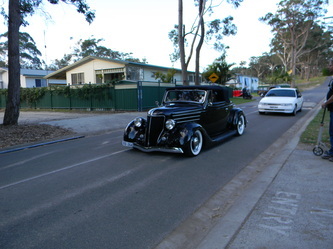 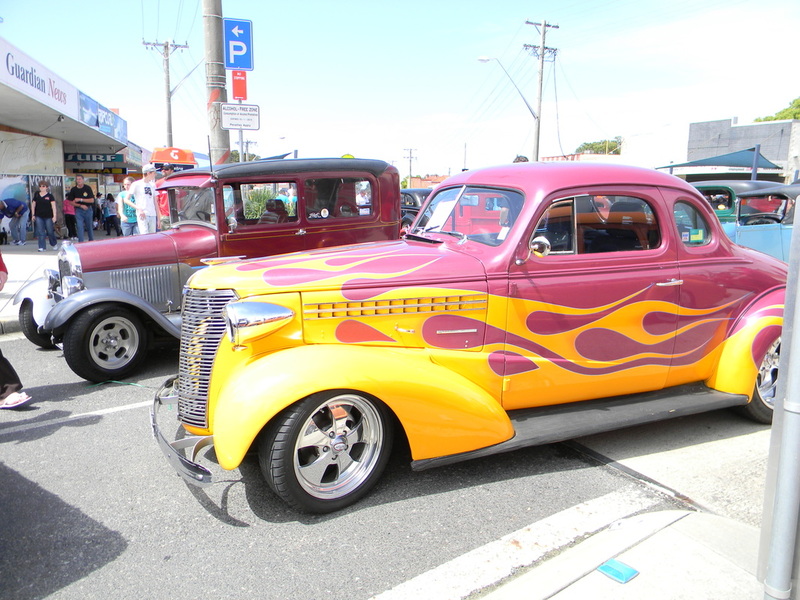 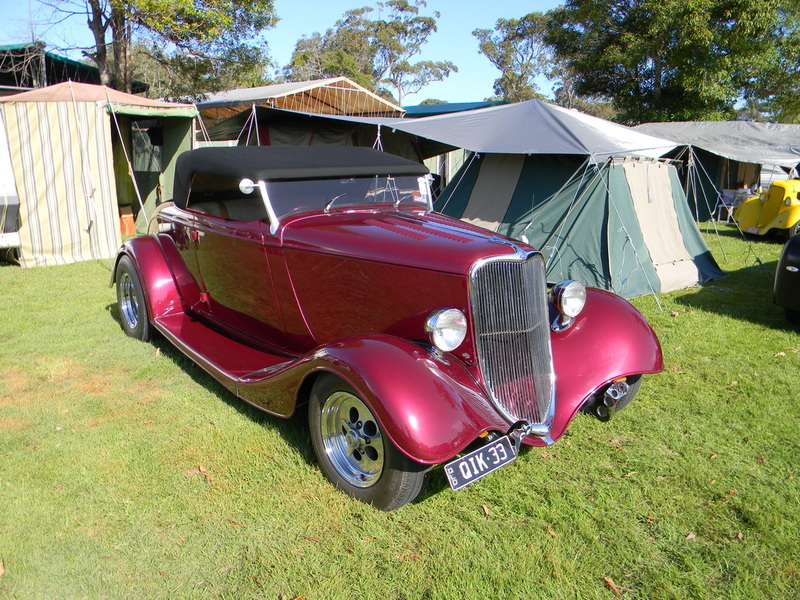 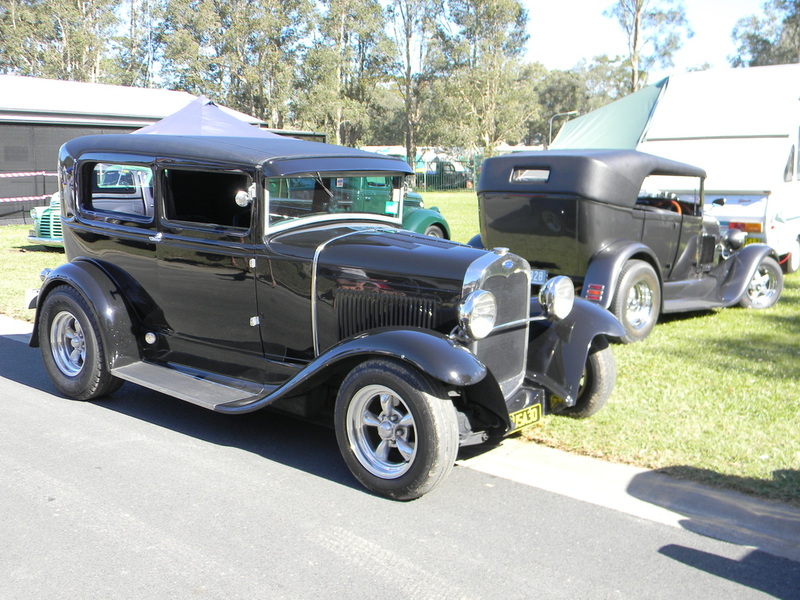 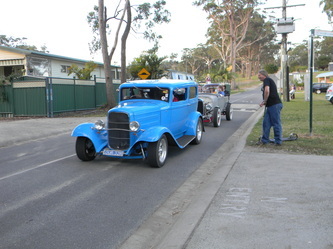 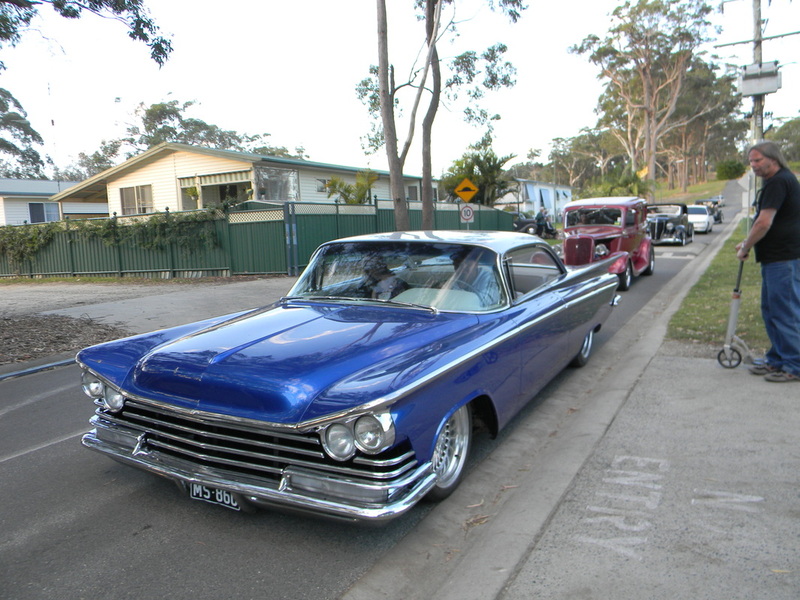 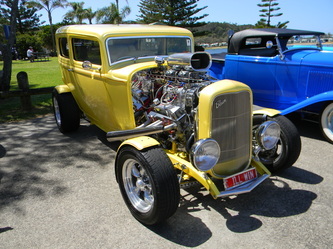 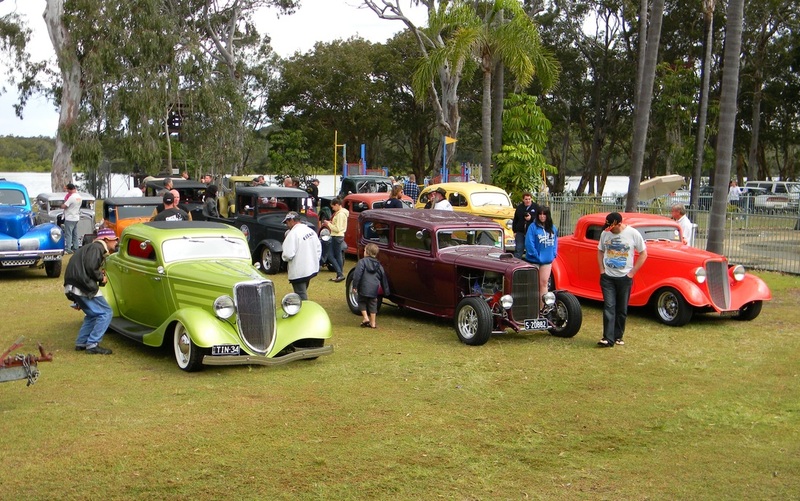 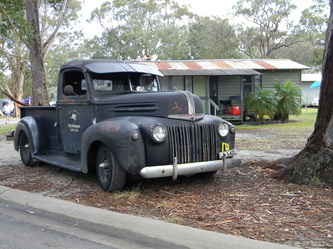 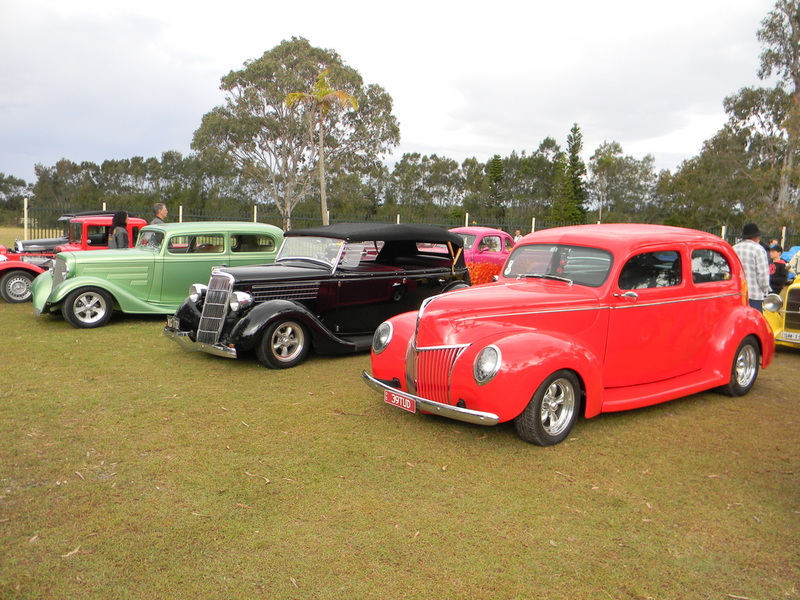 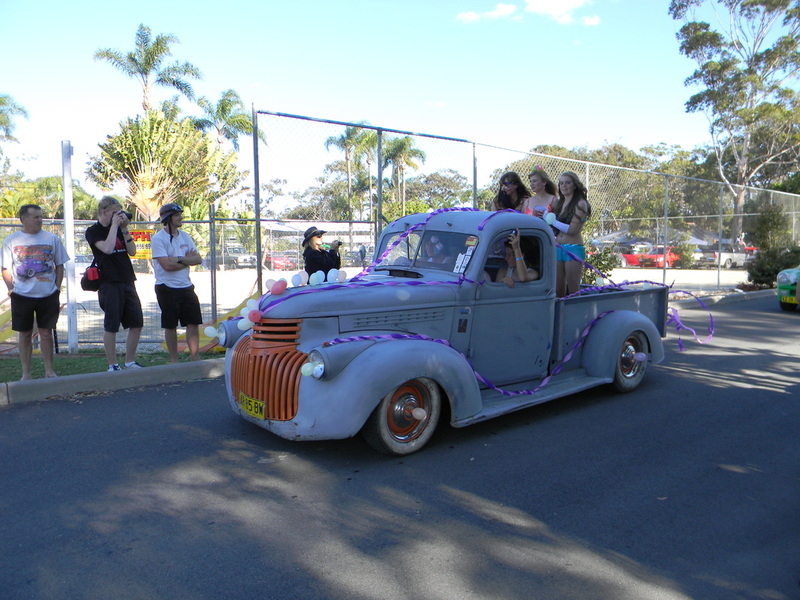 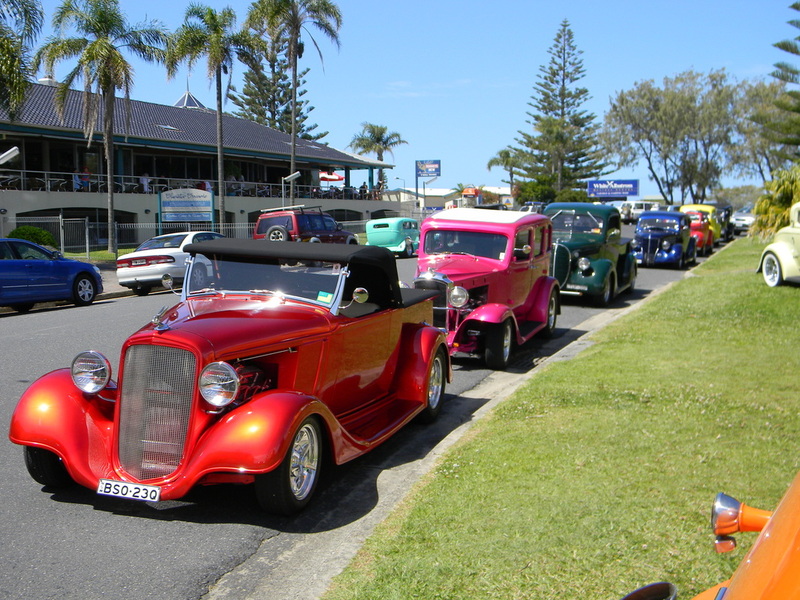 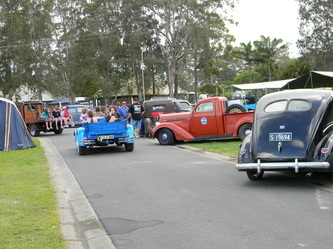 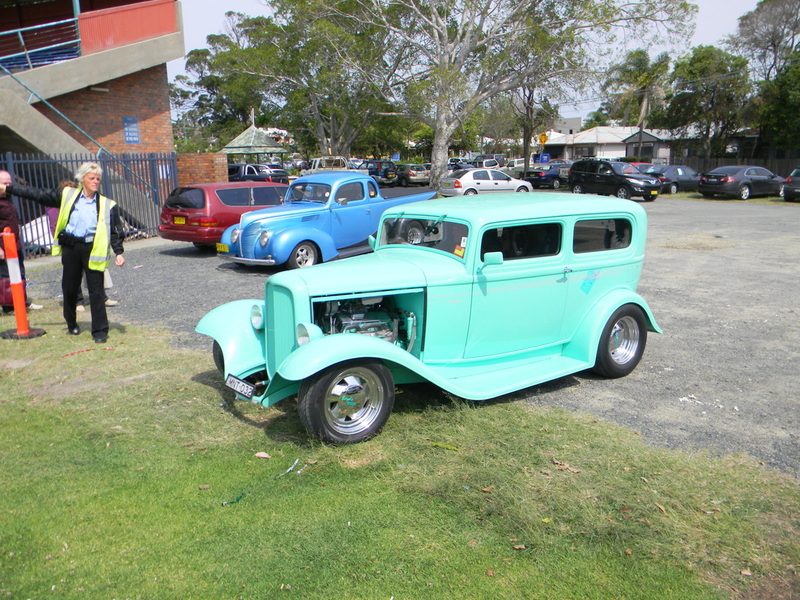 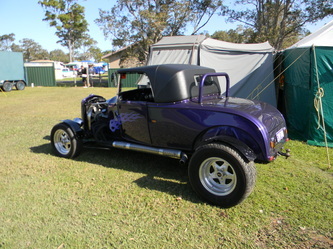 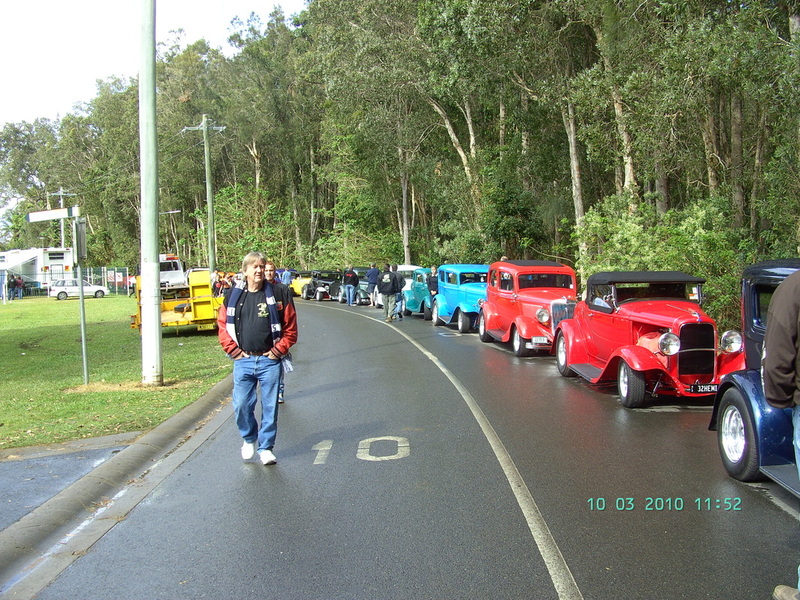 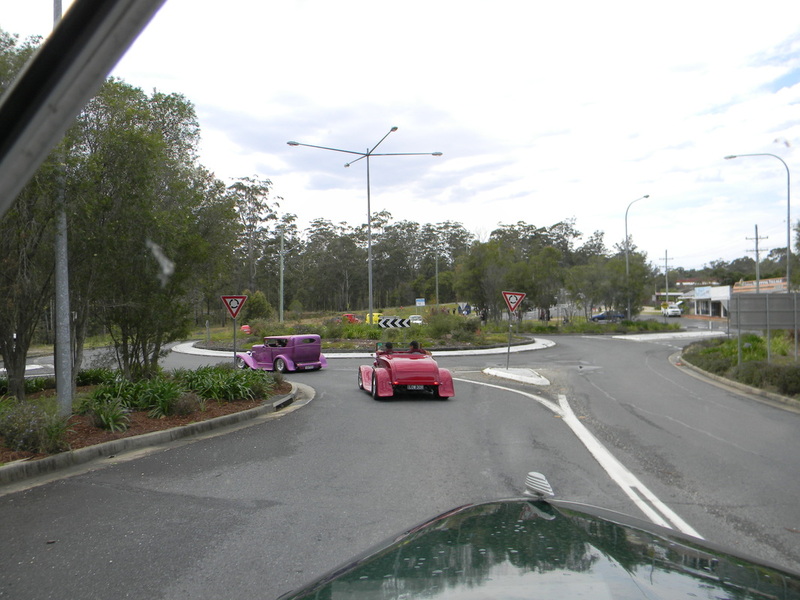 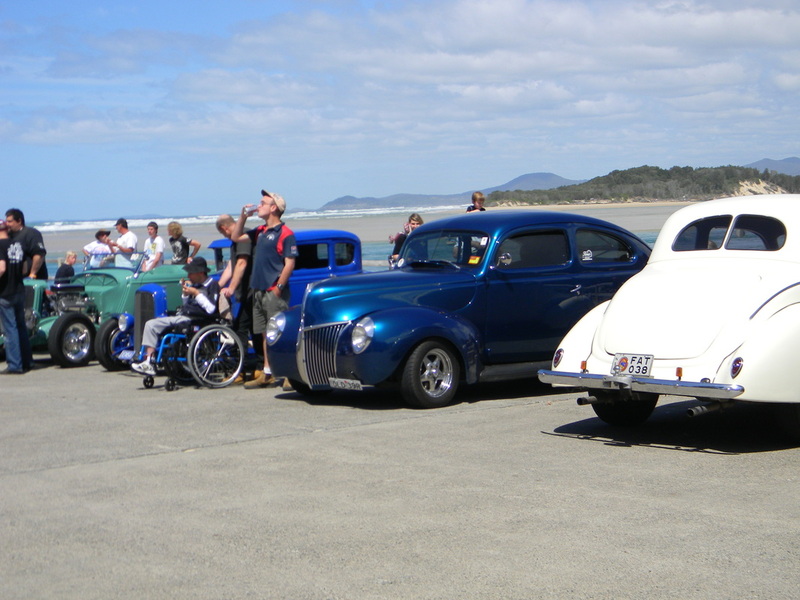 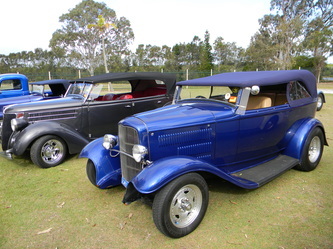 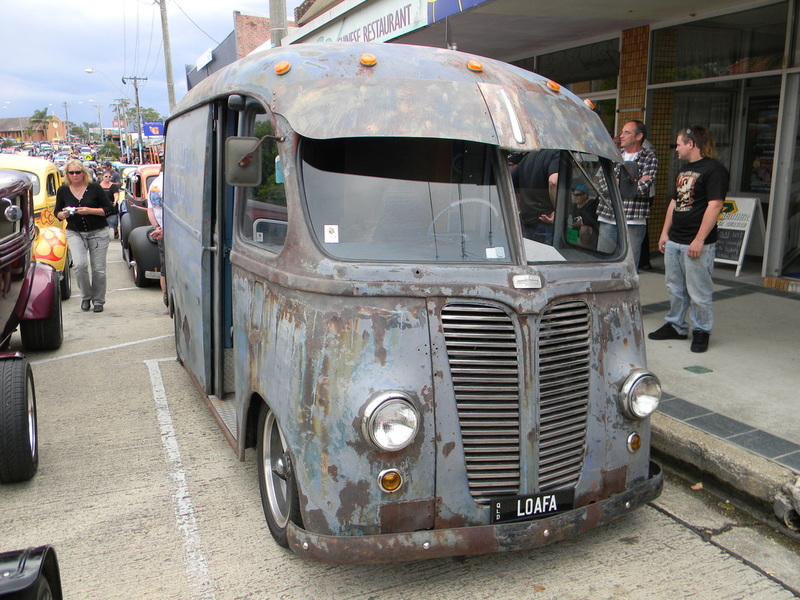 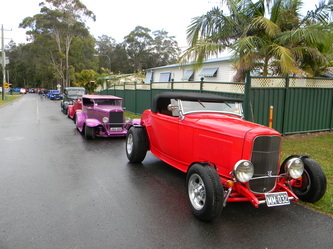 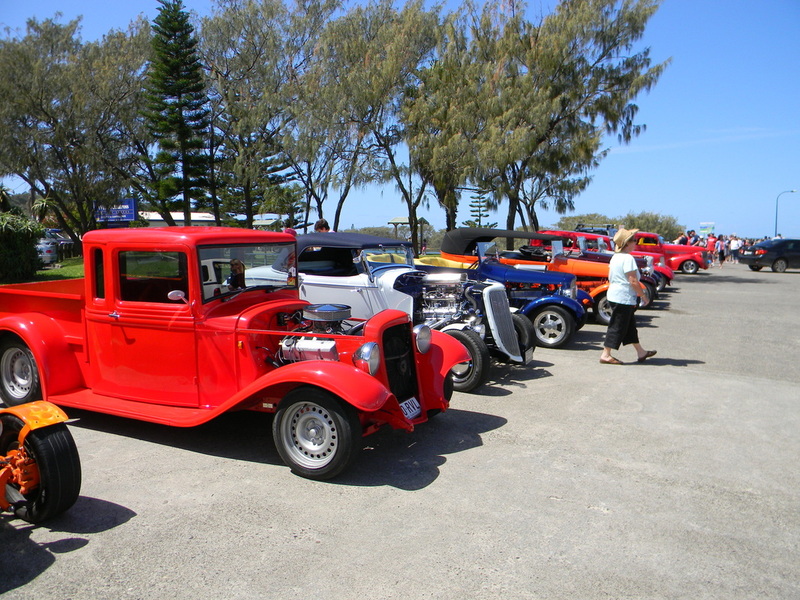 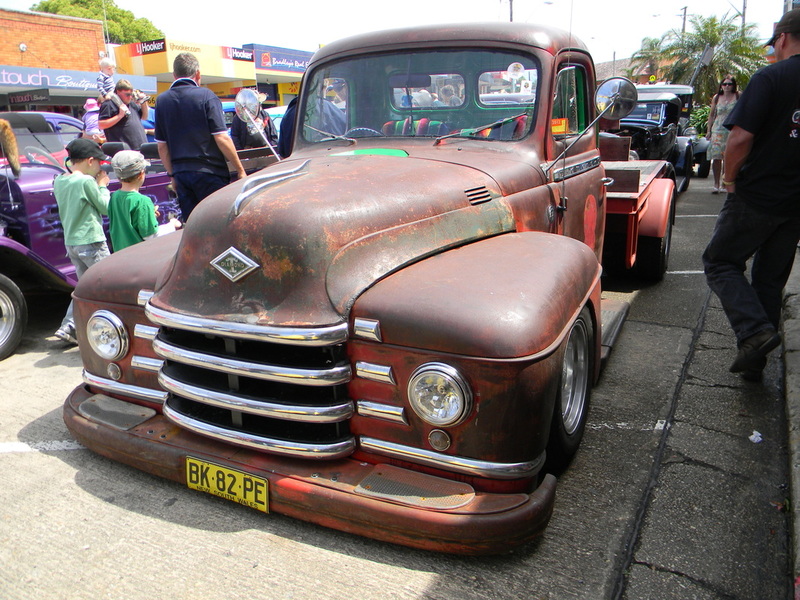 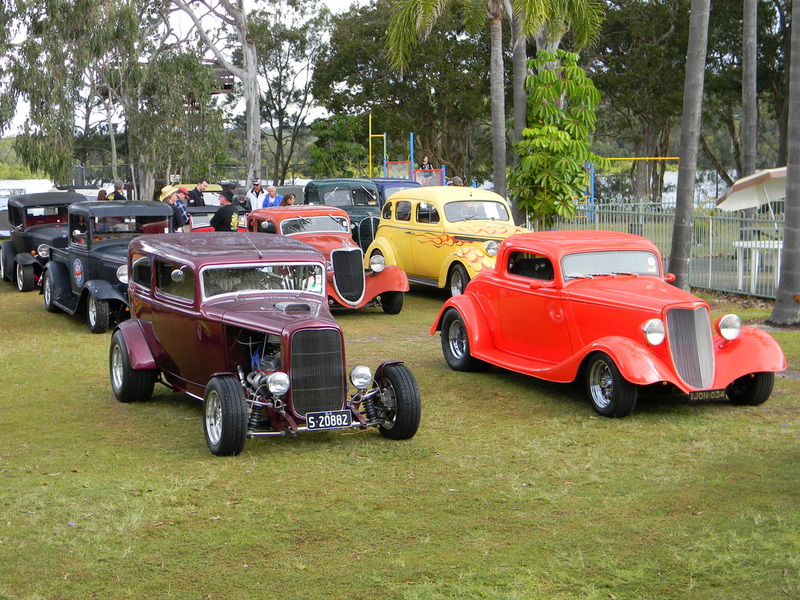 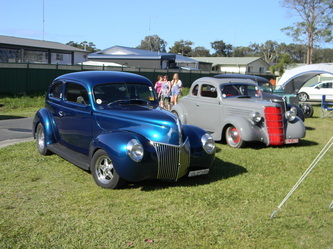 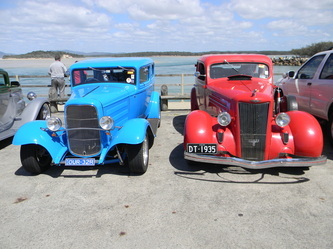 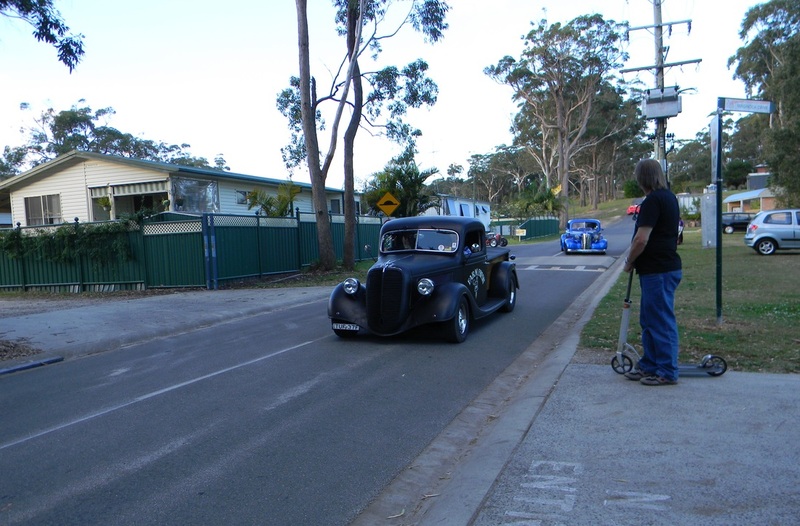 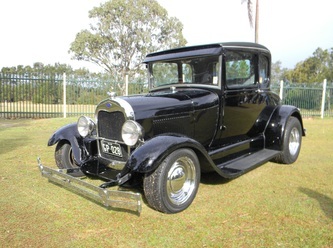 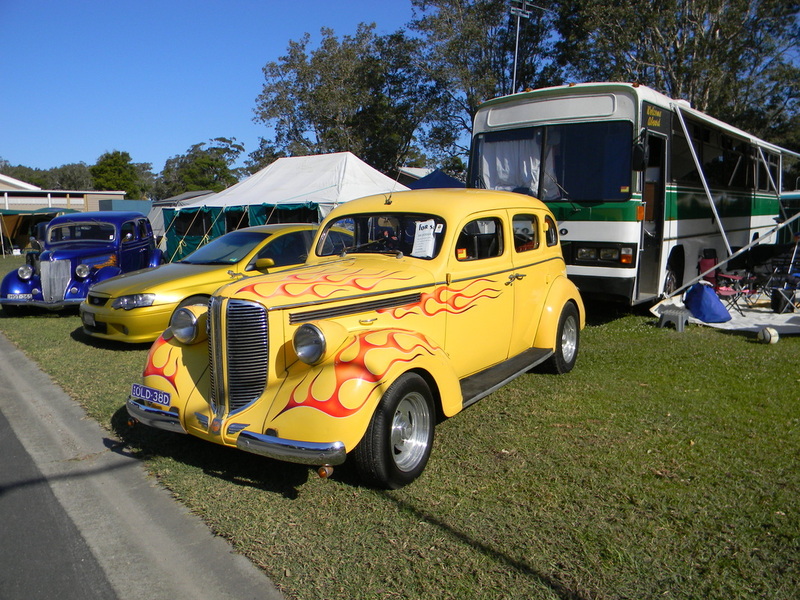 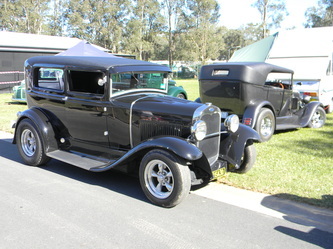 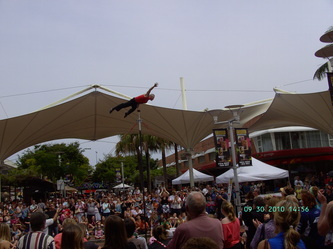 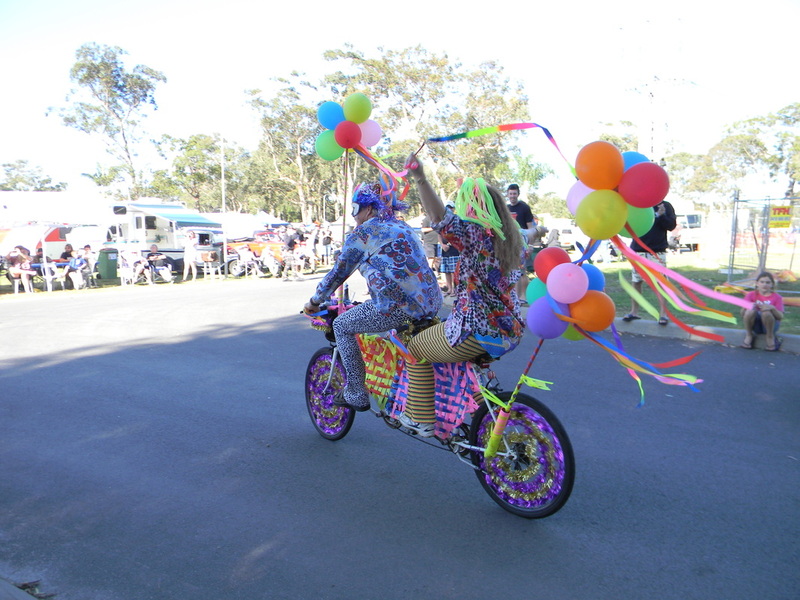 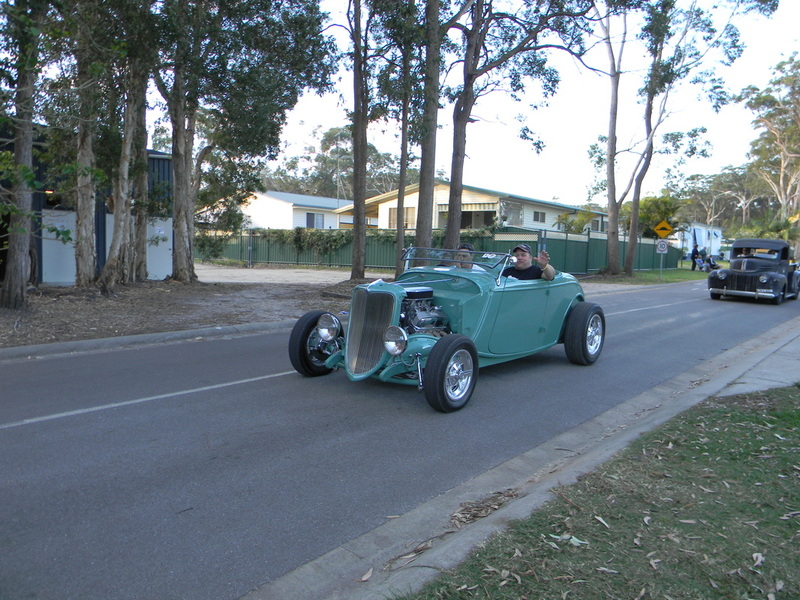 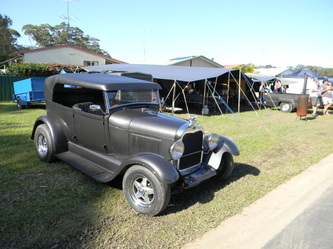 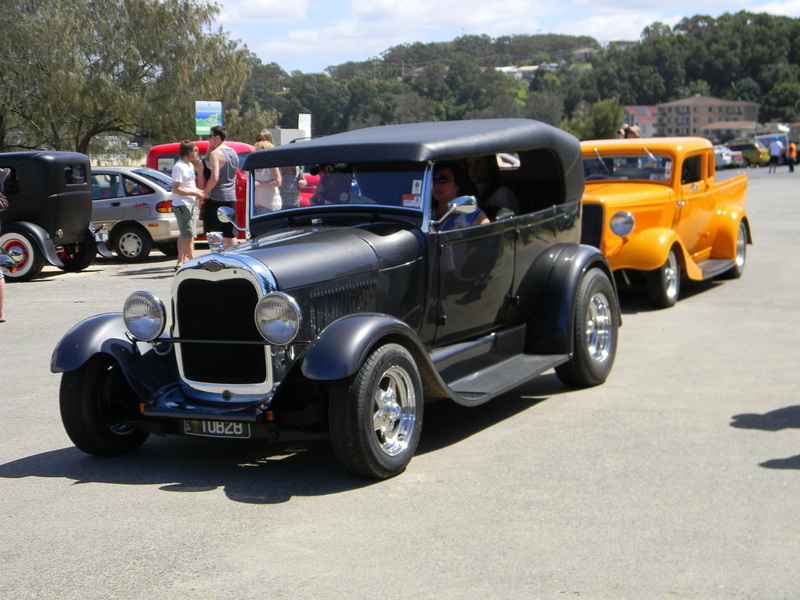 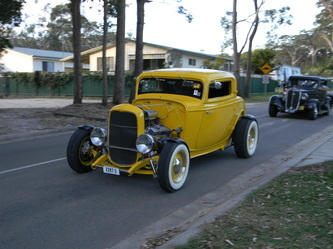 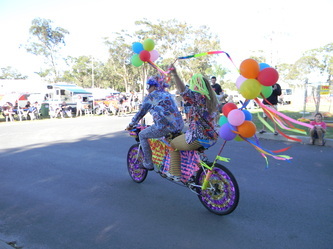 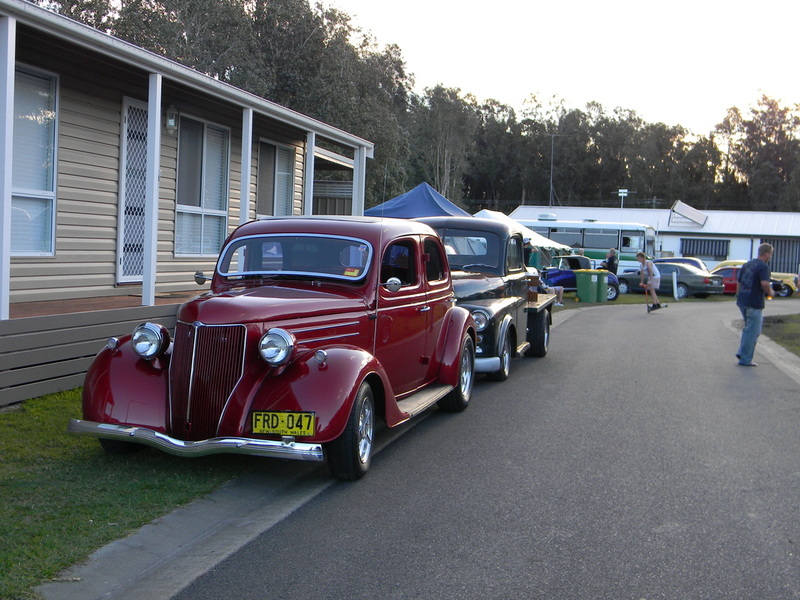 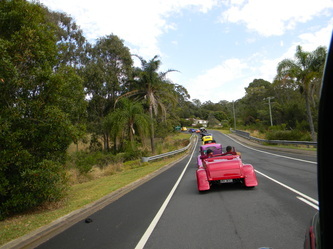 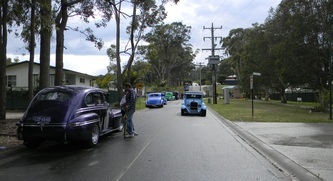 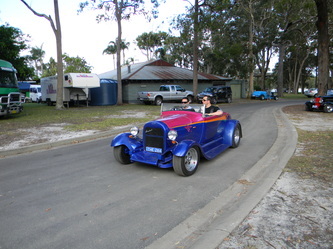 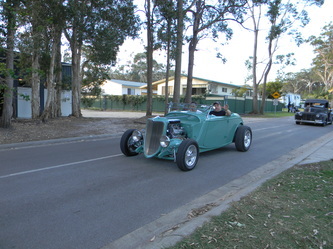 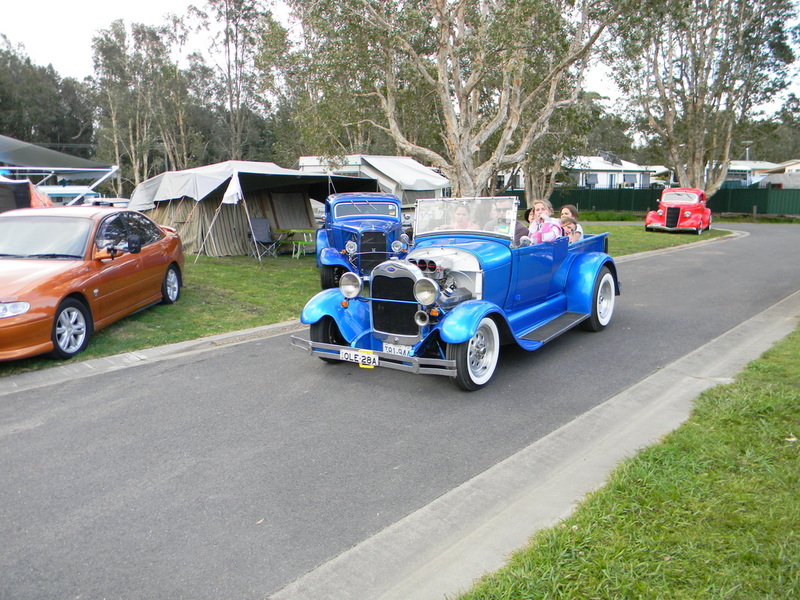 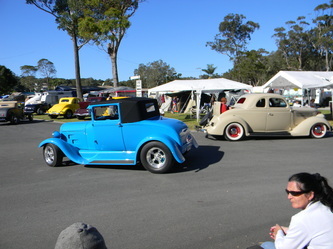 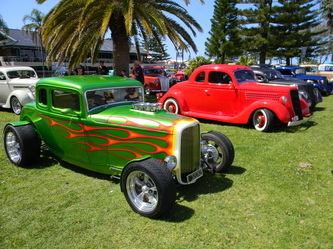 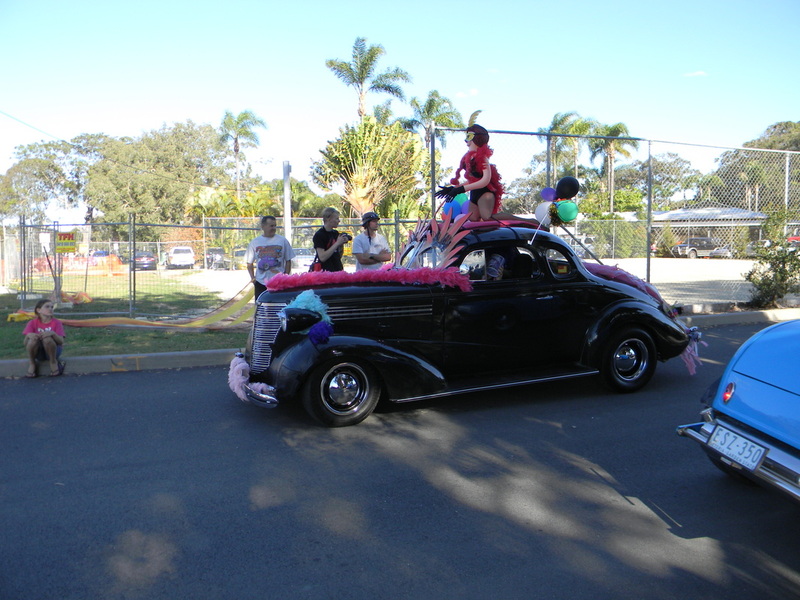 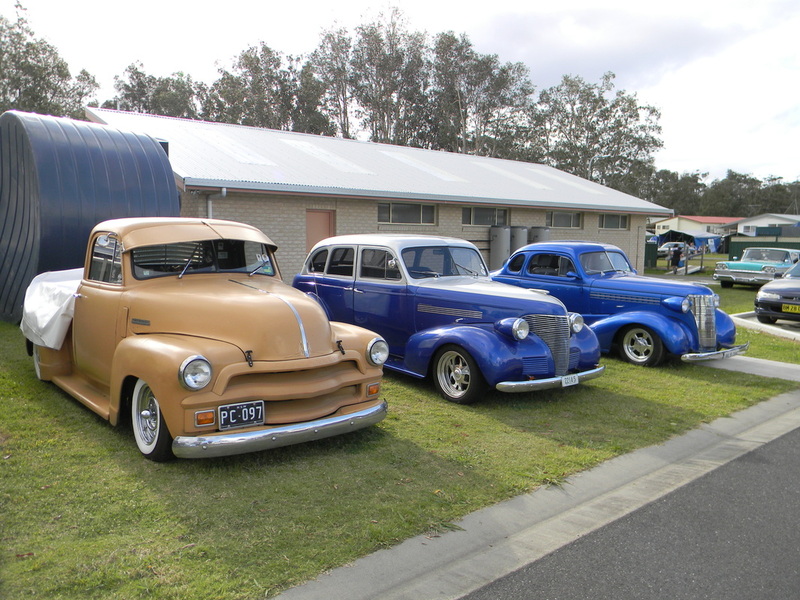 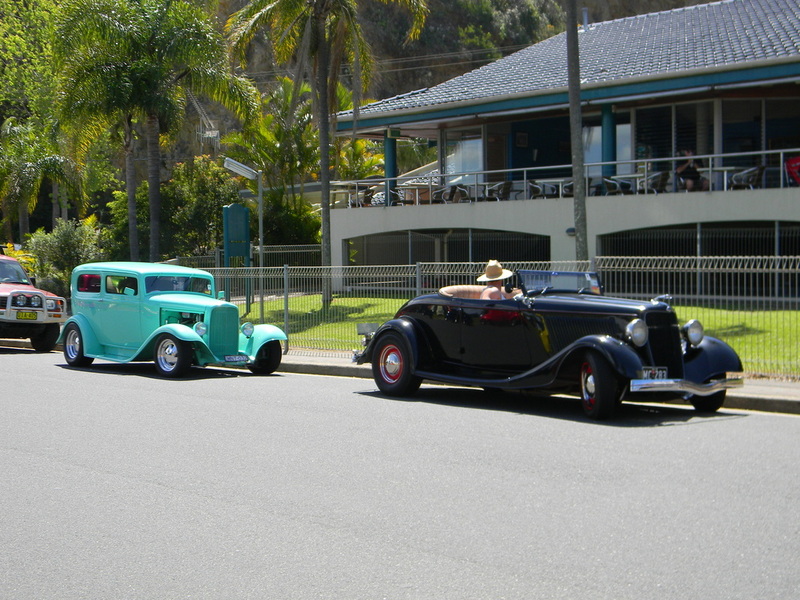 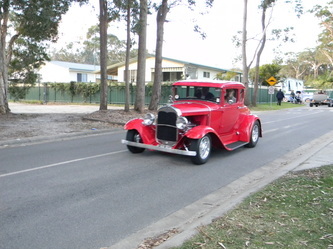 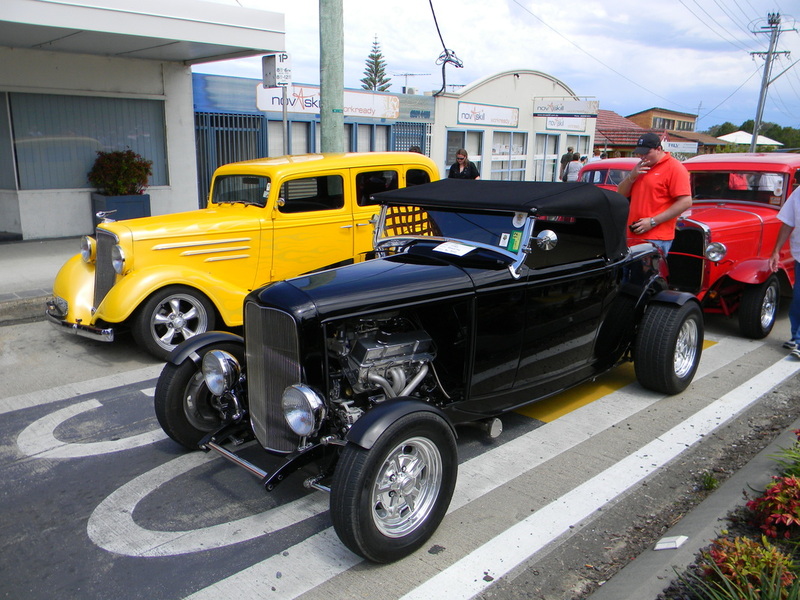 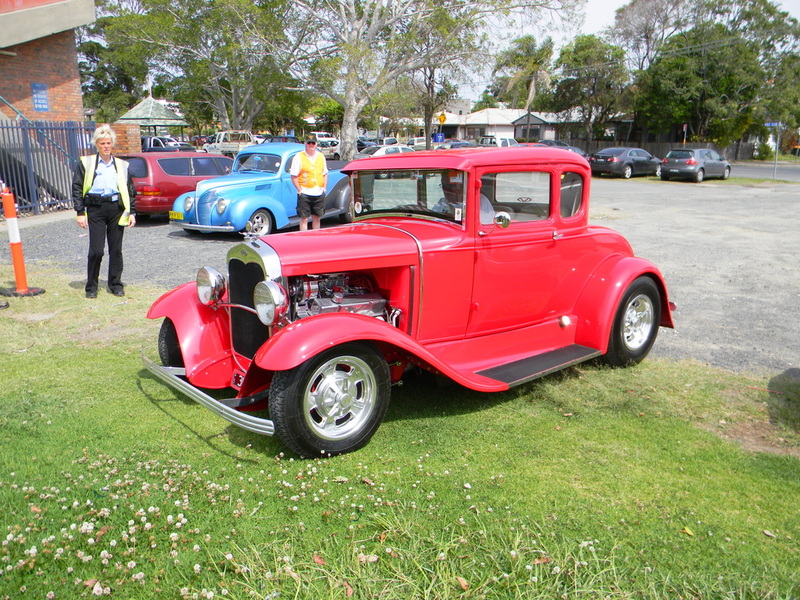 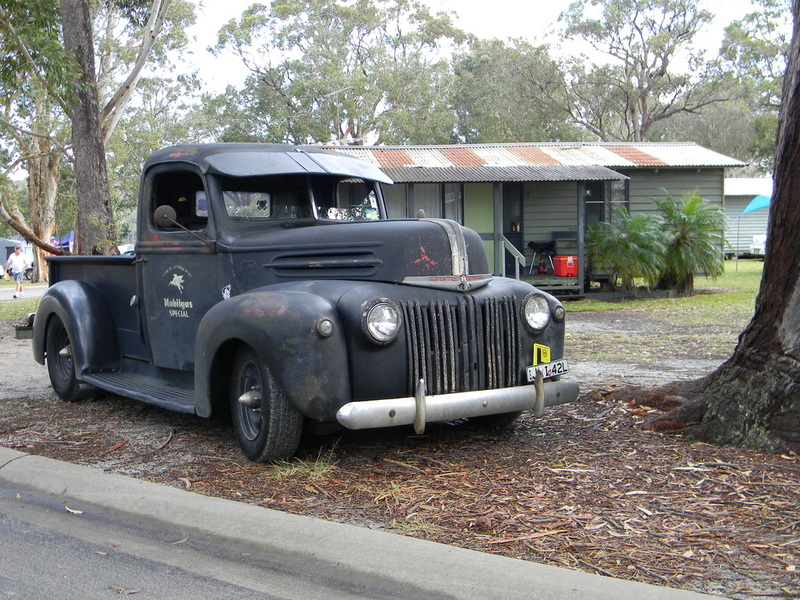 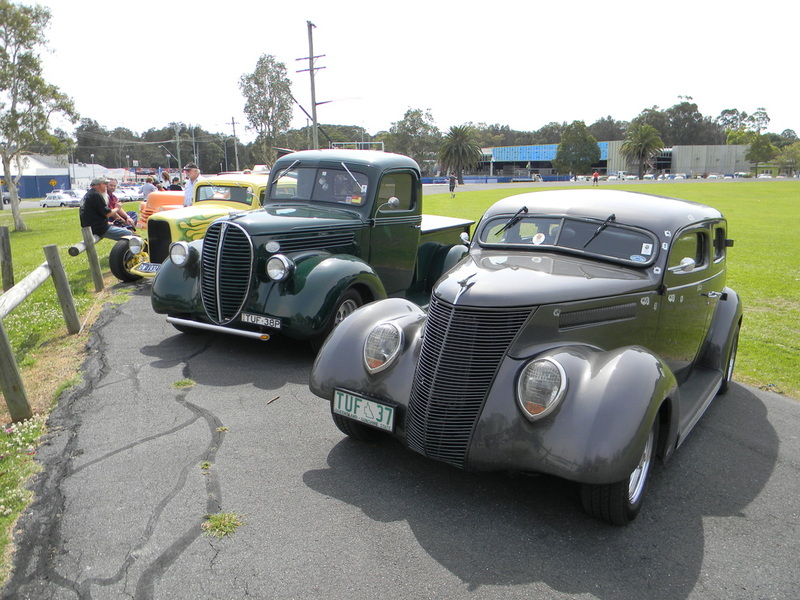 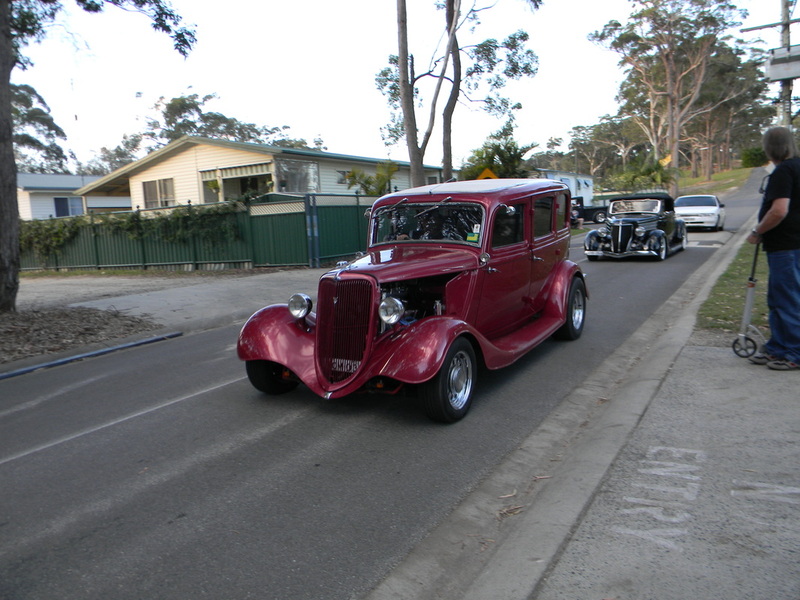 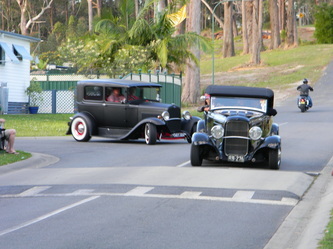 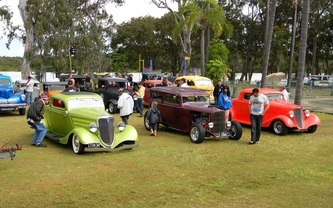 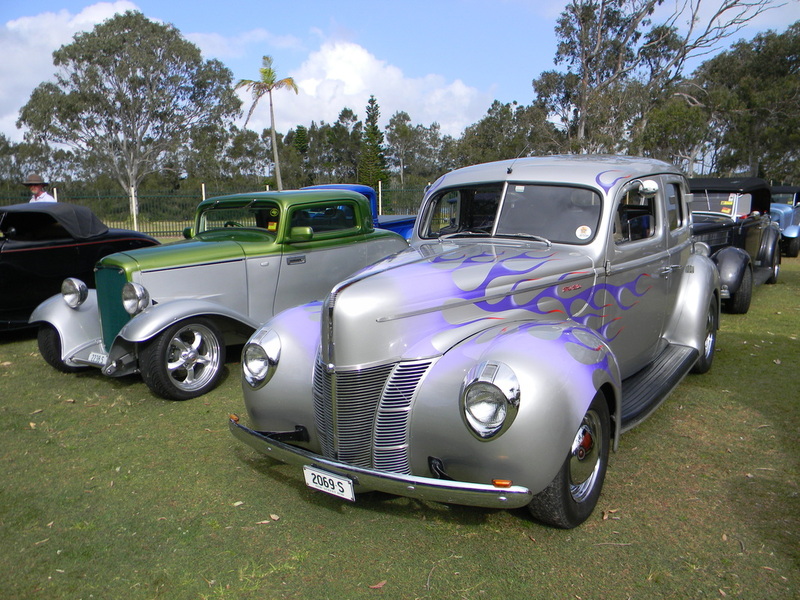 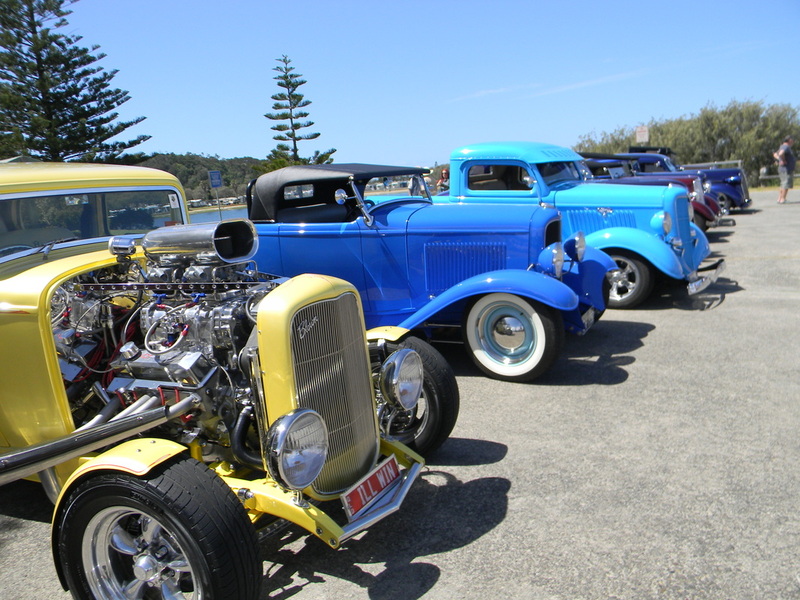 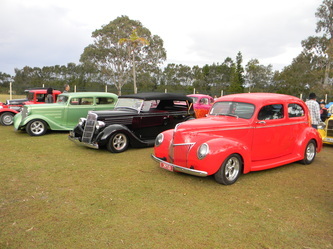 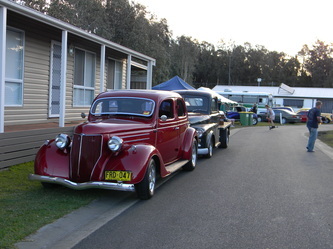 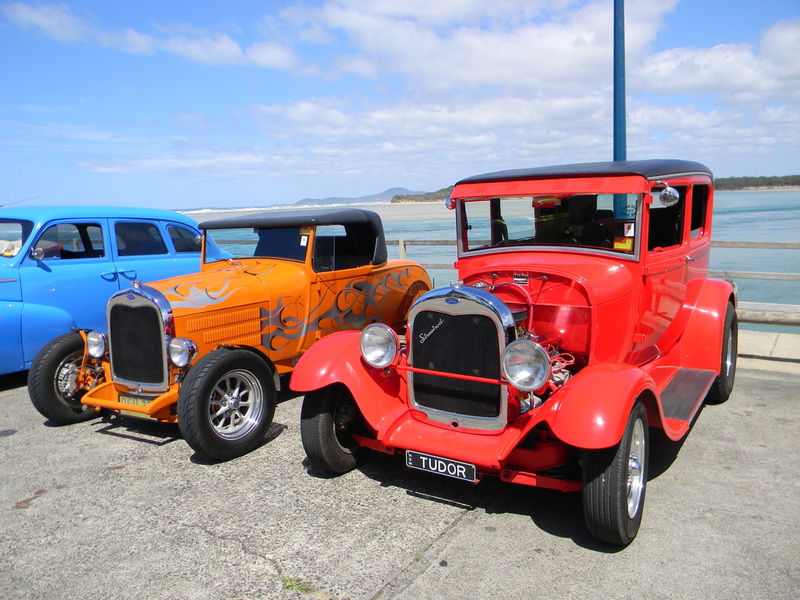 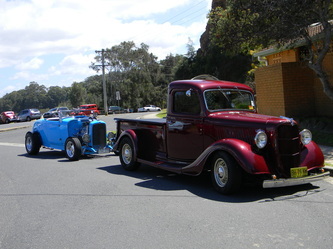 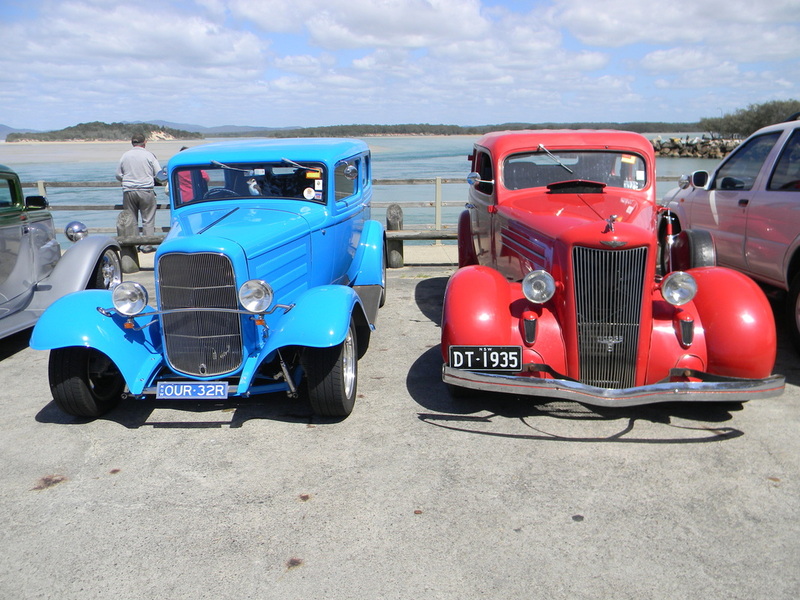 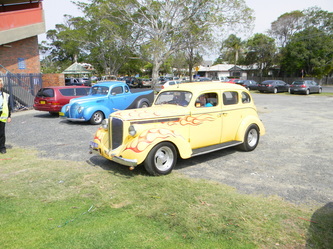 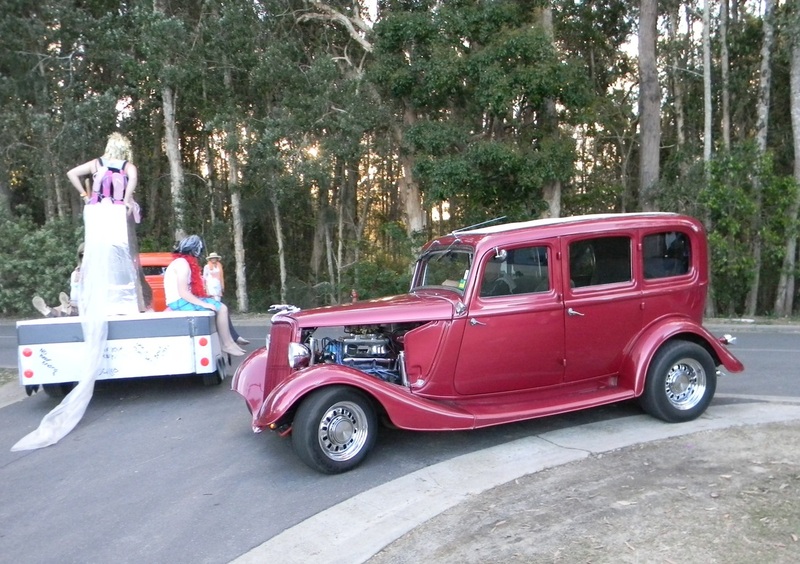 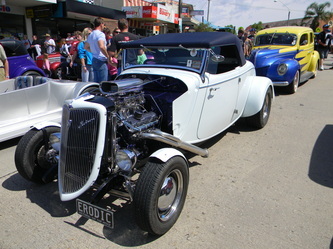 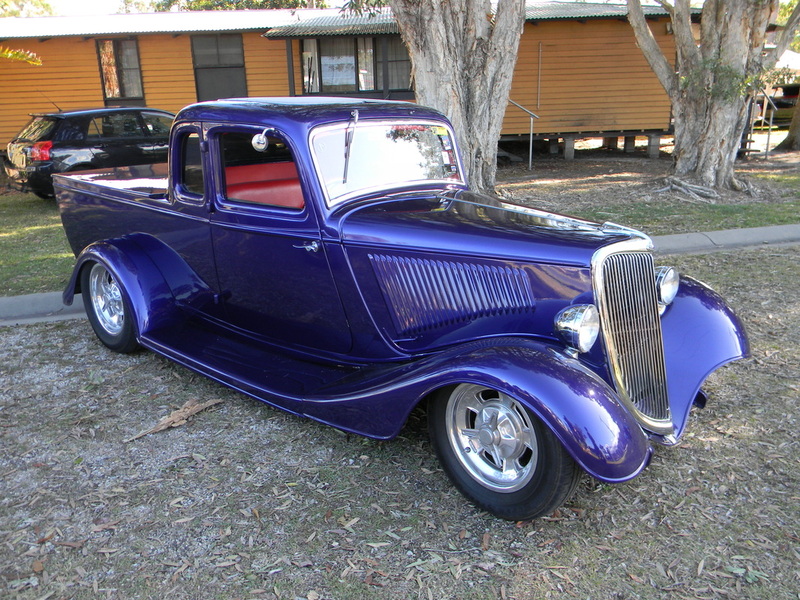 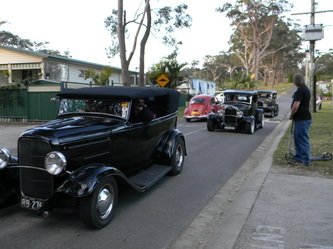 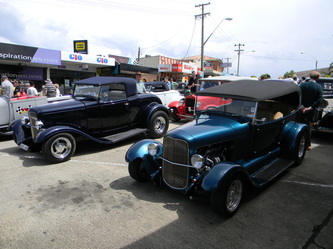 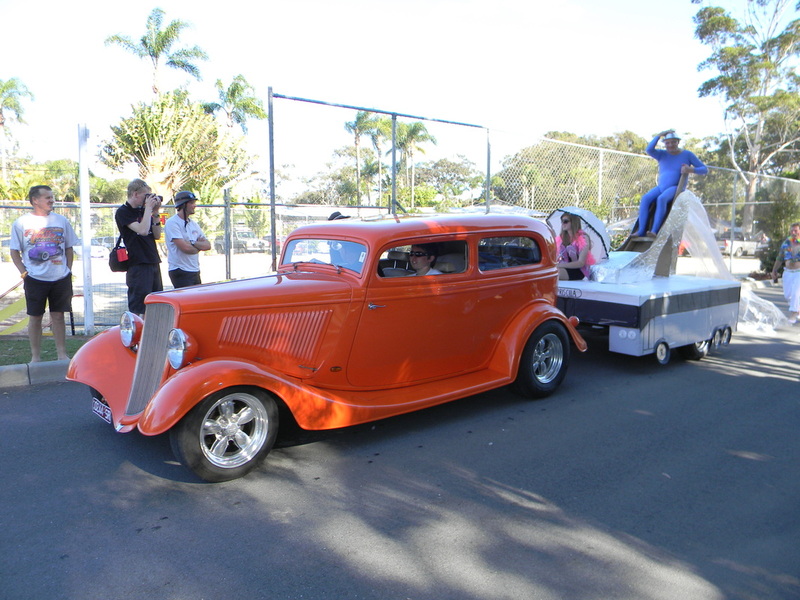 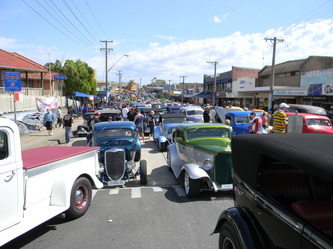 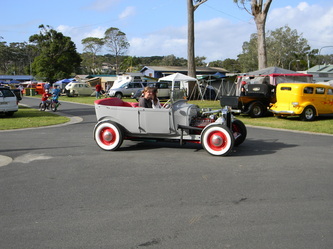 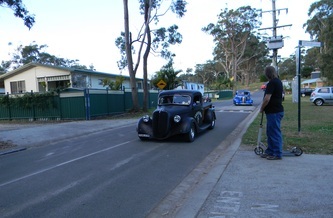 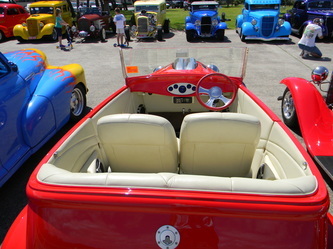 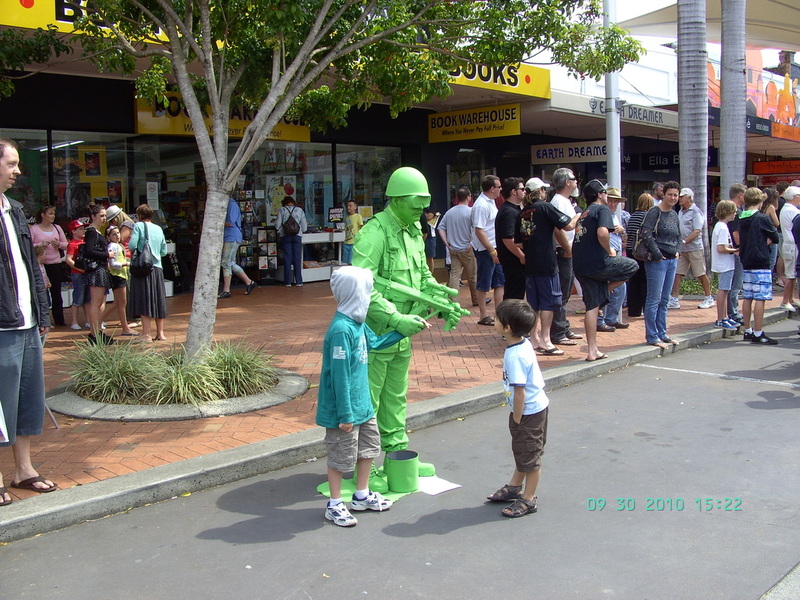 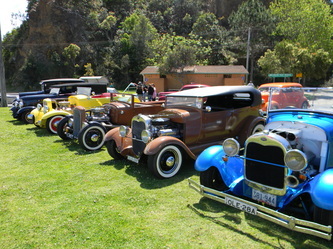 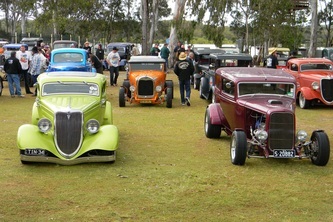 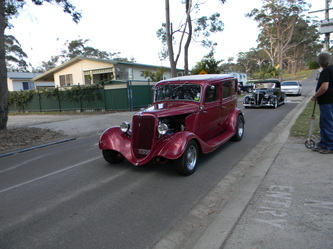 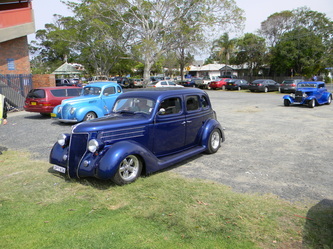 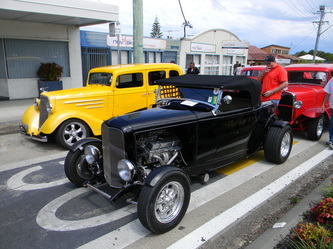 During the days they had an observation run, cruize to Coffs Harbour, Go-Whoa at Raleigh, ladies cocktail party, secret mens business, carnival float parade, the show and shine at Nambucca Heads, street party, the rod corrals, trade stands plus you could cruise the park or just sit around and tell stories. 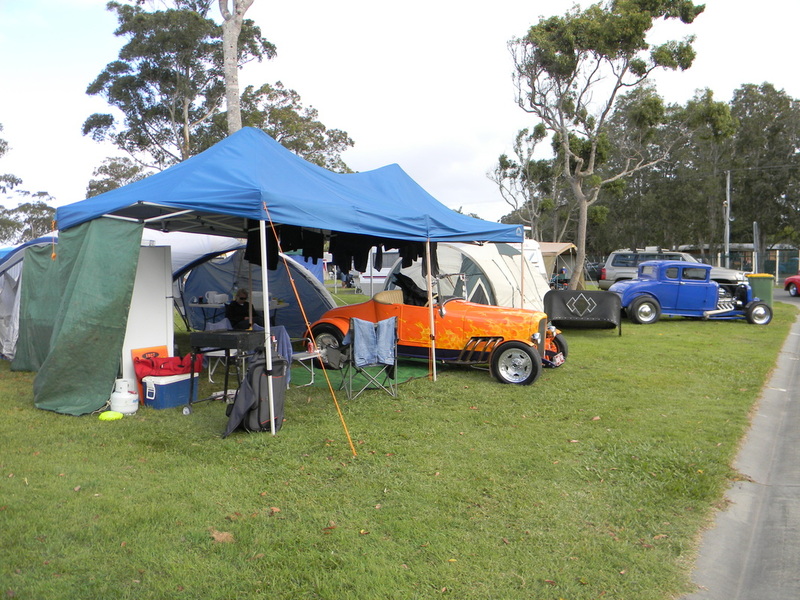 The weather shone on most events but at times we had some heavy rain which did not dampen the spirits but made the ground in places very boggy. 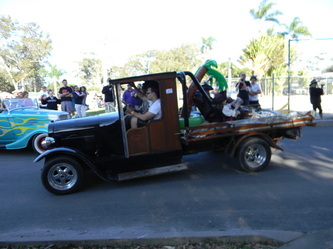 On the Friday Taree Rodders put on a Pancake Brekkie and Macquarie Towns had a Sausage Sizzle that night which was followed by a great Fireworks display. 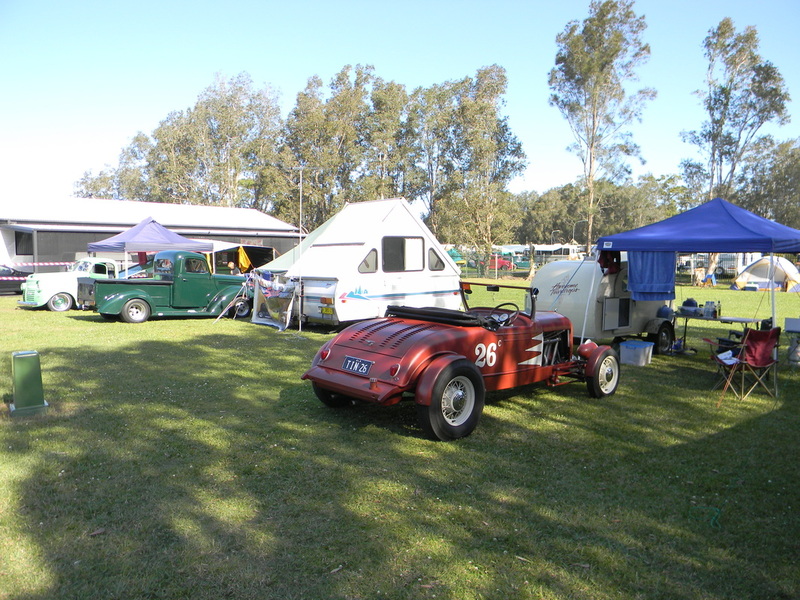 Thanks to all those who made it a great week for all who attended this years Valla.